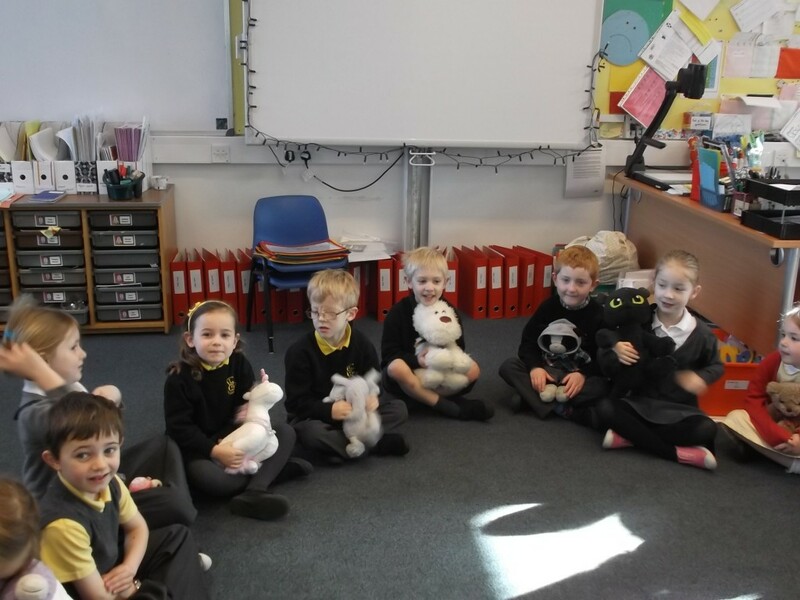 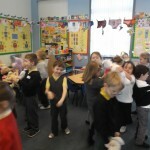 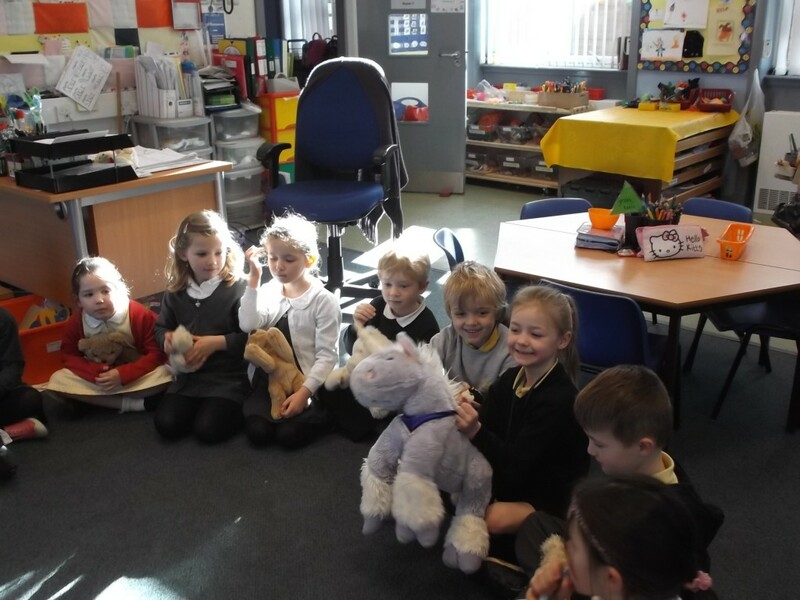 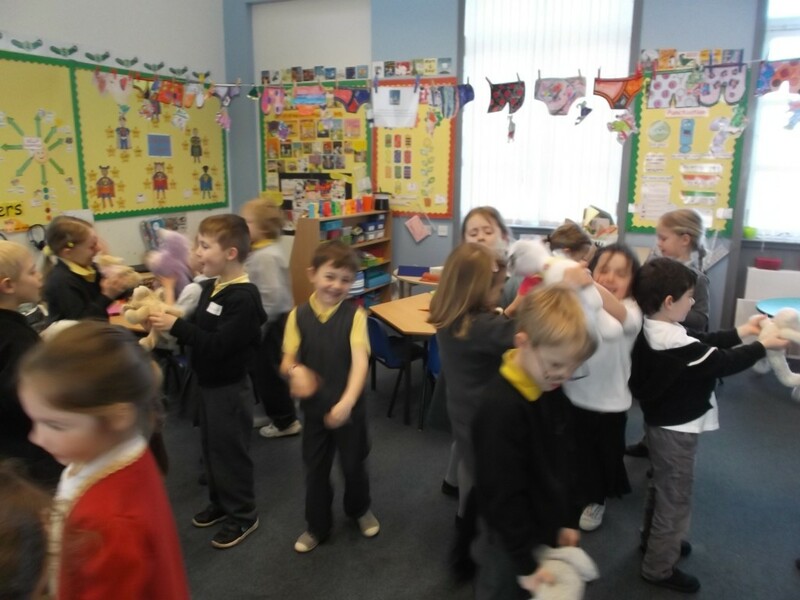 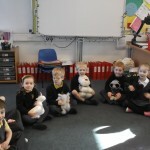 Our topic in P1 is toys so today we all brought a teddy to school for the day. 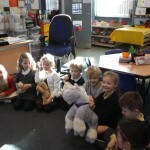 We spent time this morning introducing our teddy to the class and then we gave them a tour of the school. 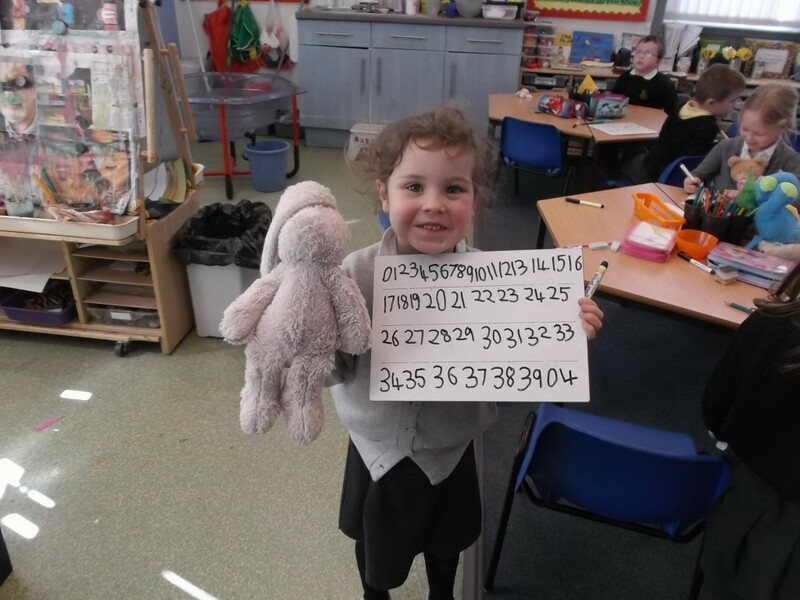 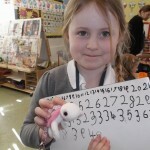 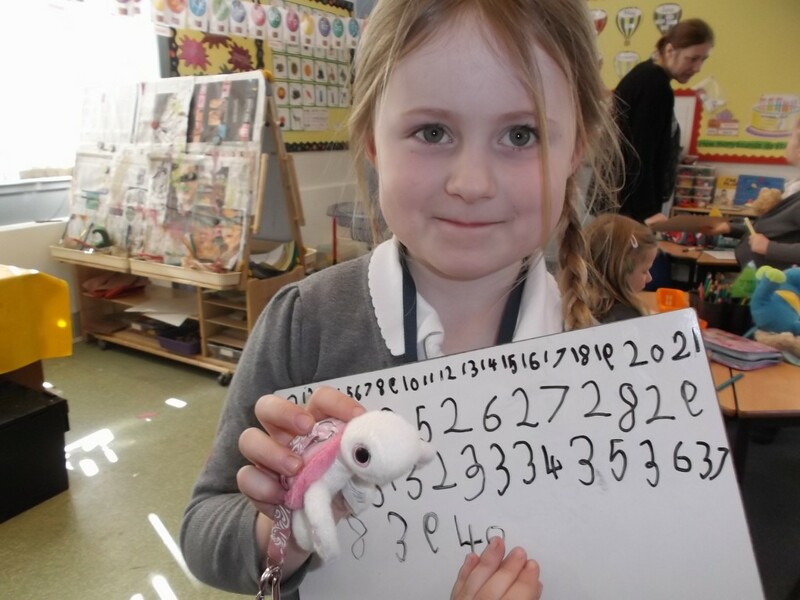 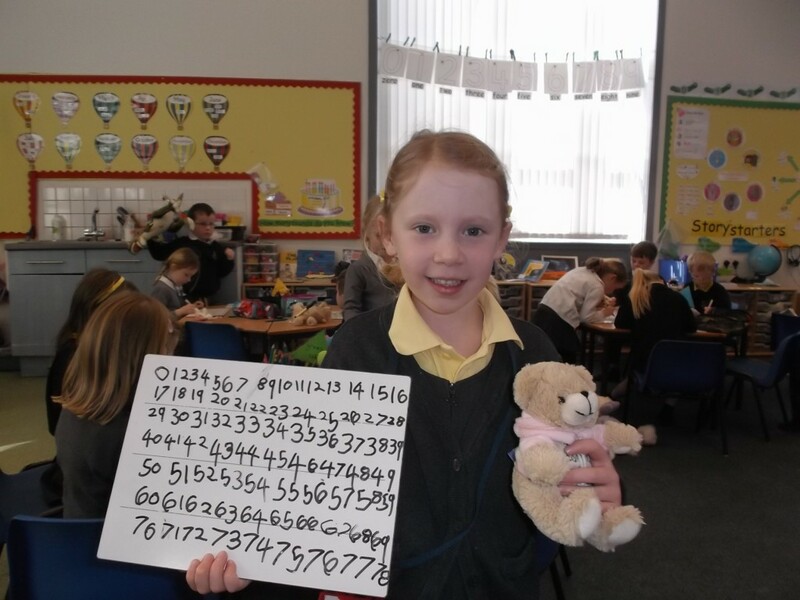 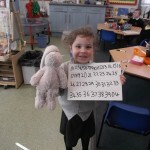 The teddies helped out with everything today including handing out work and helping us with our number work, which they were very good at, teddies know some big numbers. 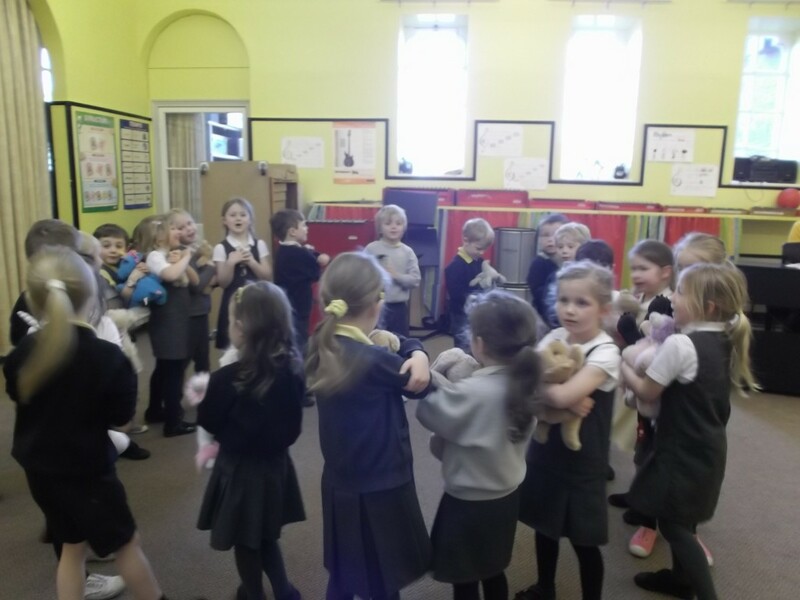 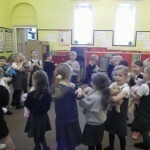 Our teddies came with us to music and helped us learn a new teddy bear song. 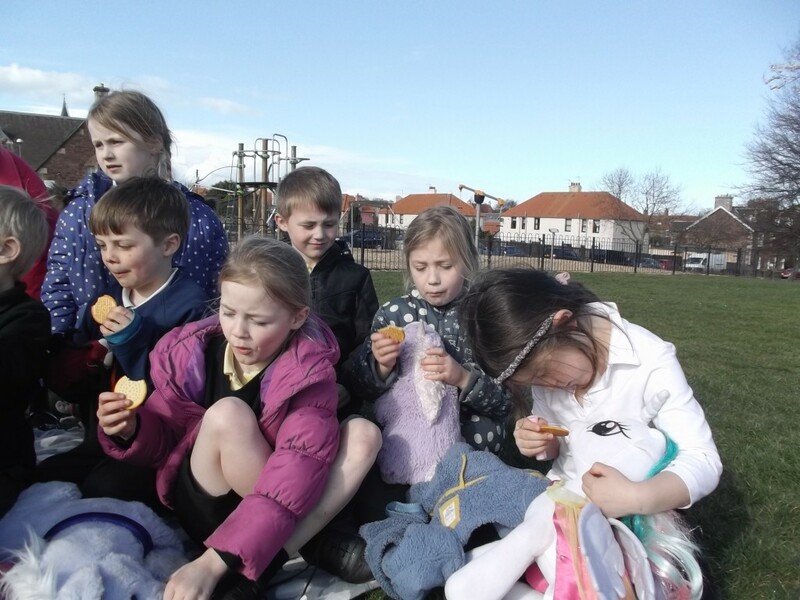 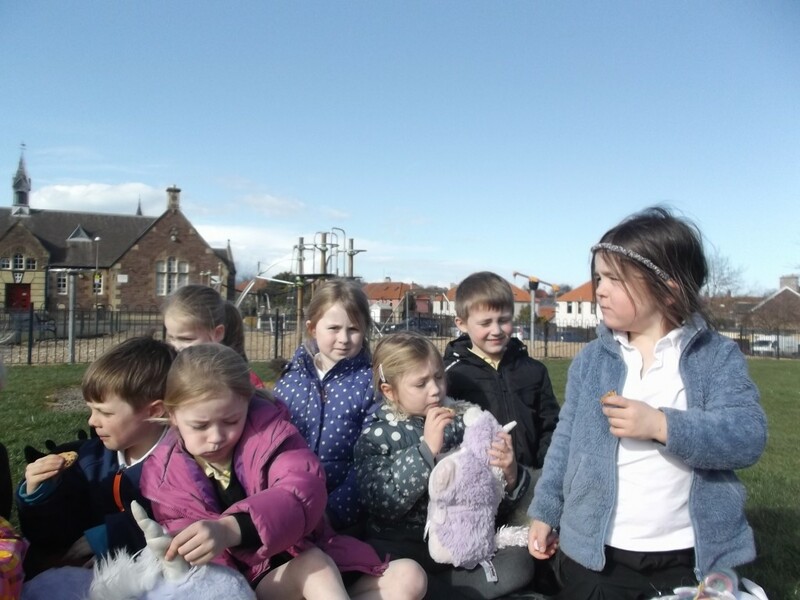 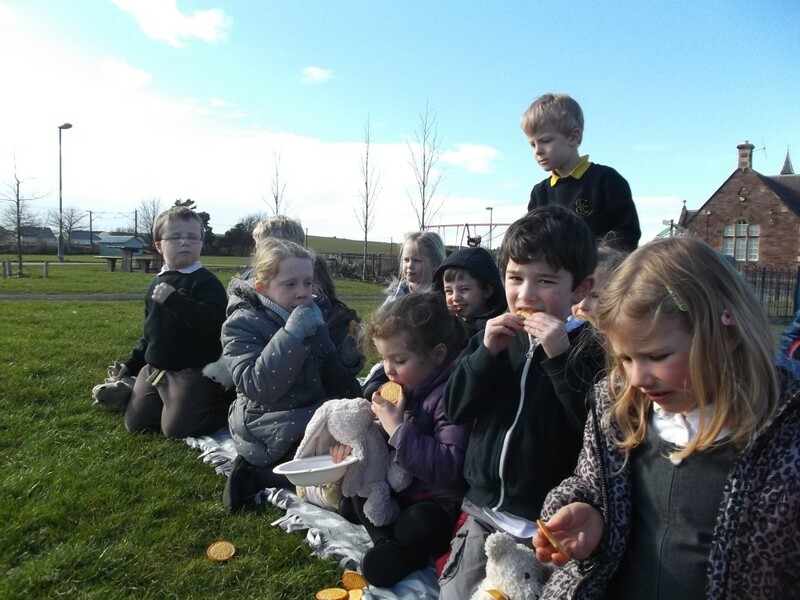 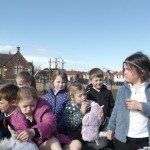 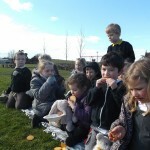 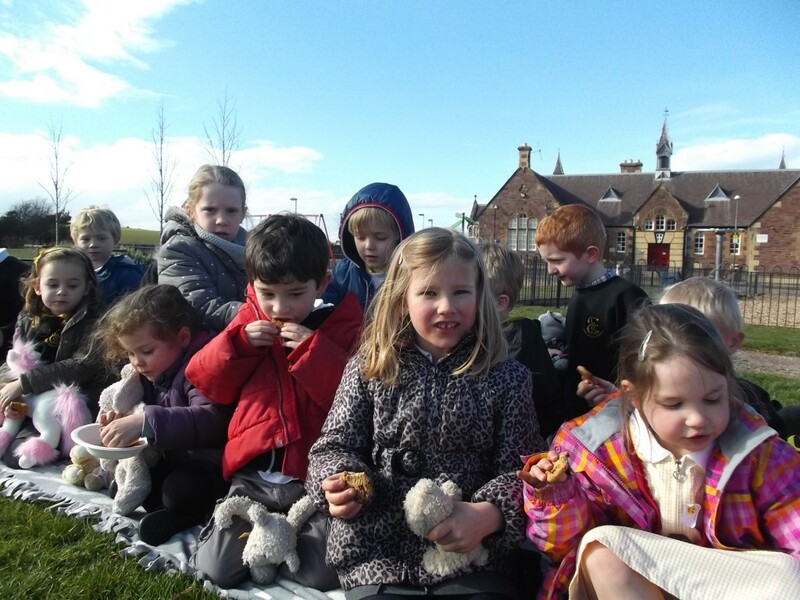 It was such a beautiful day we couldn’t resist having a teddy bears picnic in the park but by the end of the day we were very tired teddy bears in need of a long rest. 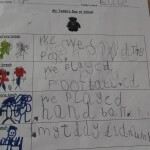 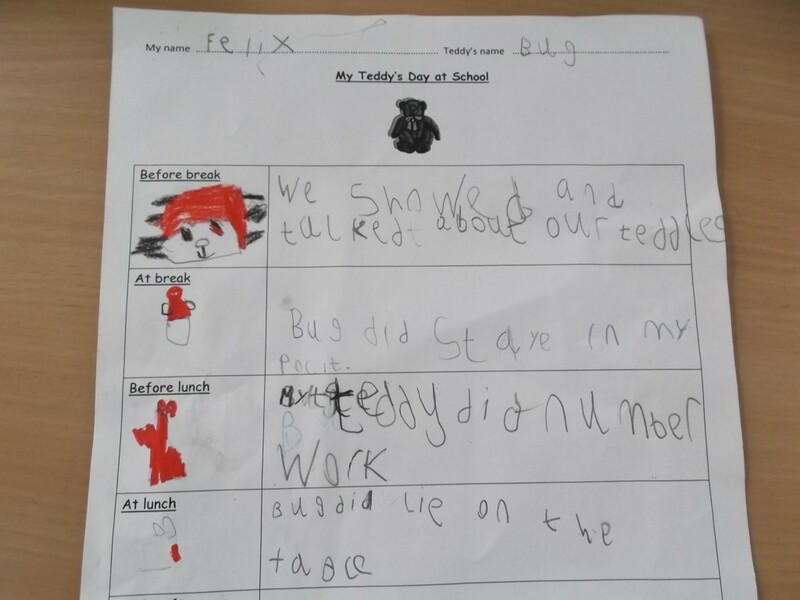 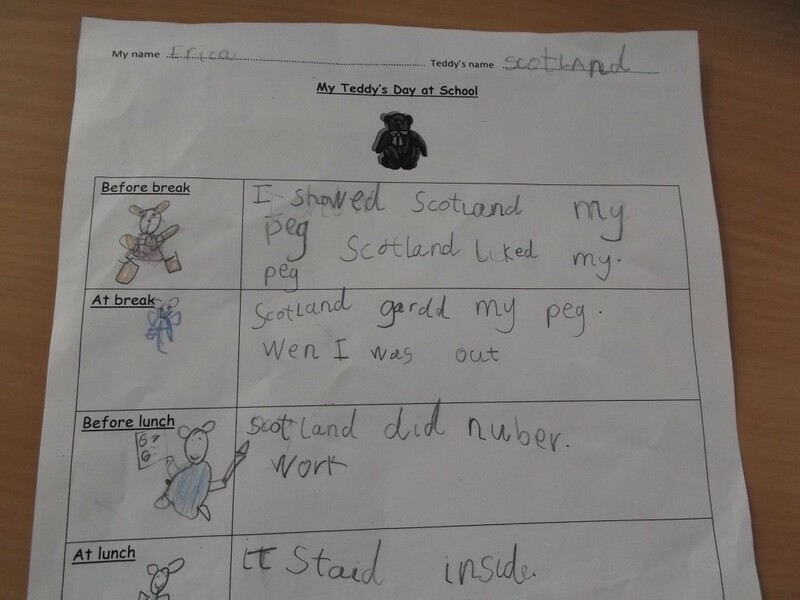 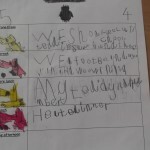 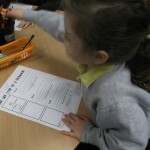 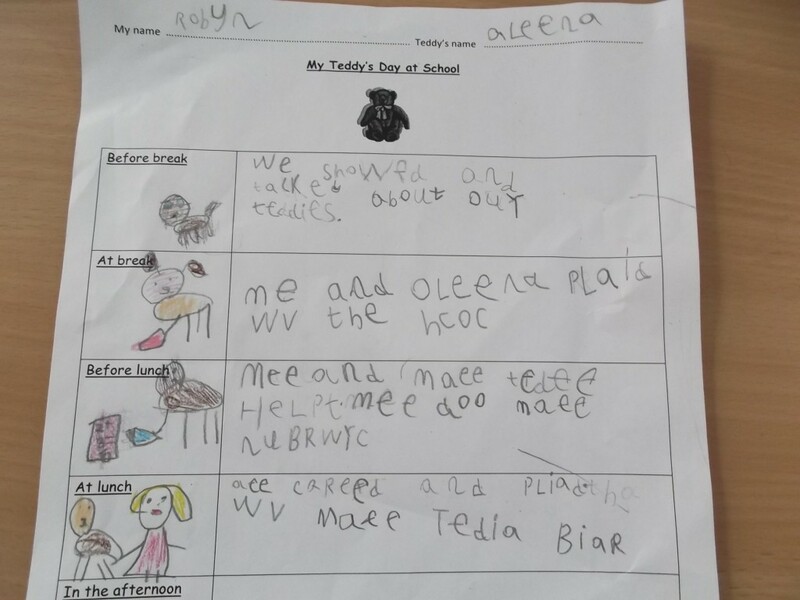 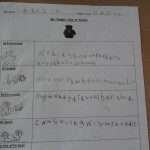 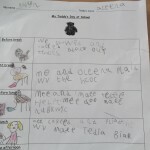 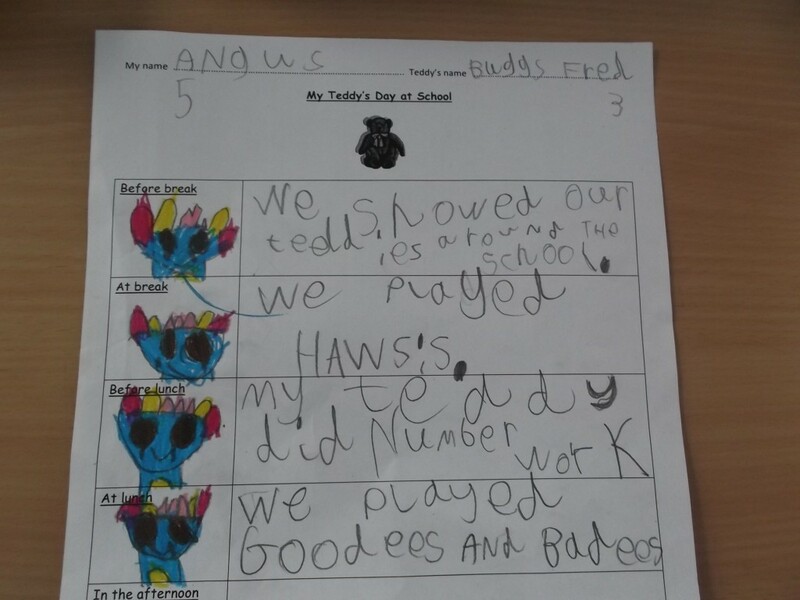 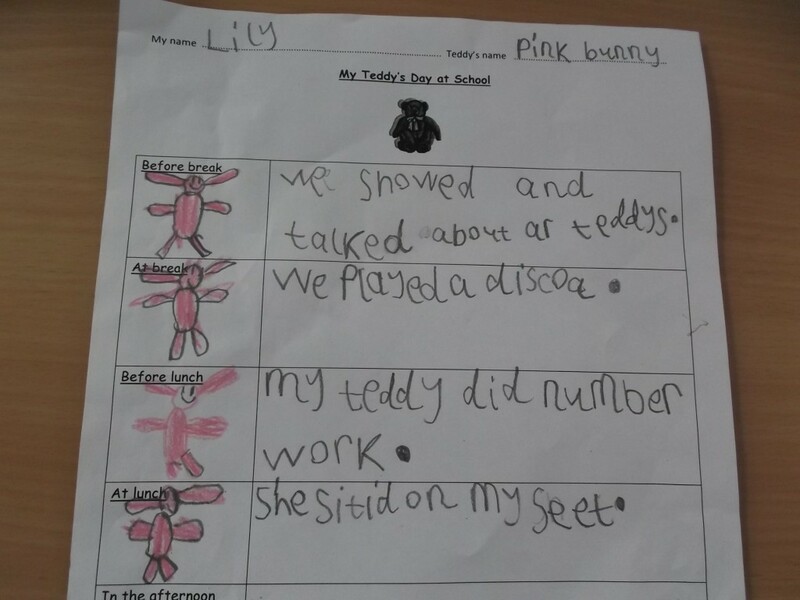 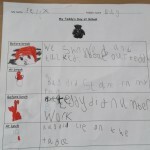 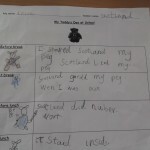 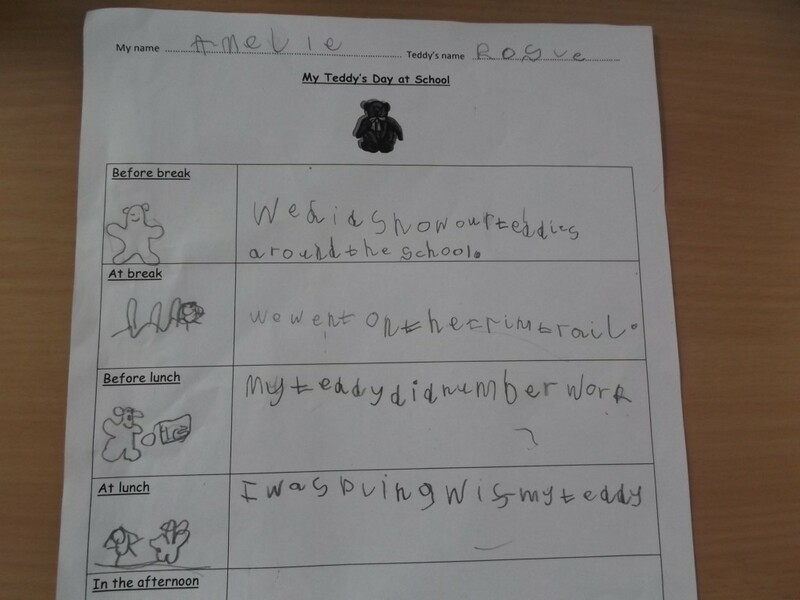 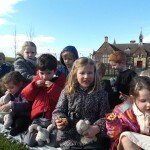 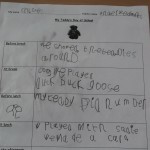 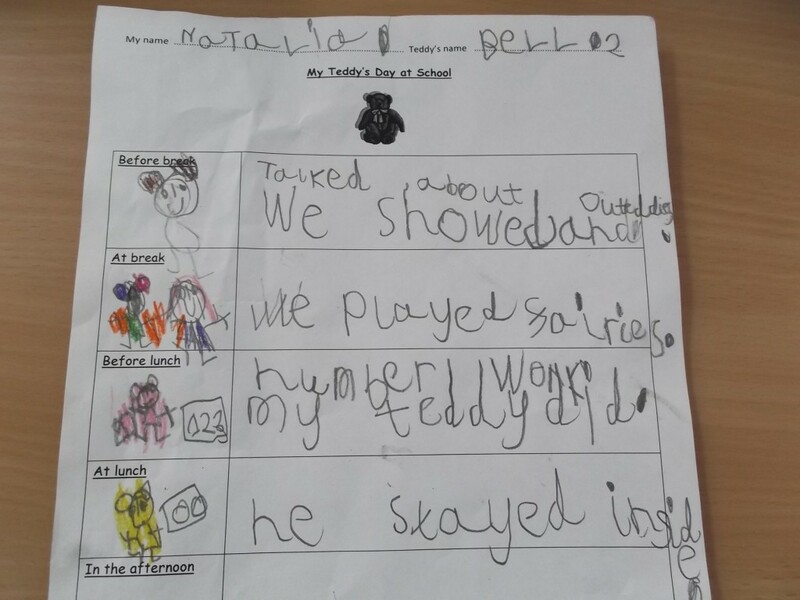 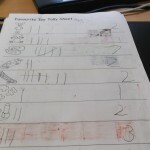 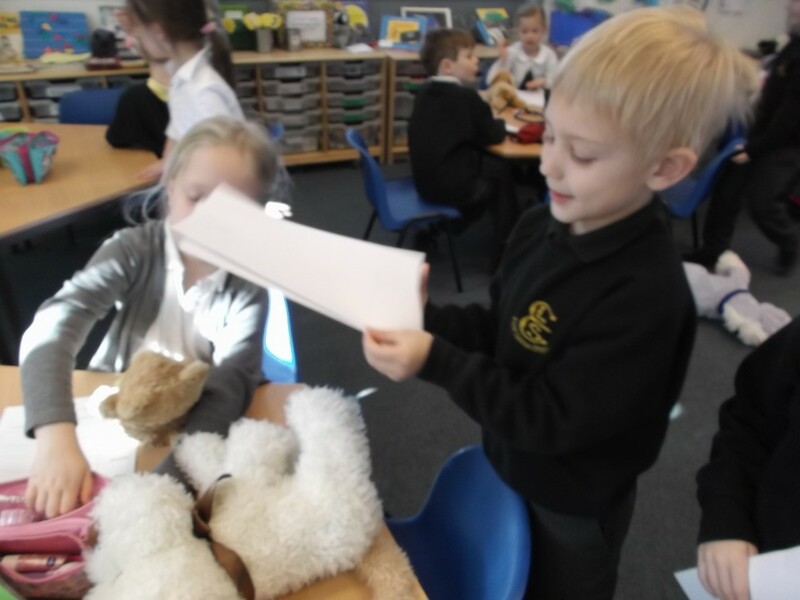 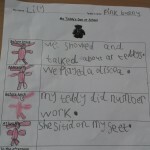 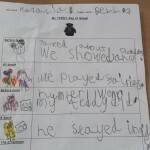 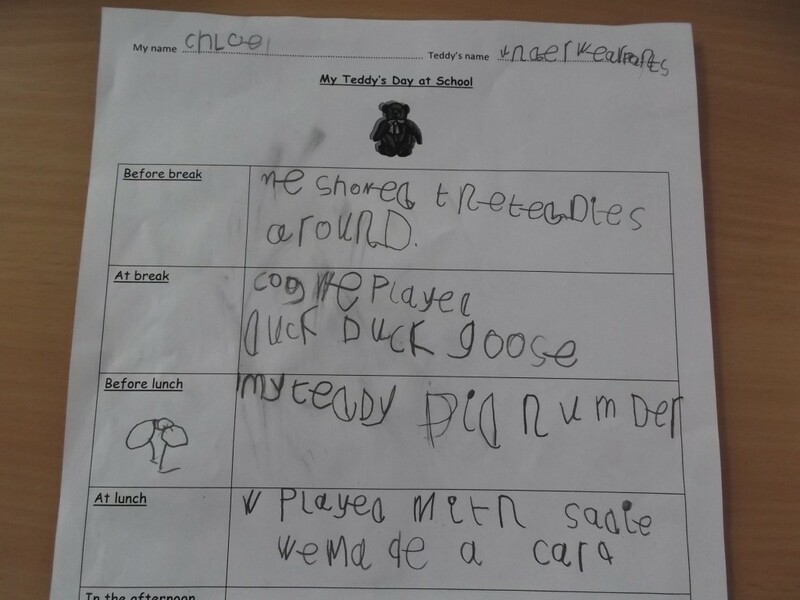 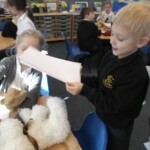 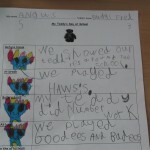 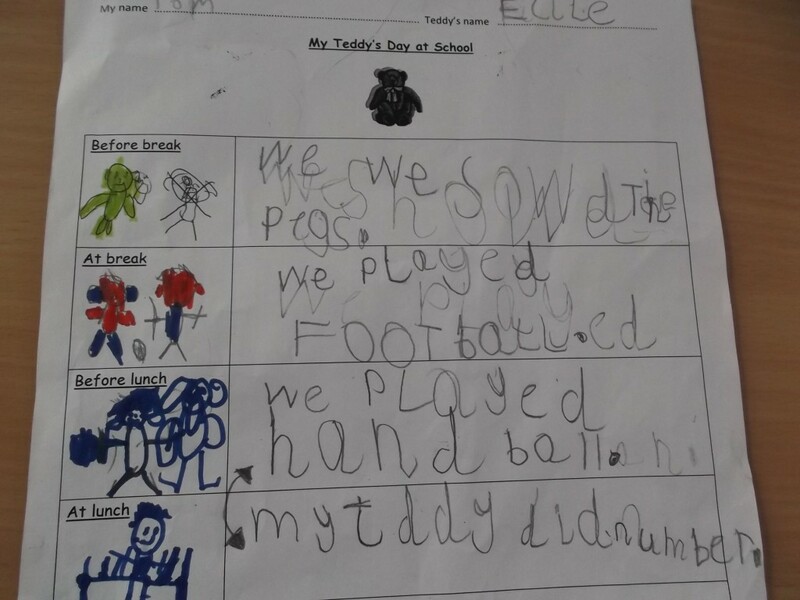 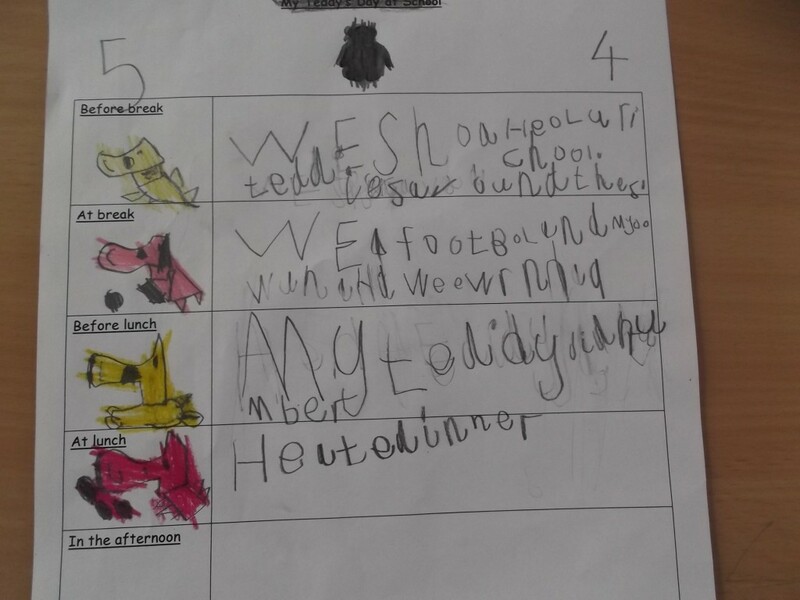 Look at the wonderful reports we have written about the day our teddies came to school. 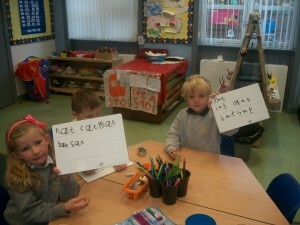 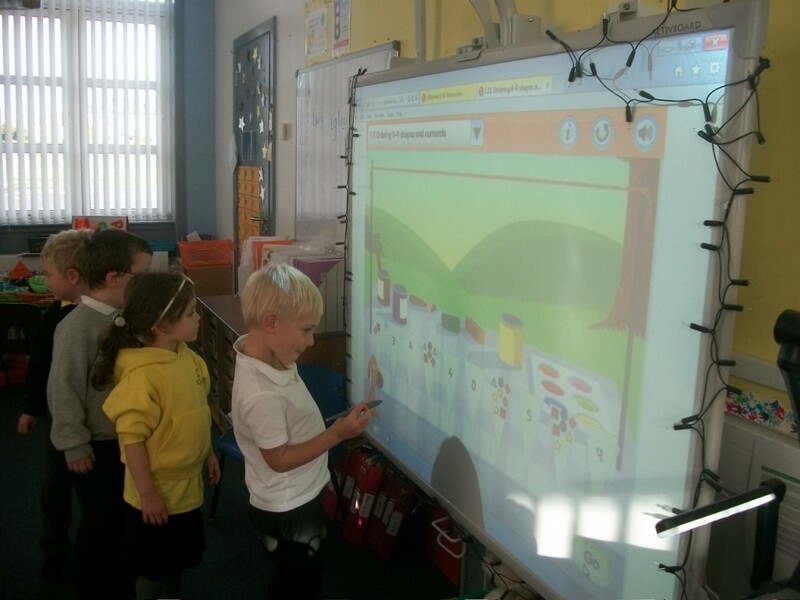 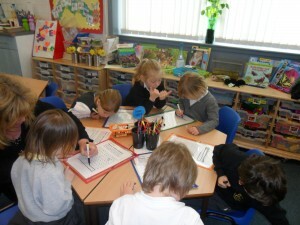 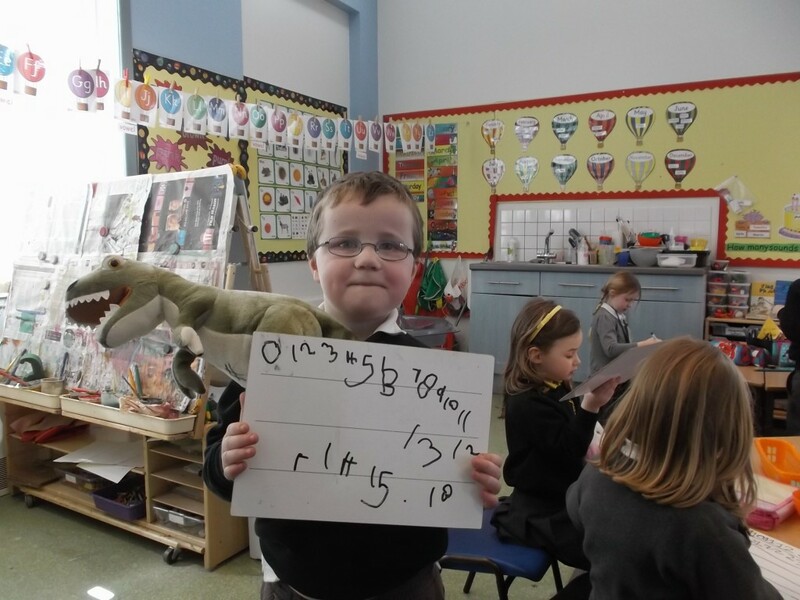 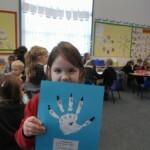 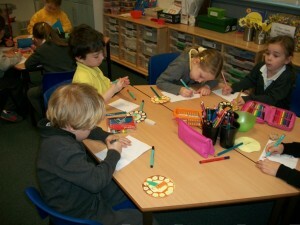 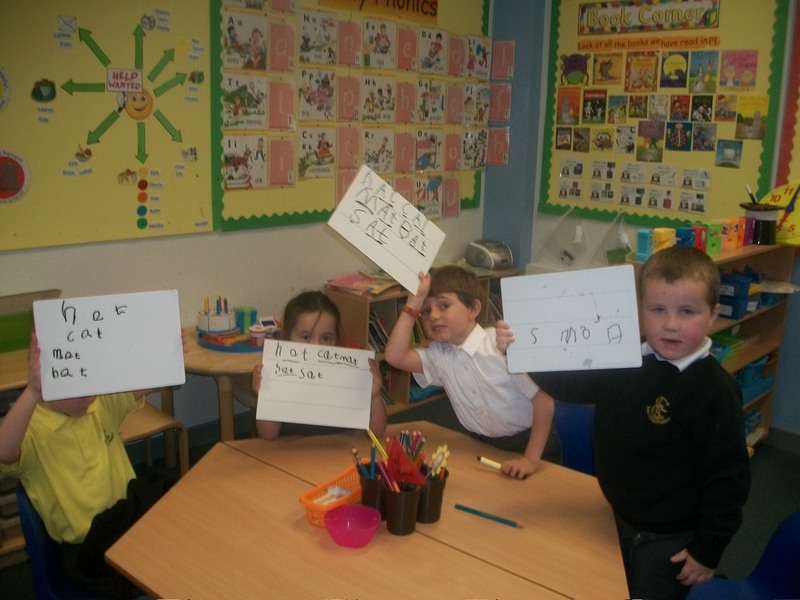 P1 have been very busy over the last week learning lots of new maths. 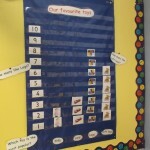 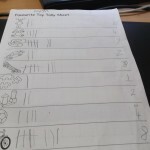 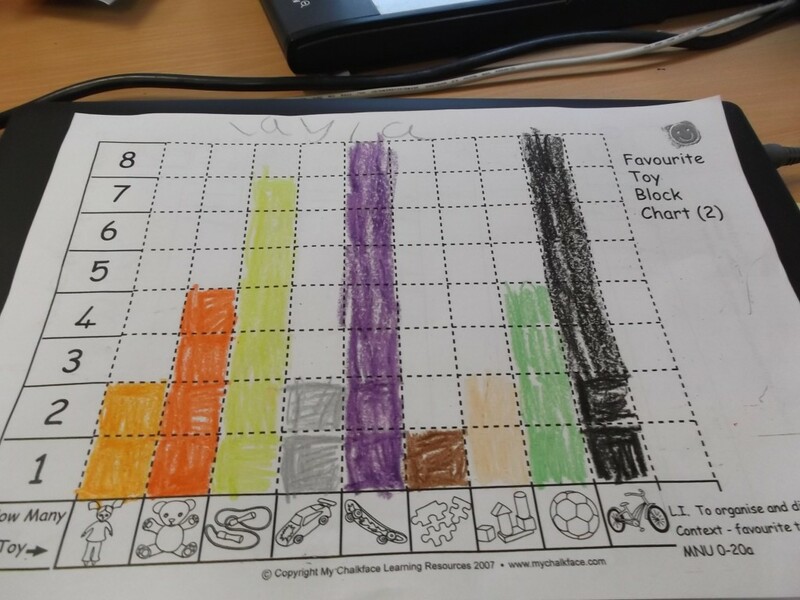 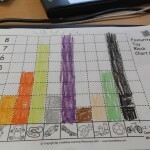 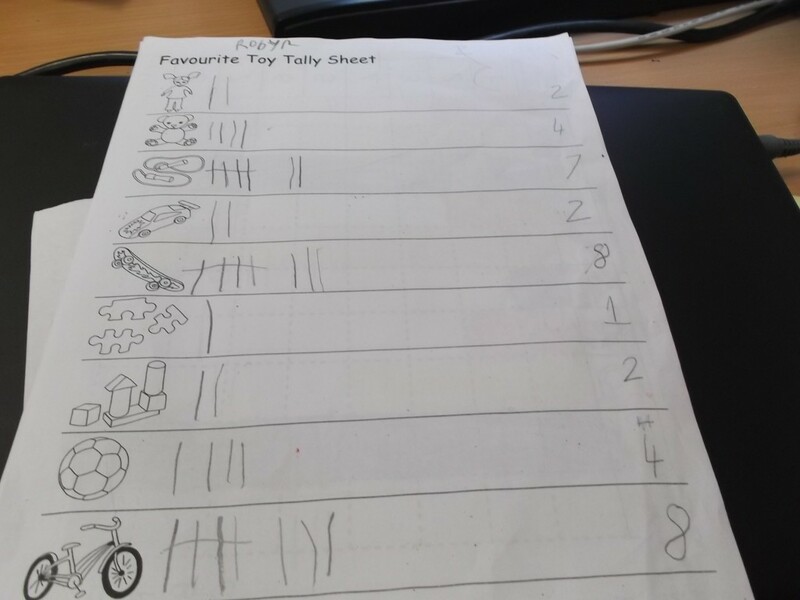 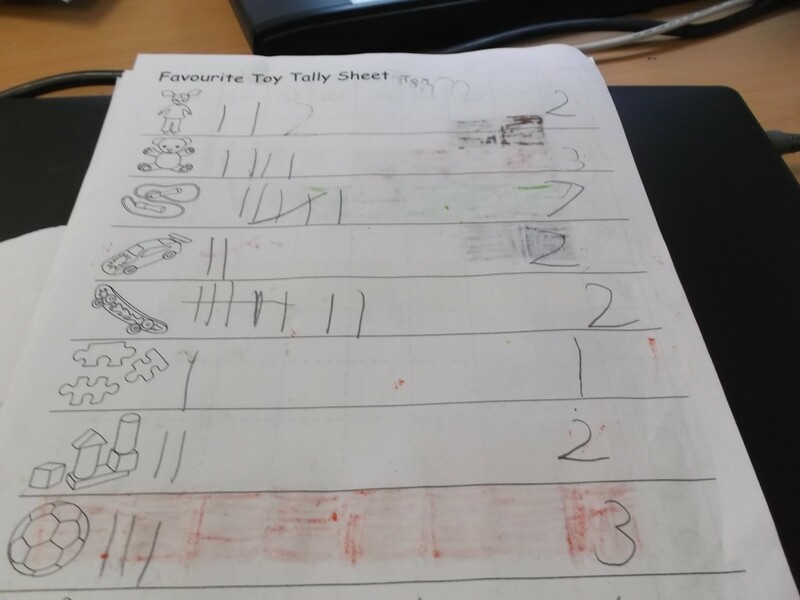 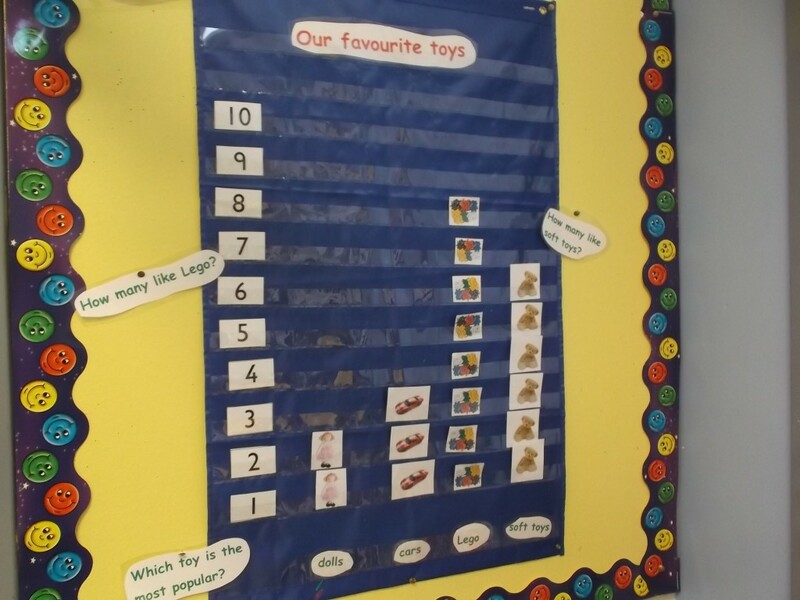 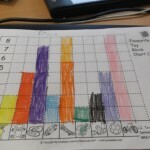 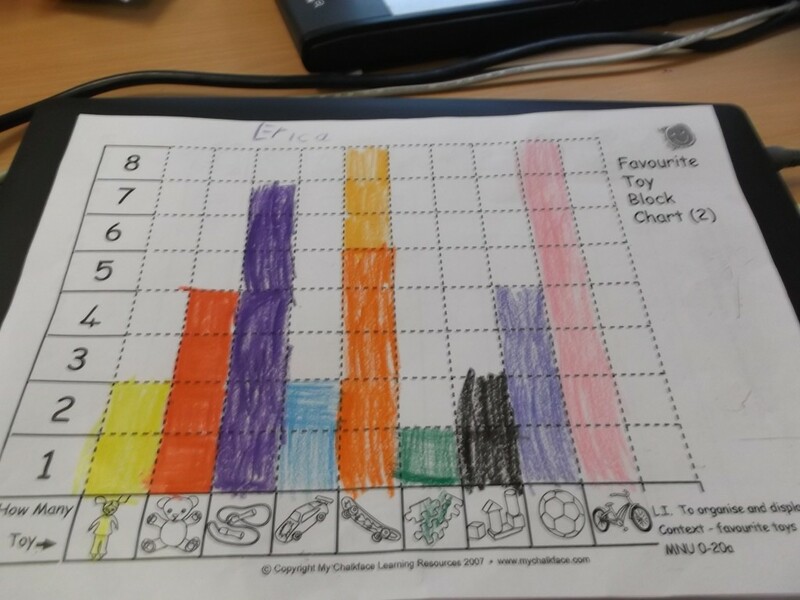 We have been collecting data about our favourite toys and learning different ways to display it, we made a pictograph, we discovered how to use a tally mark to record data andthen used this information to make bar charts. 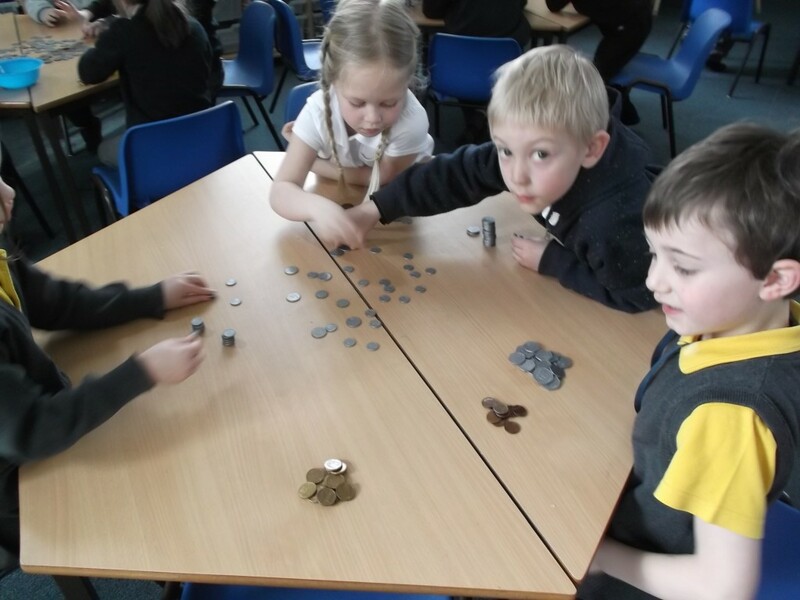 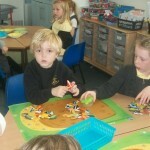 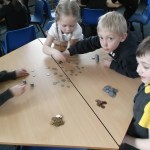 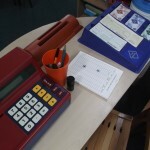 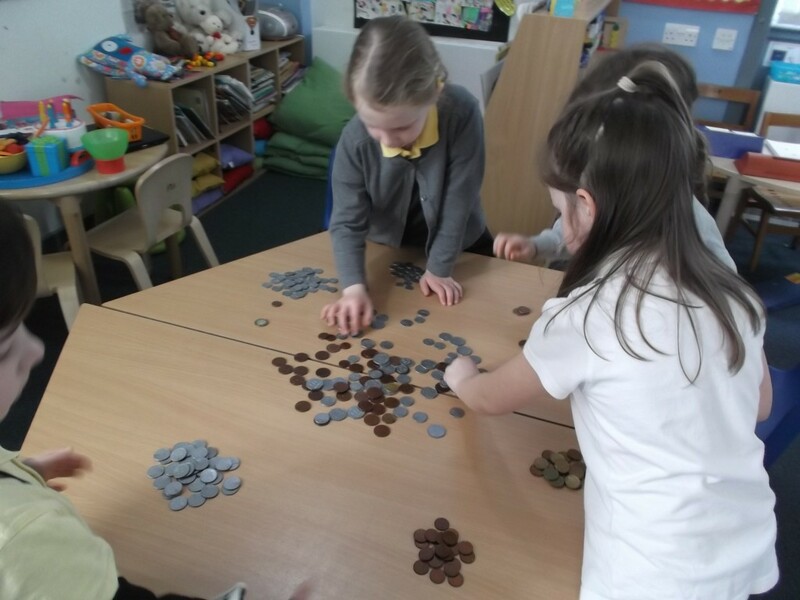 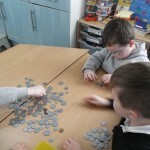 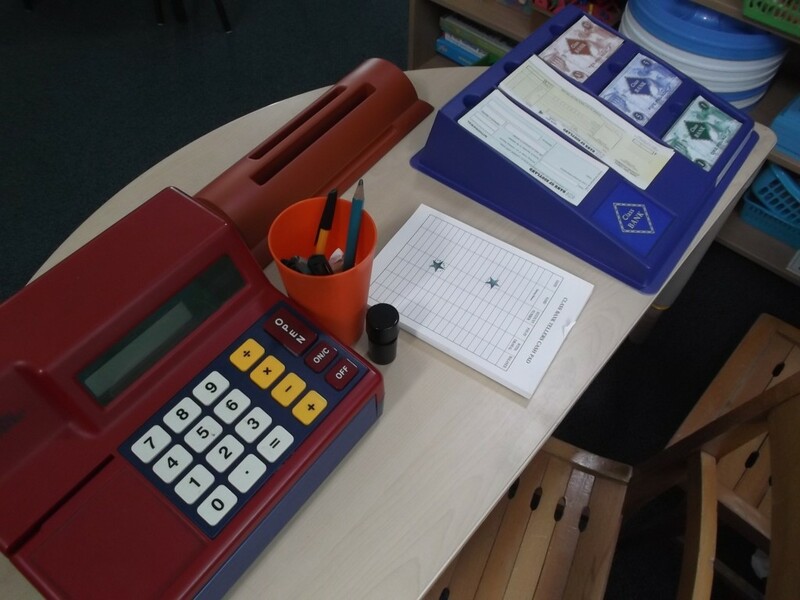 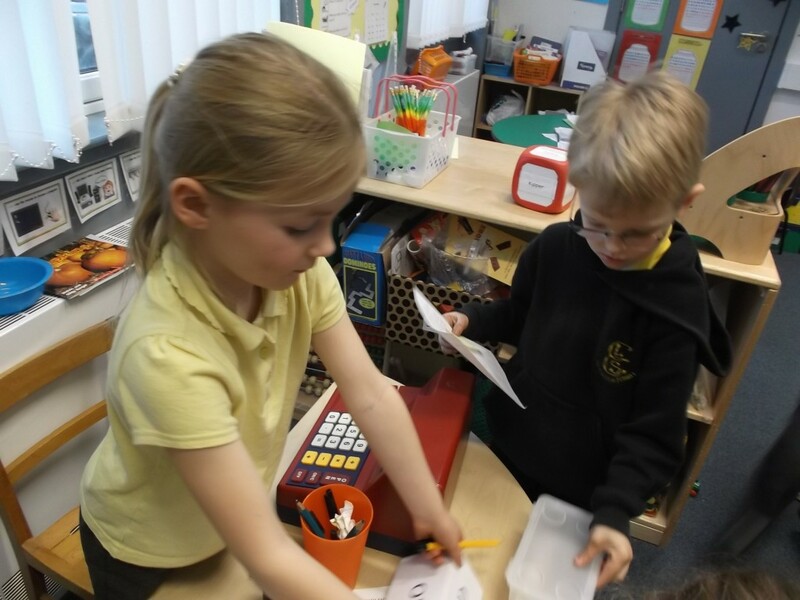 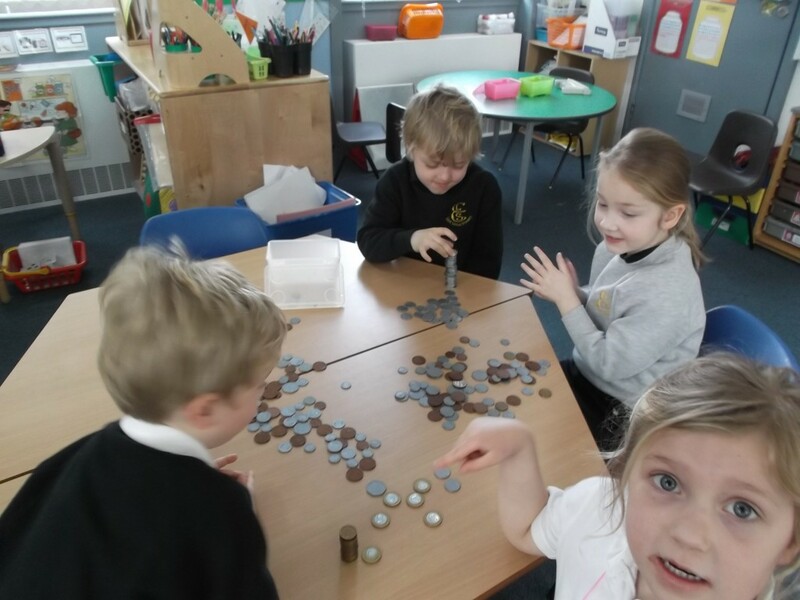 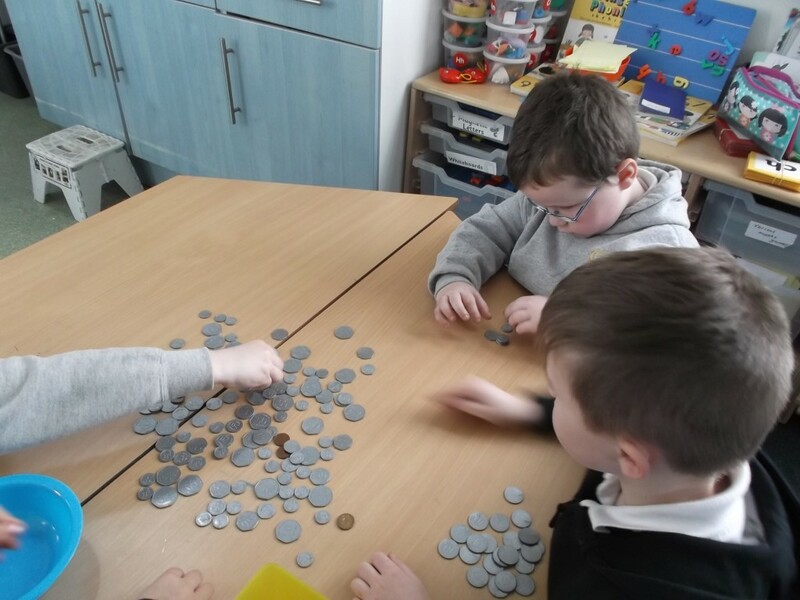 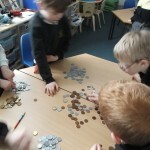 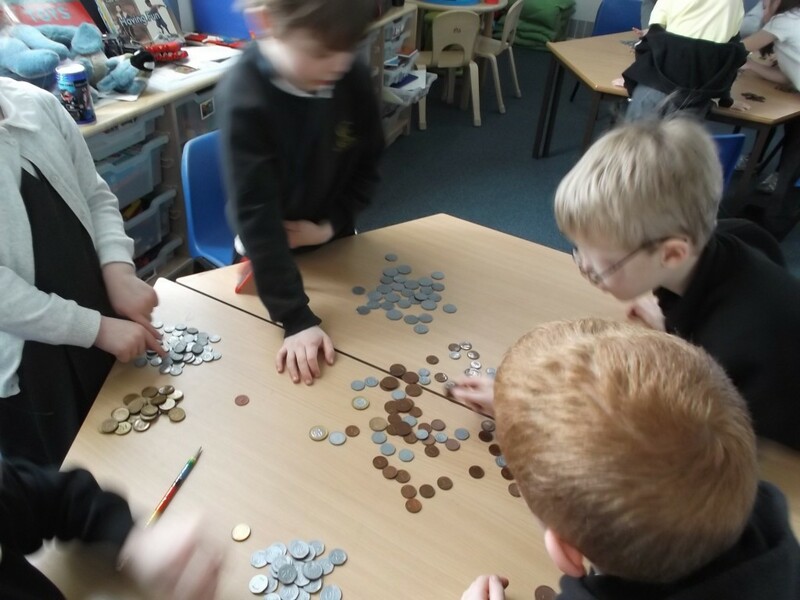 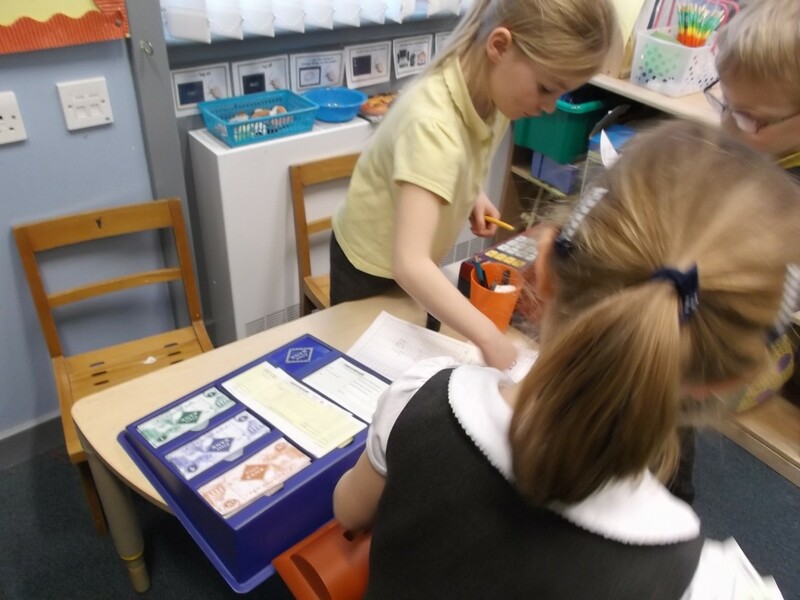 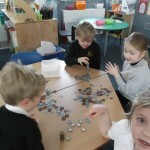 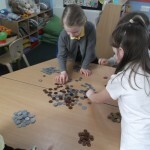 We have also been learning about money, we have opened a shop and a bank in class and have been sorting money. 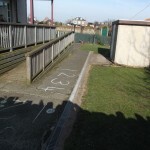 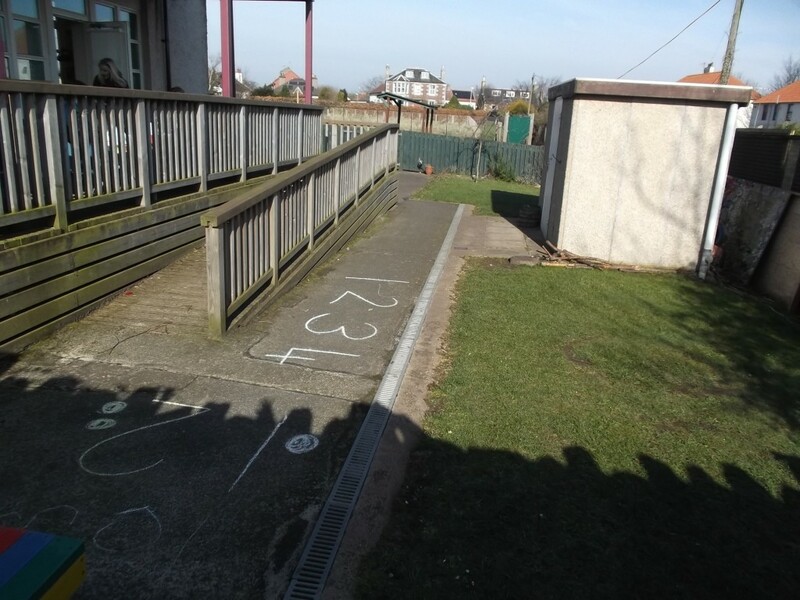 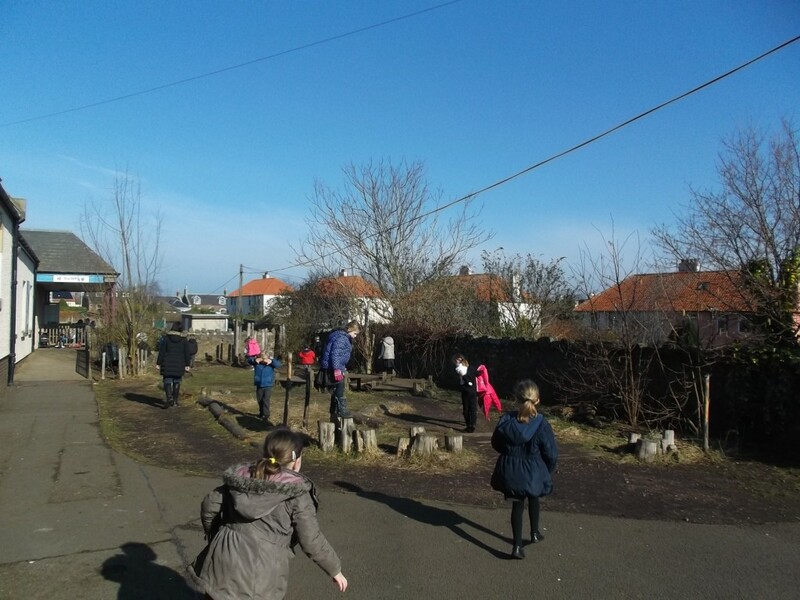 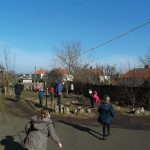 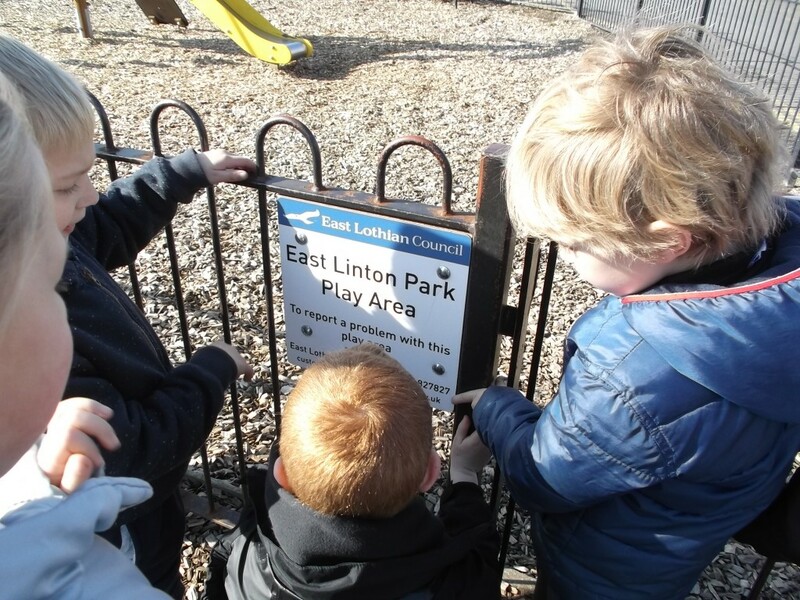 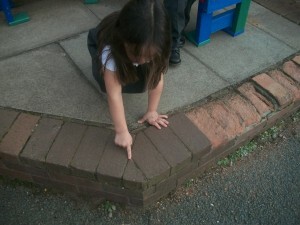 We spent a morning out and about looking for numbers in the environment we could hardly believe how many we found. 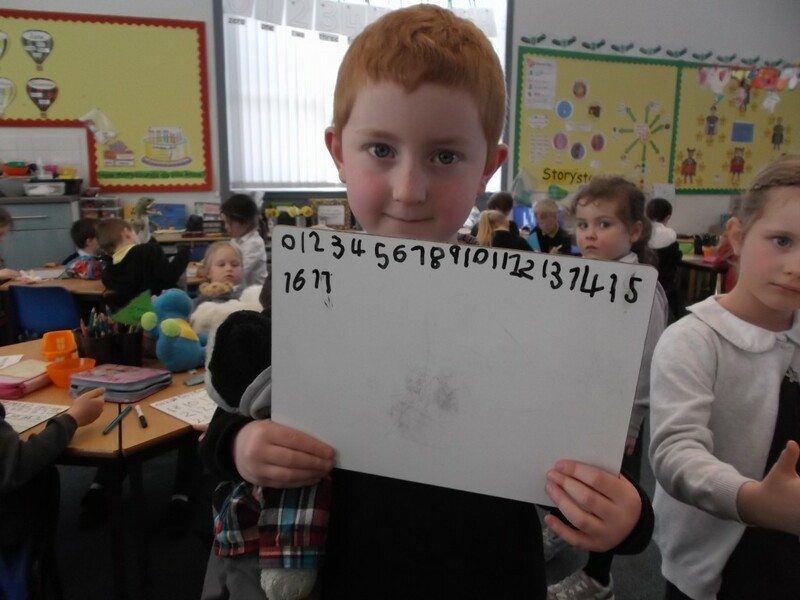 There were numbers everywhere telling us lots of different information. 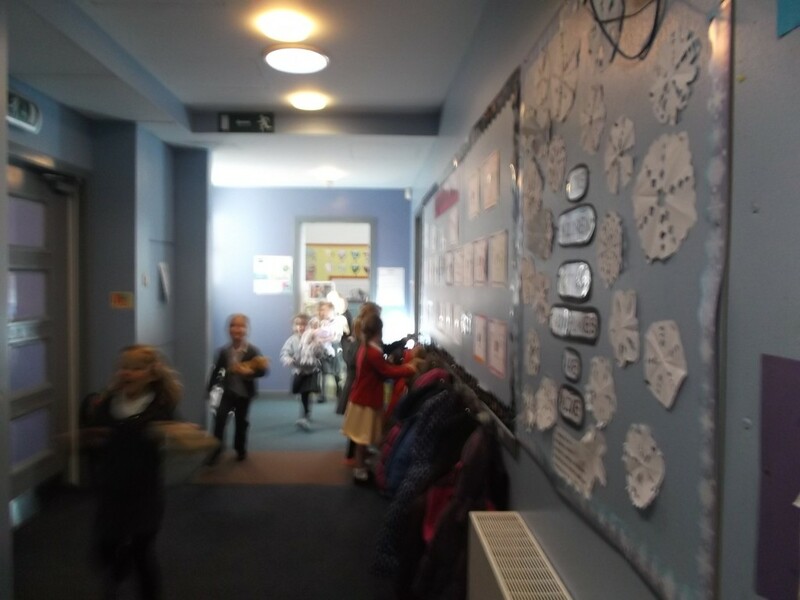 We took lots of photographs and then found out what they all meant. 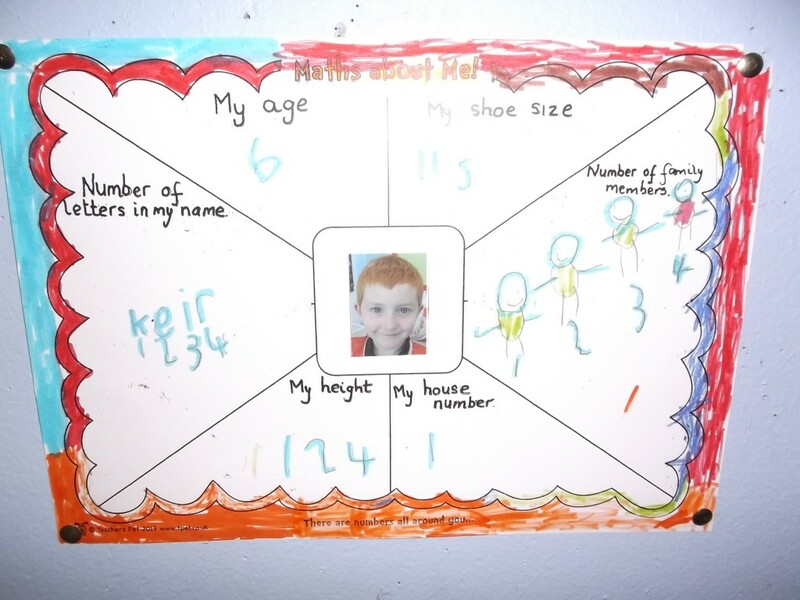 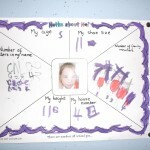 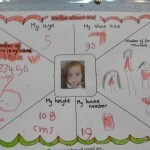 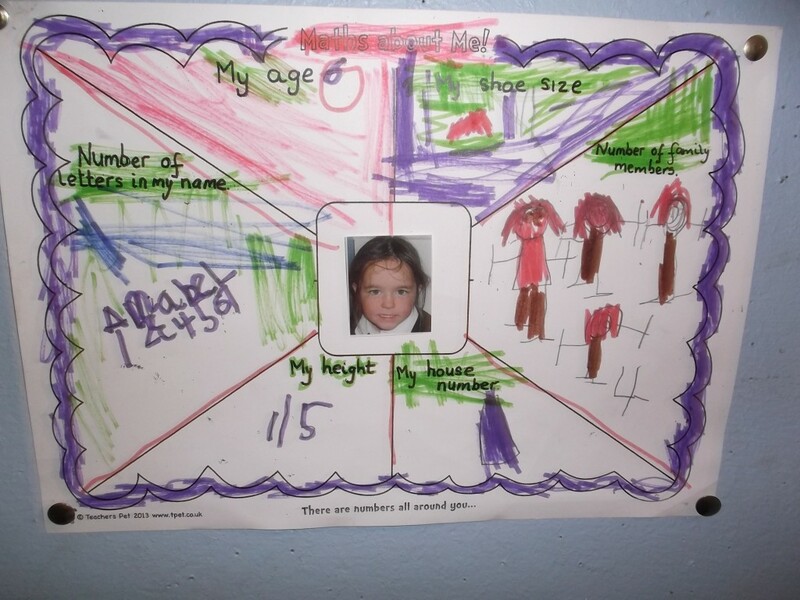 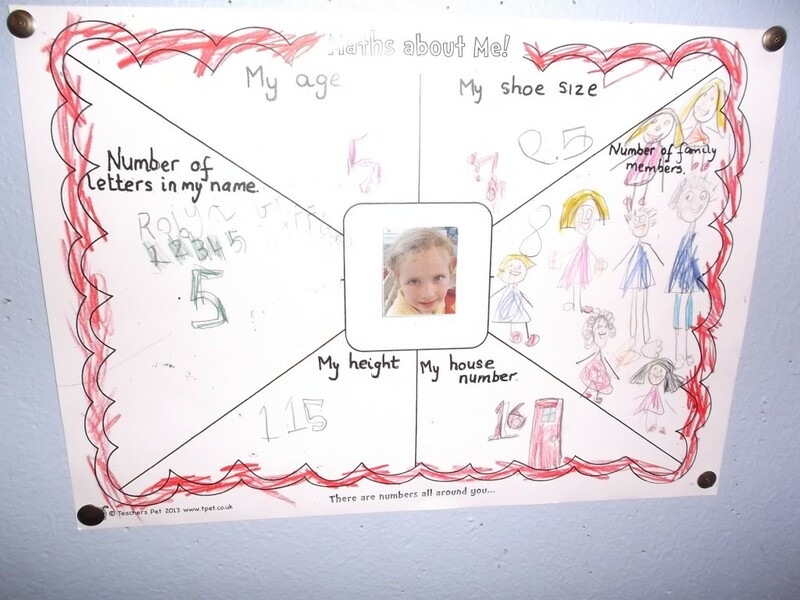 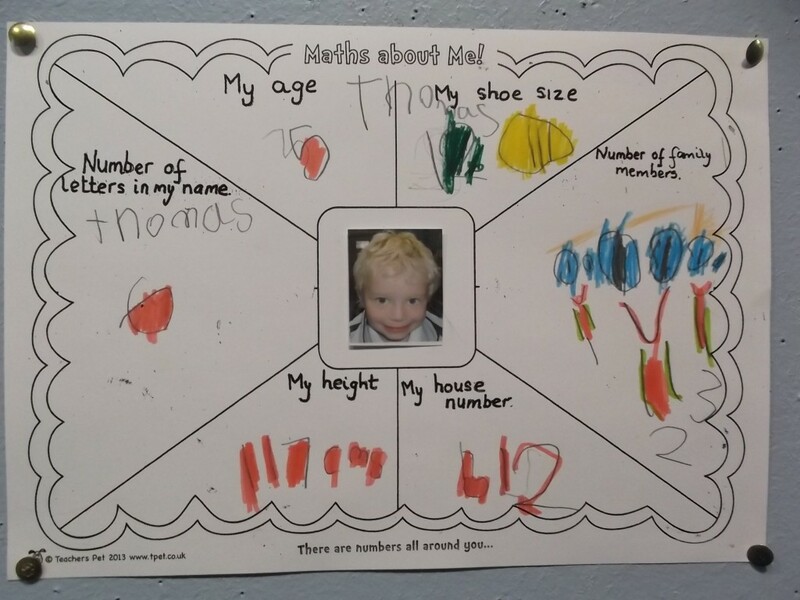 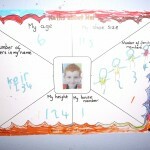 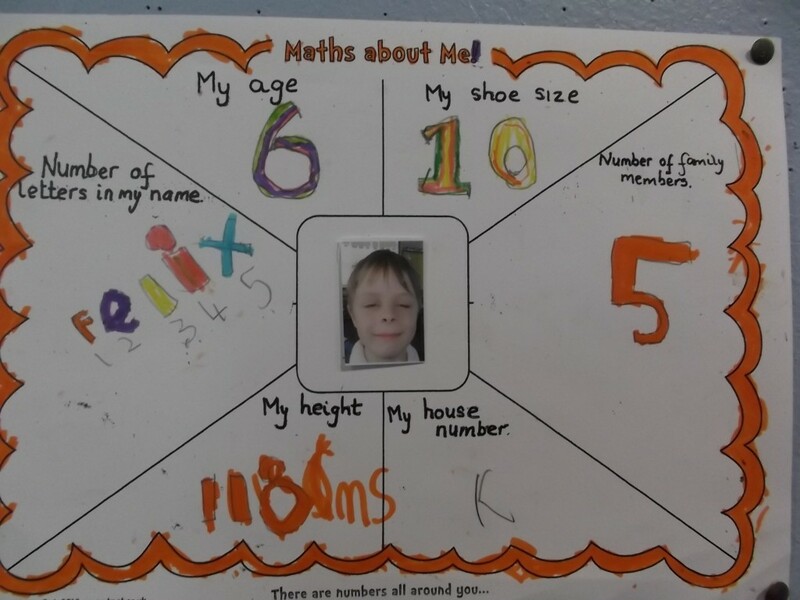 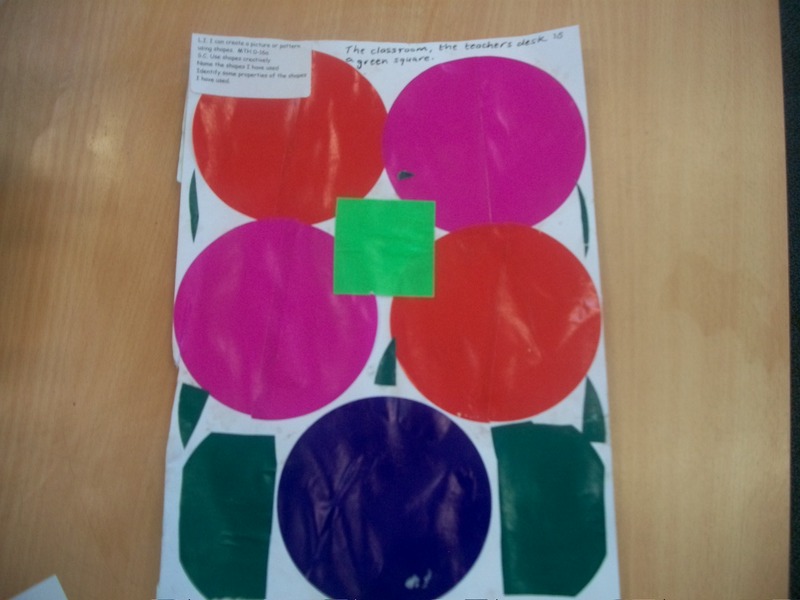 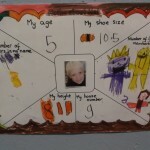 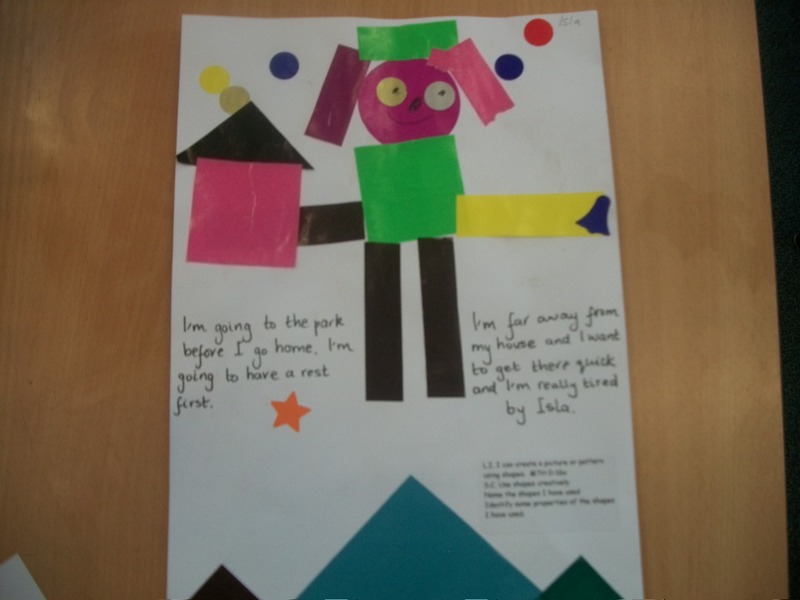 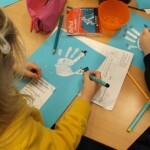 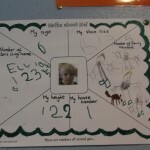 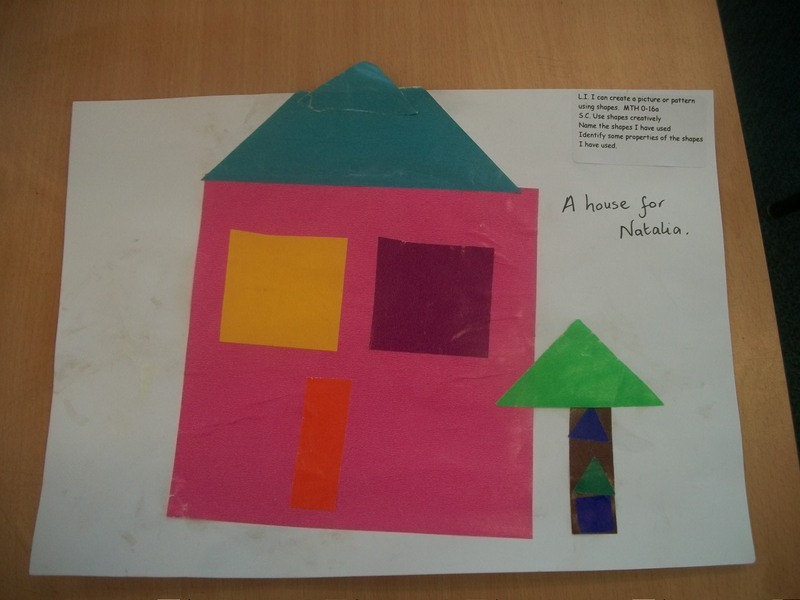 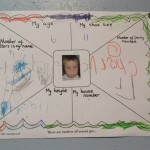 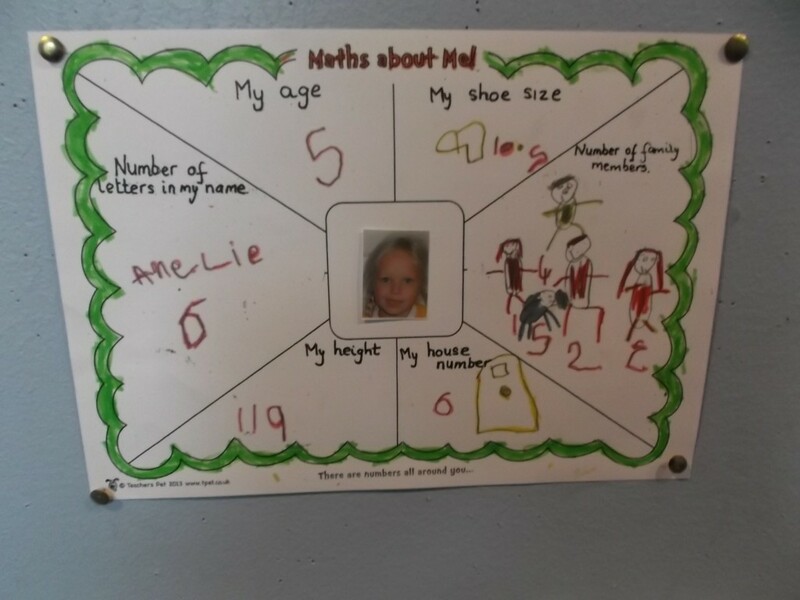 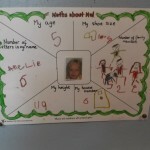 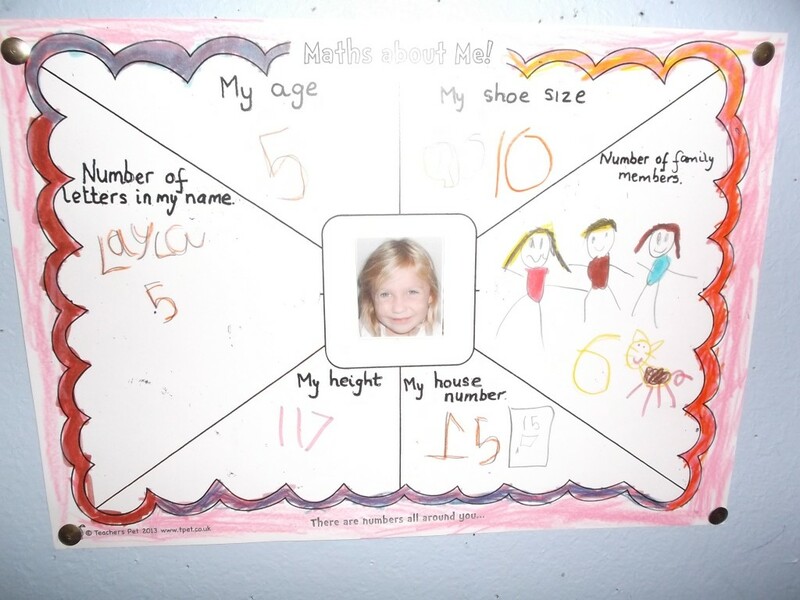 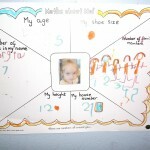 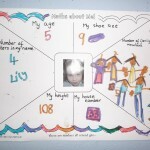 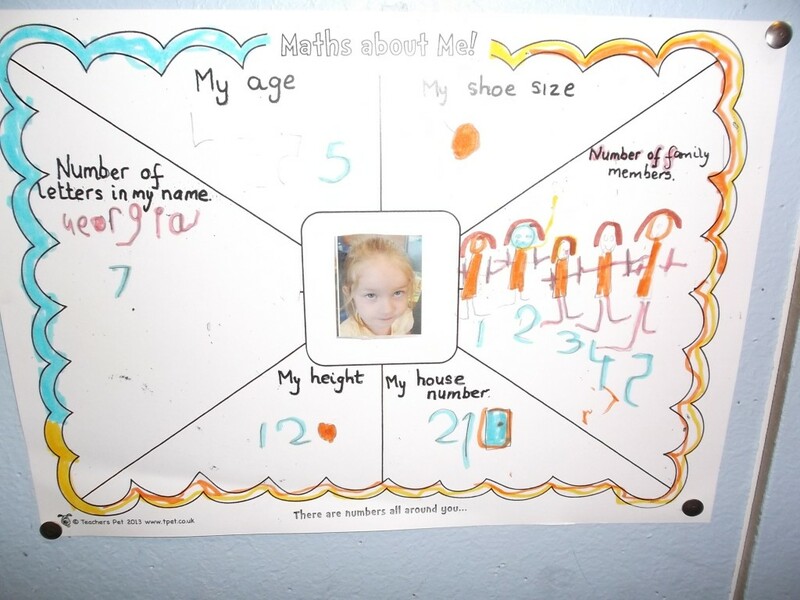 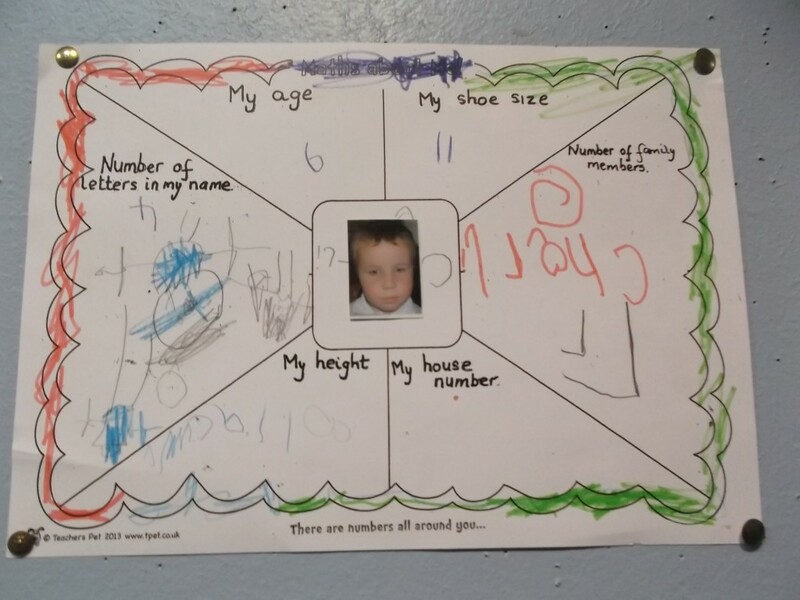 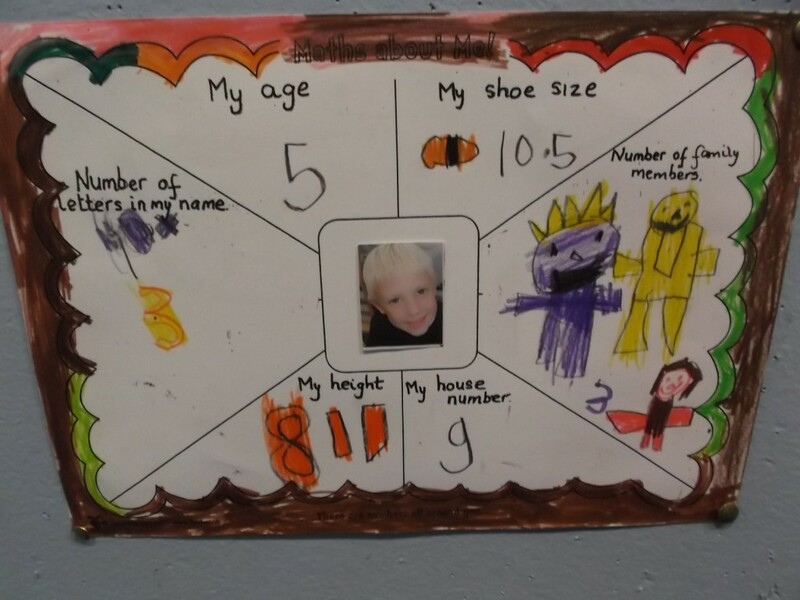 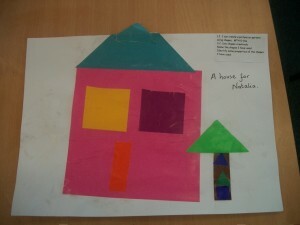 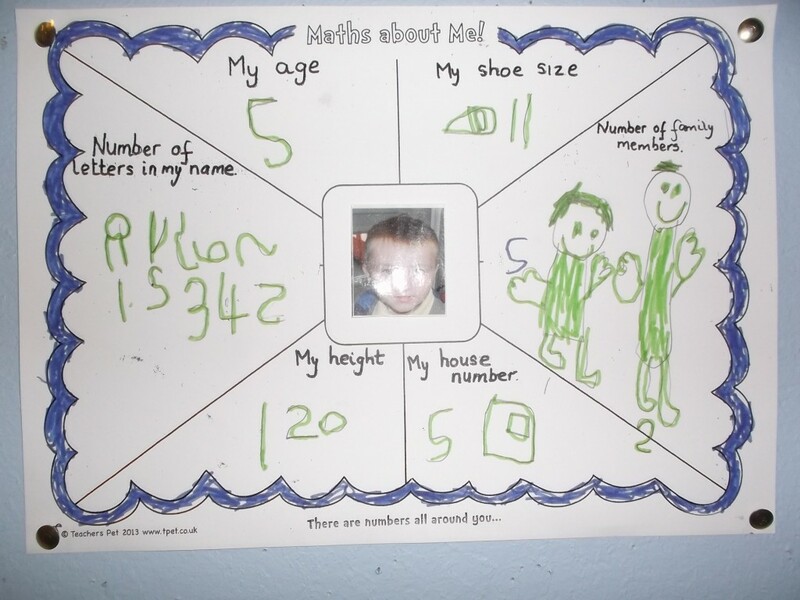 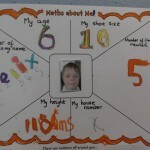 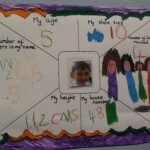 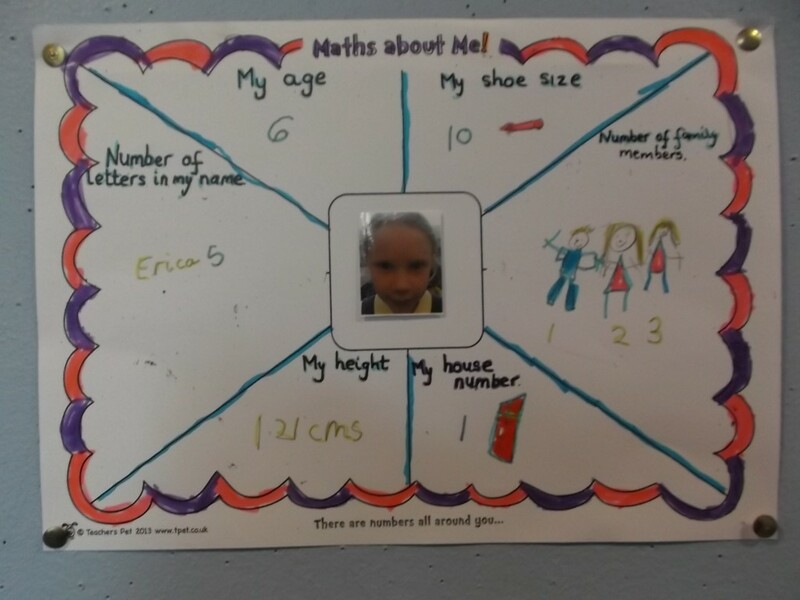 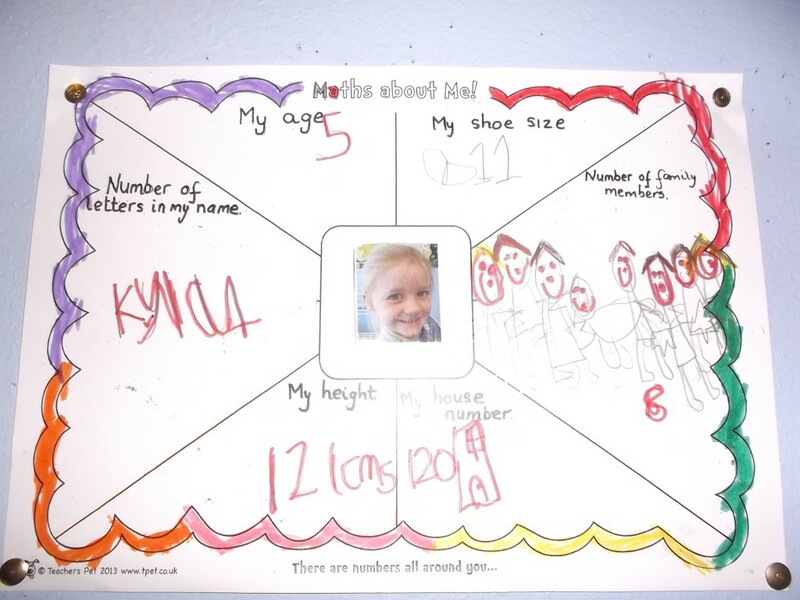 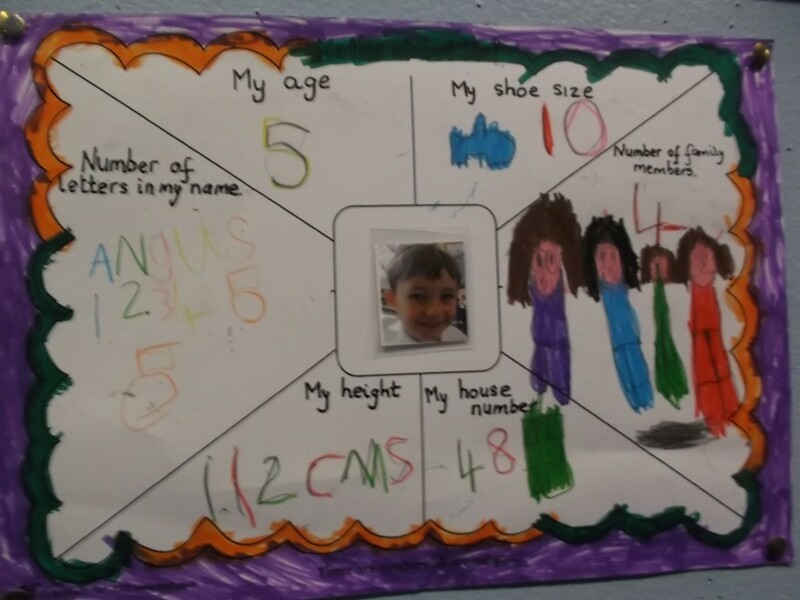 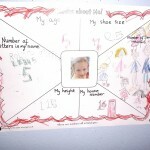 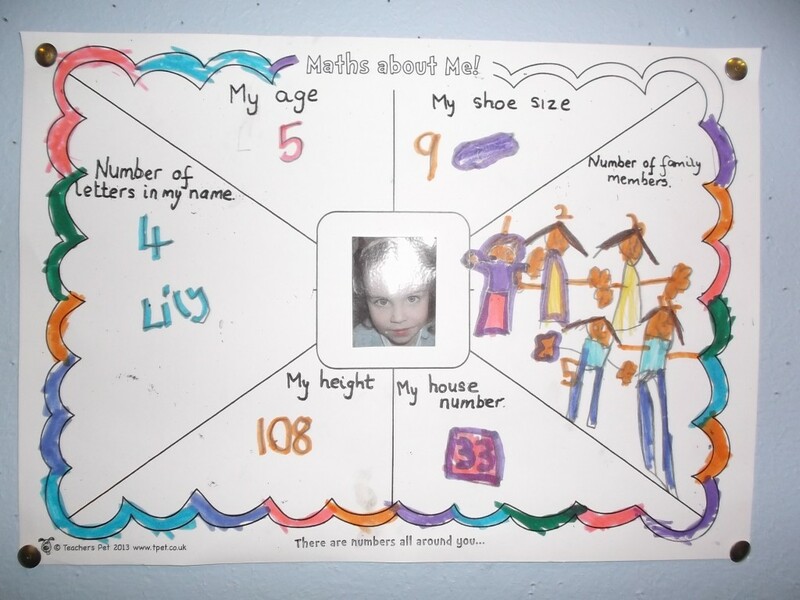 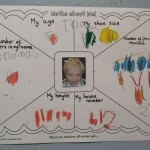 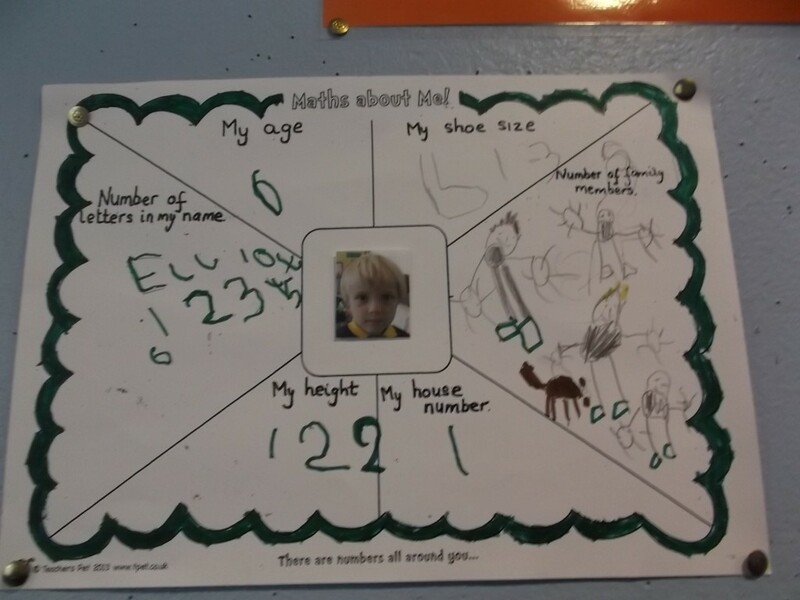 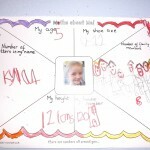 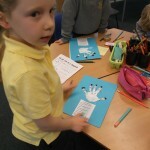 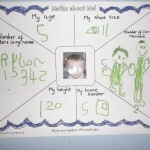 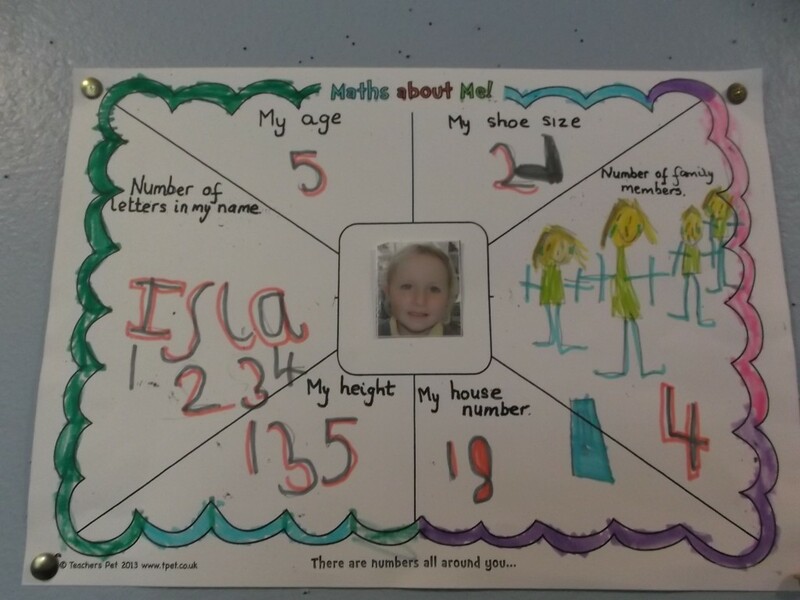 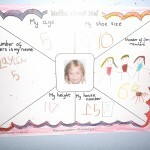 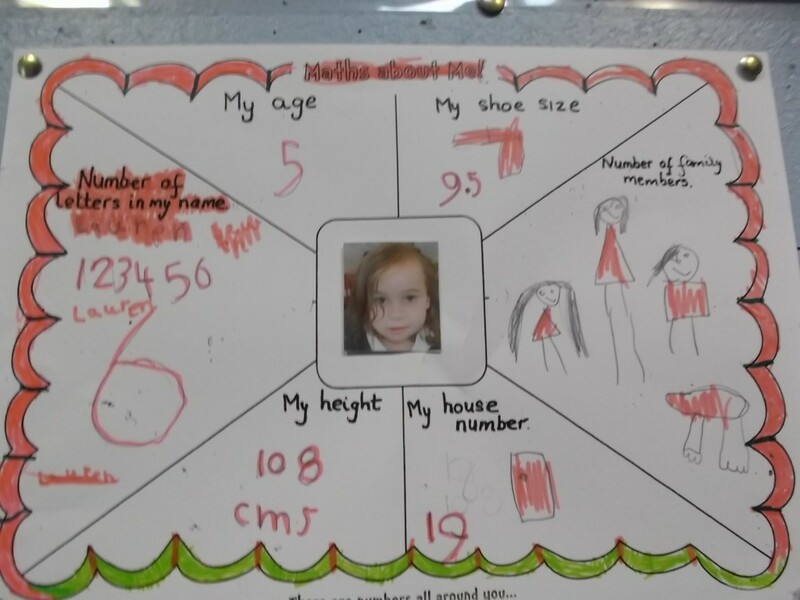 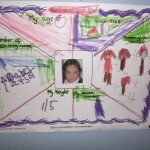 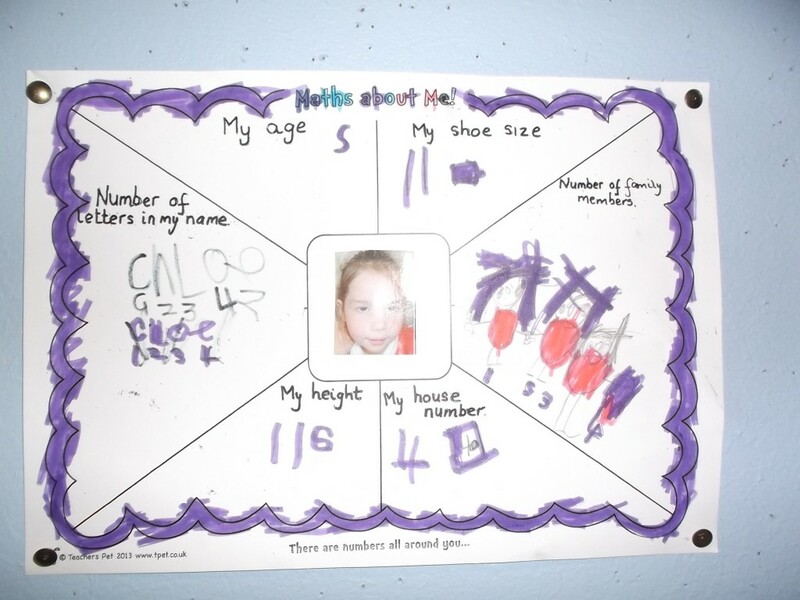 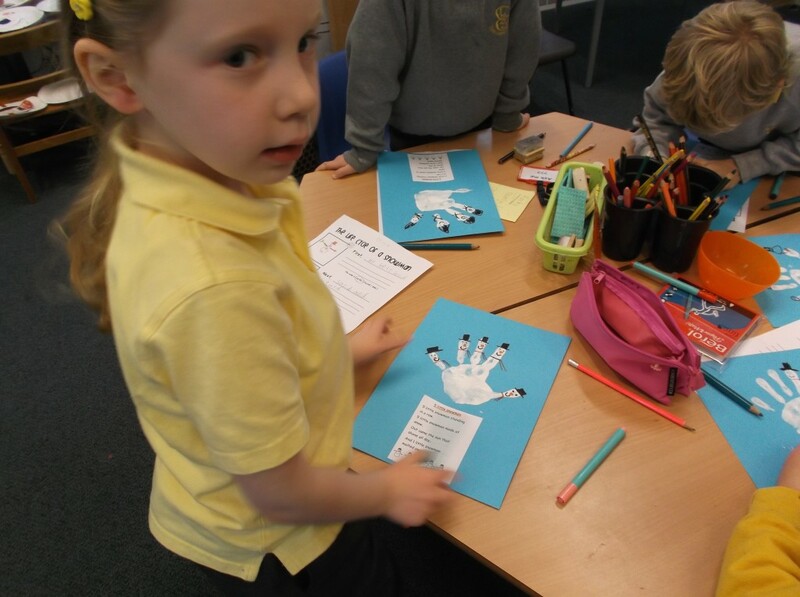 We then made our own posters with numbers which are important to us. 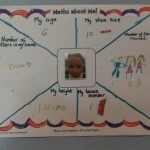 Wow that’s a lot of maths!!!! 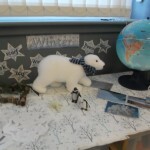 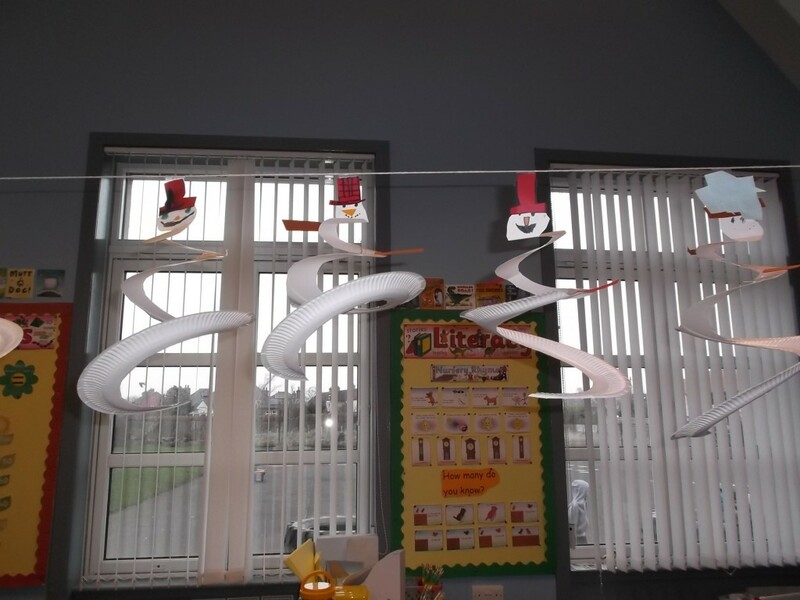 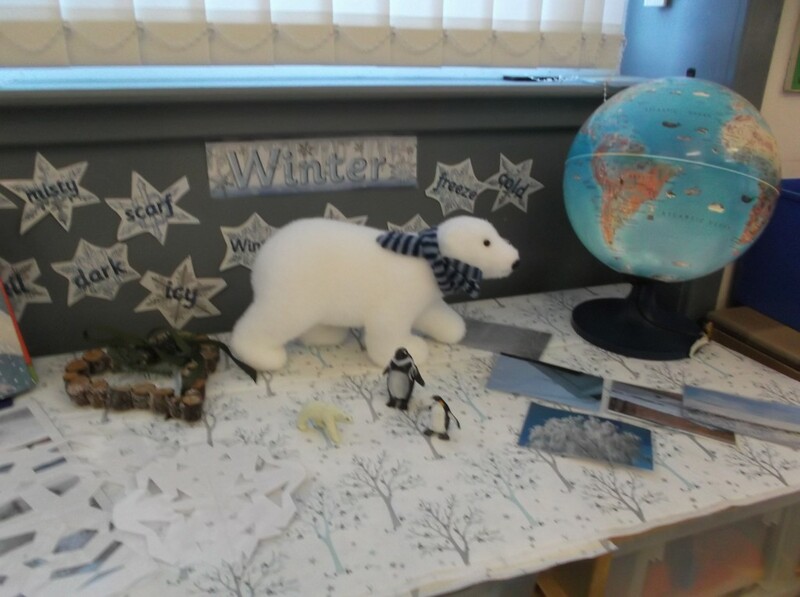 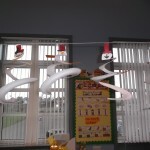 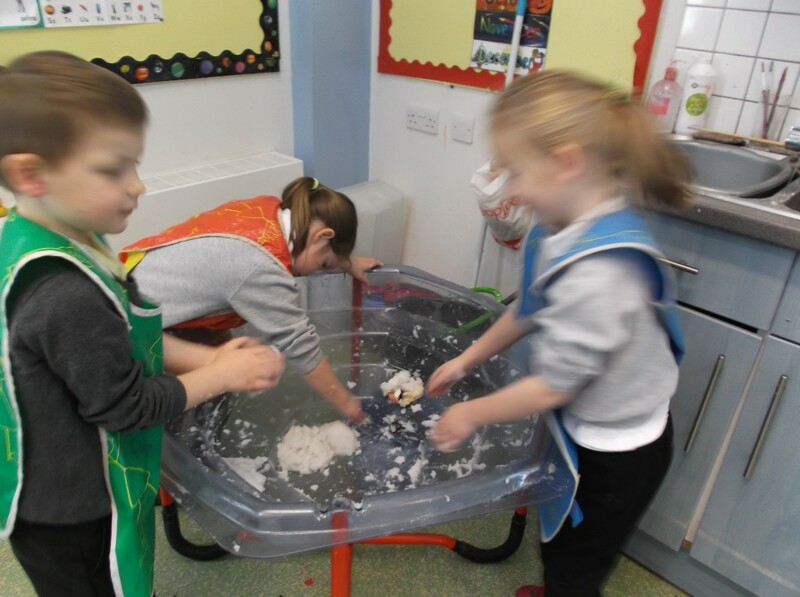 Winter has well and truly arrived in P1 this week. 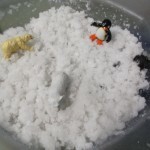 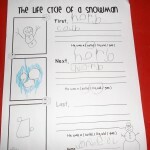 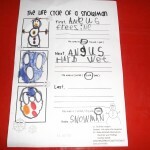 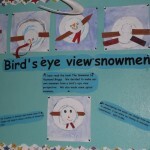 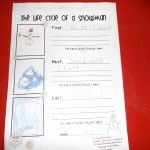 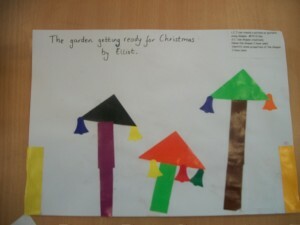 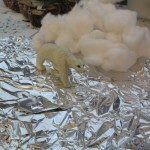 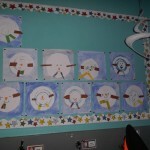 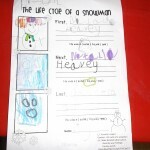 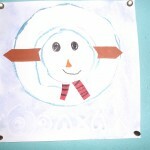 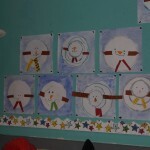 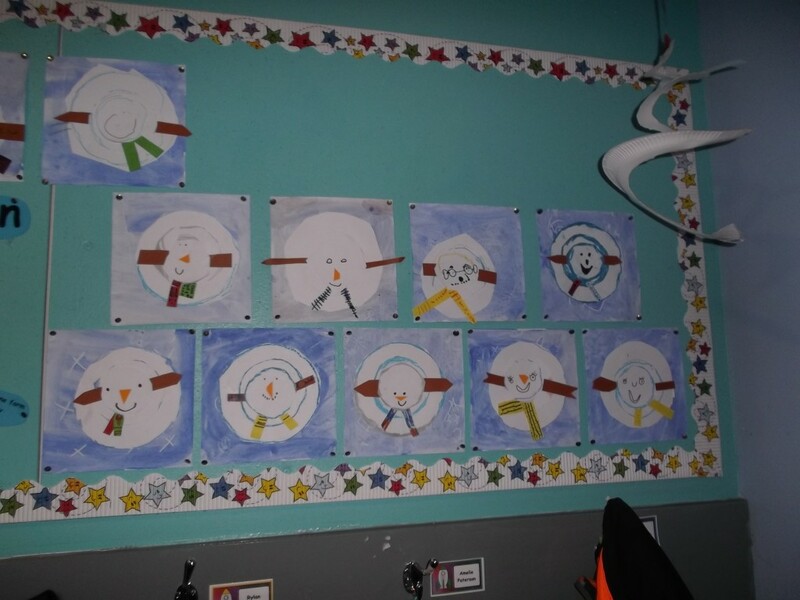 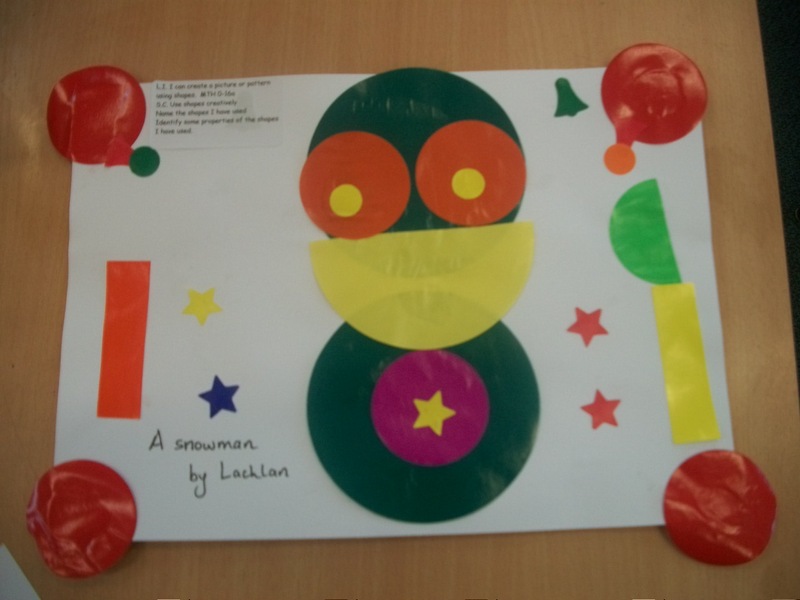 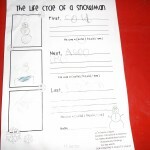 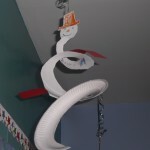 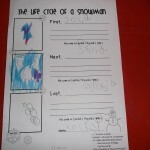 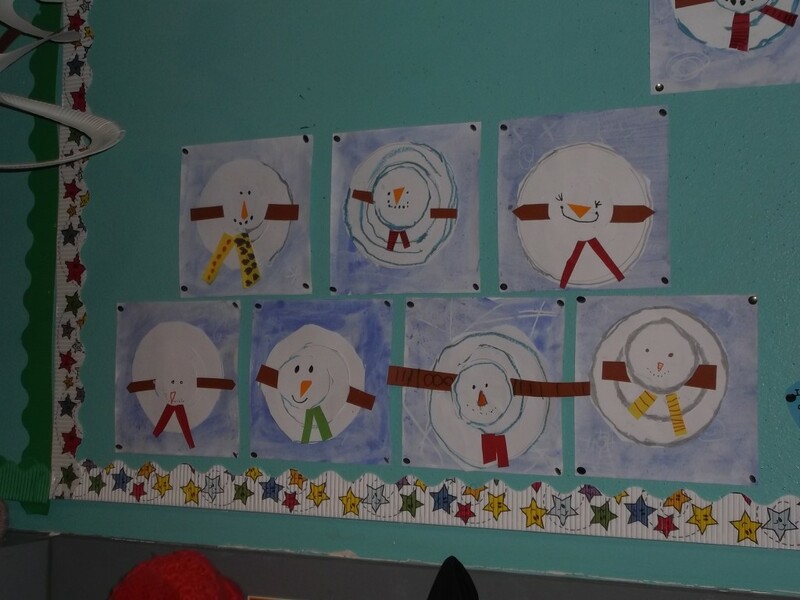 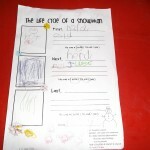 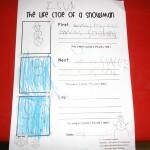 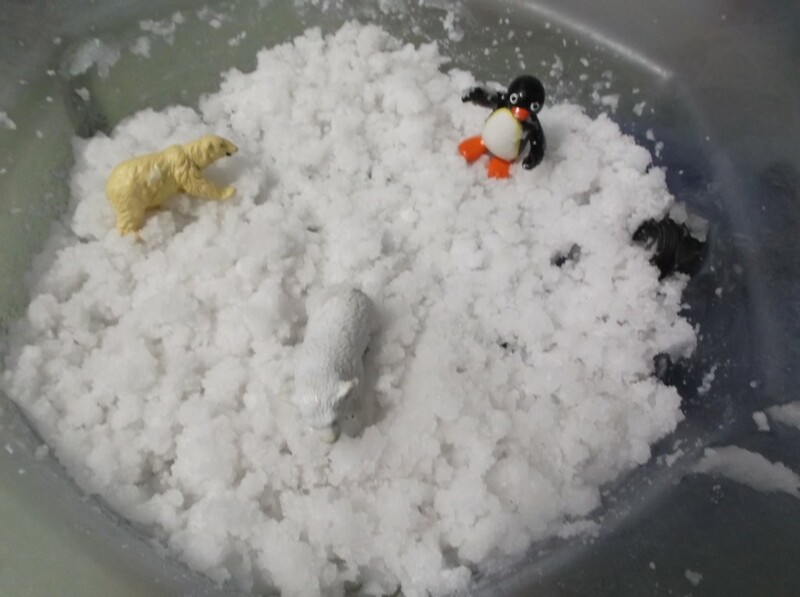 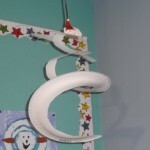 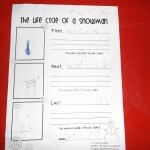 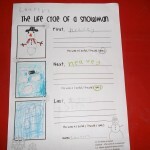 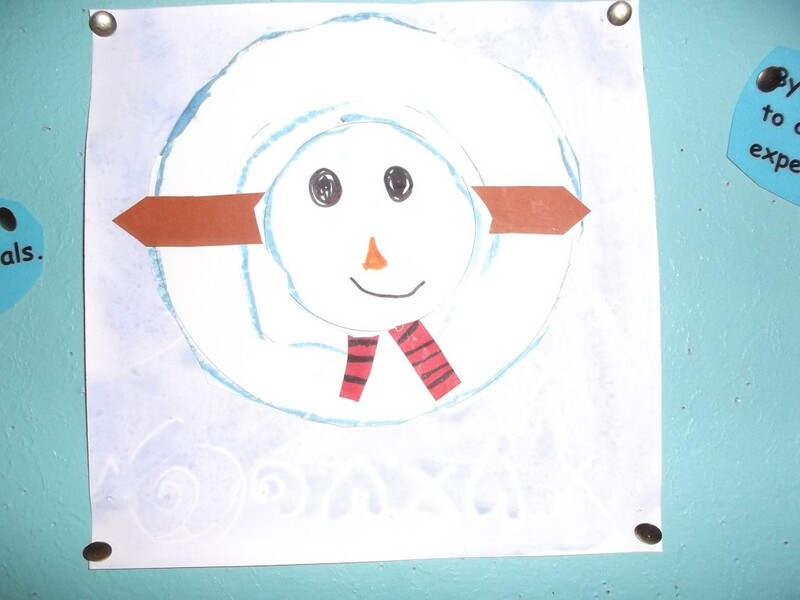 We have started our mini topic on Winter and this week we had a big focus on snowmen. 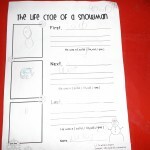 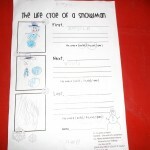 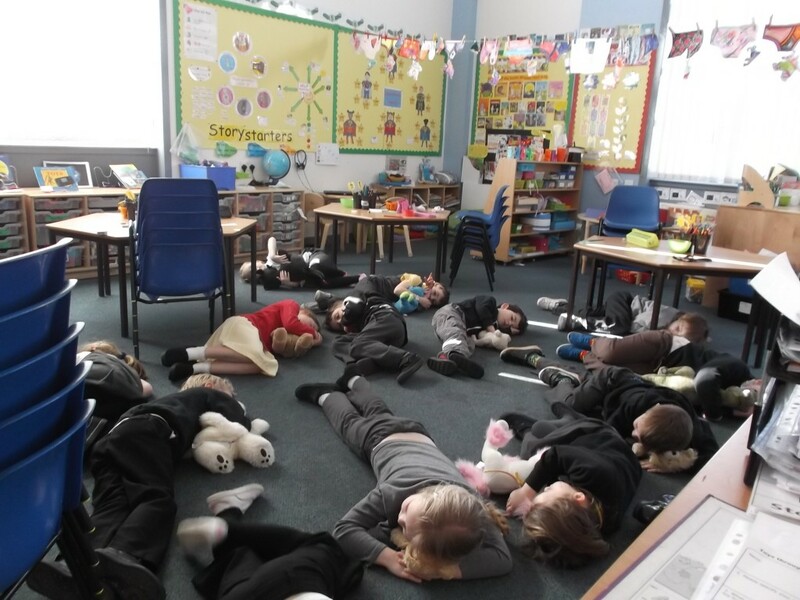 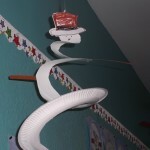 We read and watched the DVD of Raymond Briggs The Snowman which left us feeling a bit sad at then end! 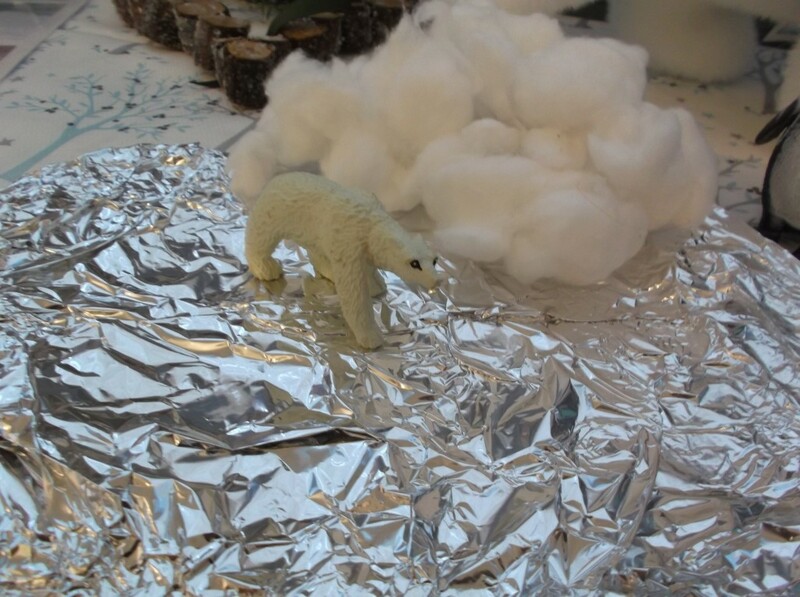 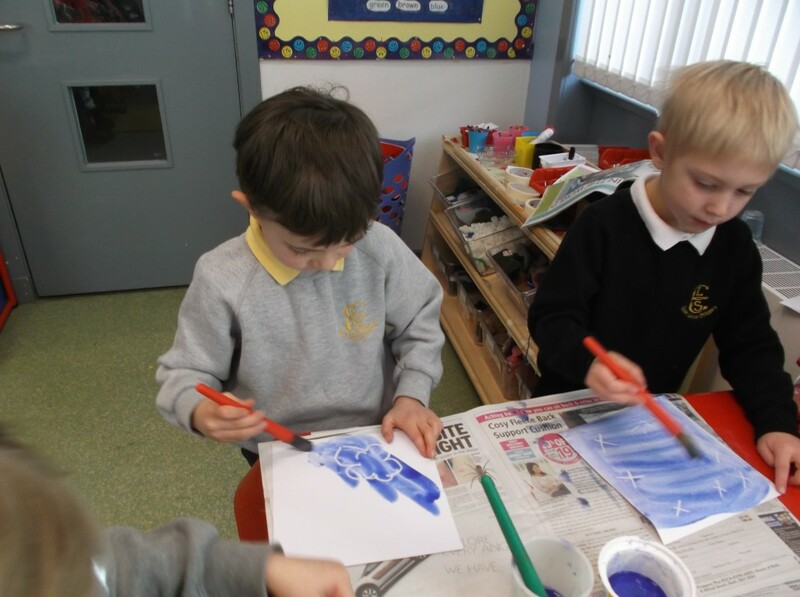 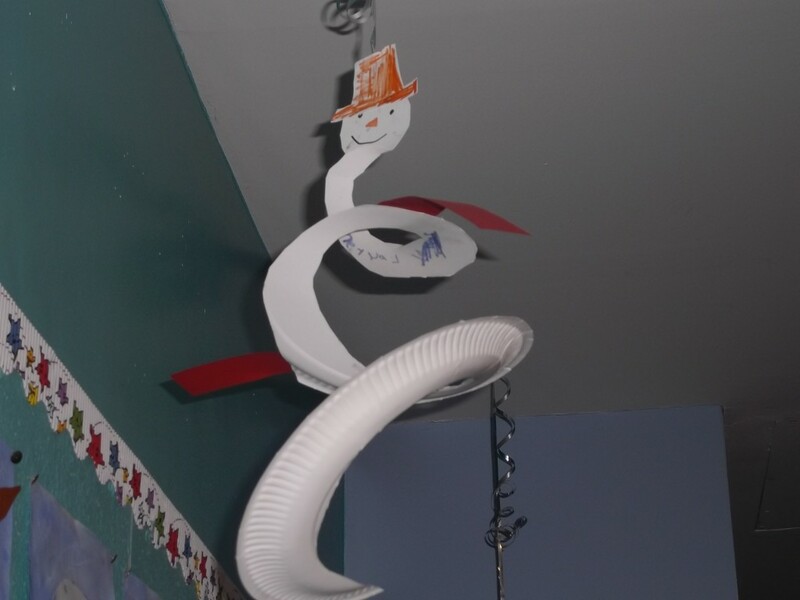 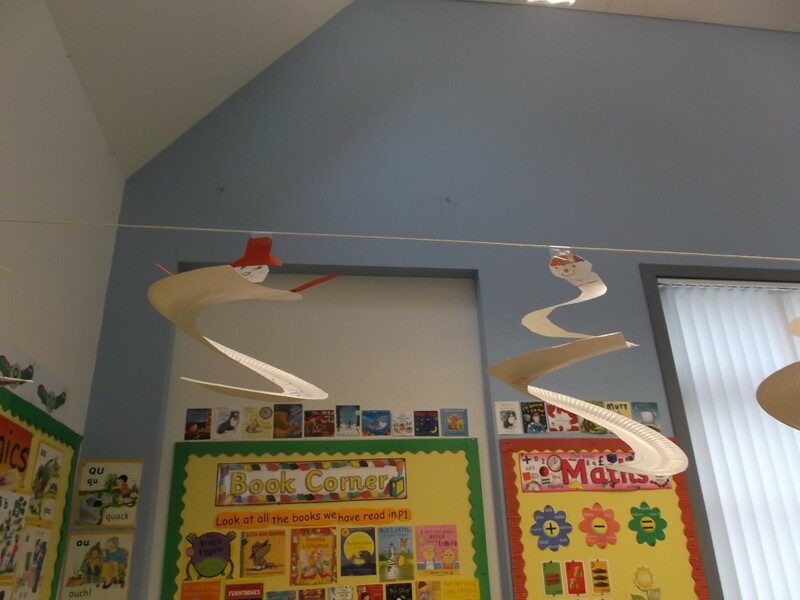 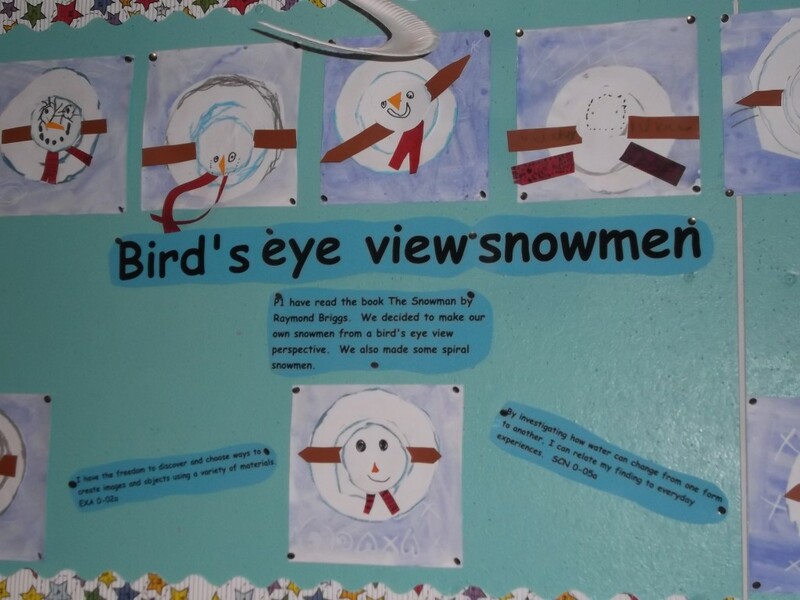 We then made some snowmen but with a bit of a difference, we made snowmen from a bird’s eye perspective and spiral snowmen. 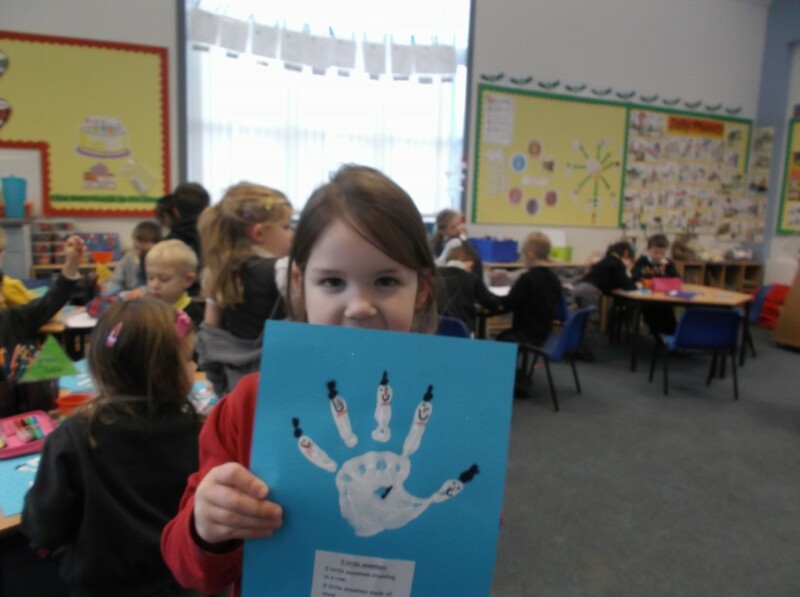 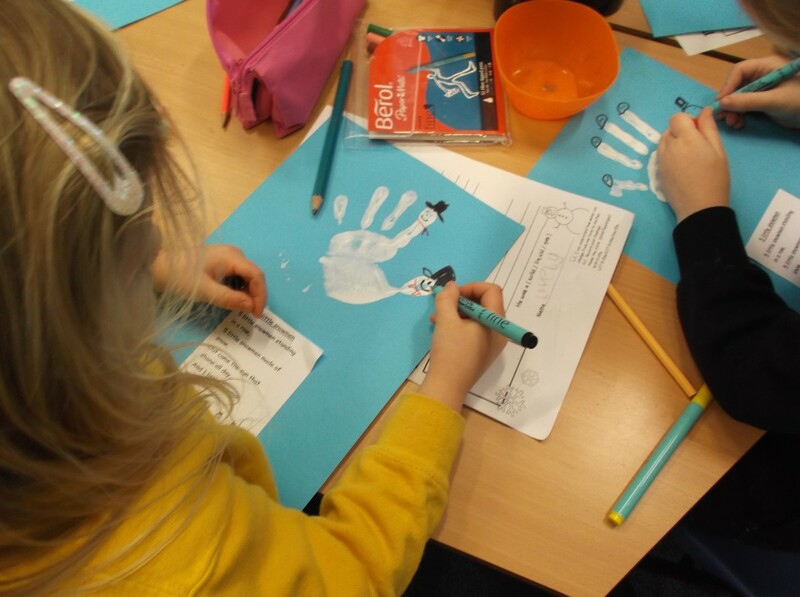 We have also been using snowmen to help us with our take away sums, we made snowmen handprints to help us calculate the answers. 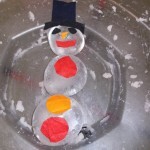 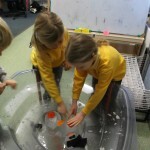 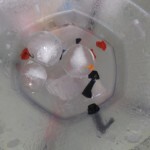 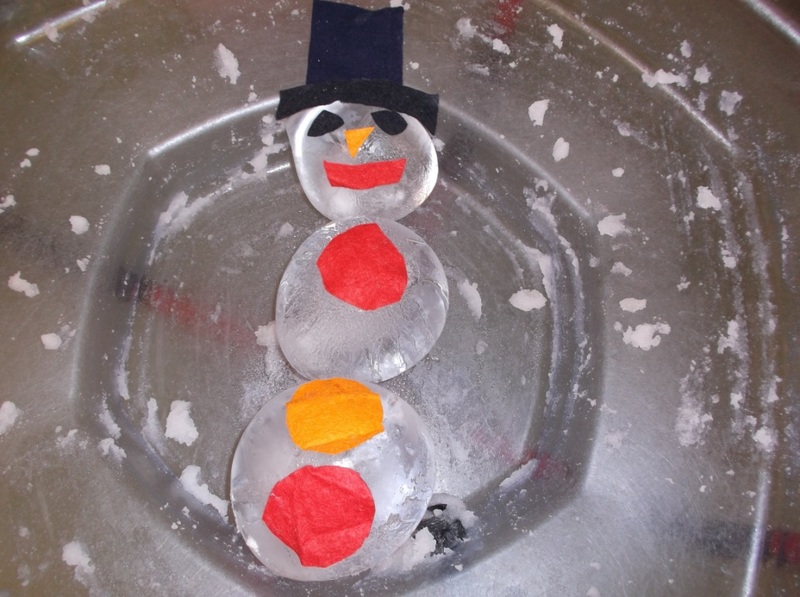 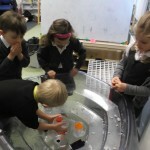 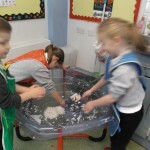 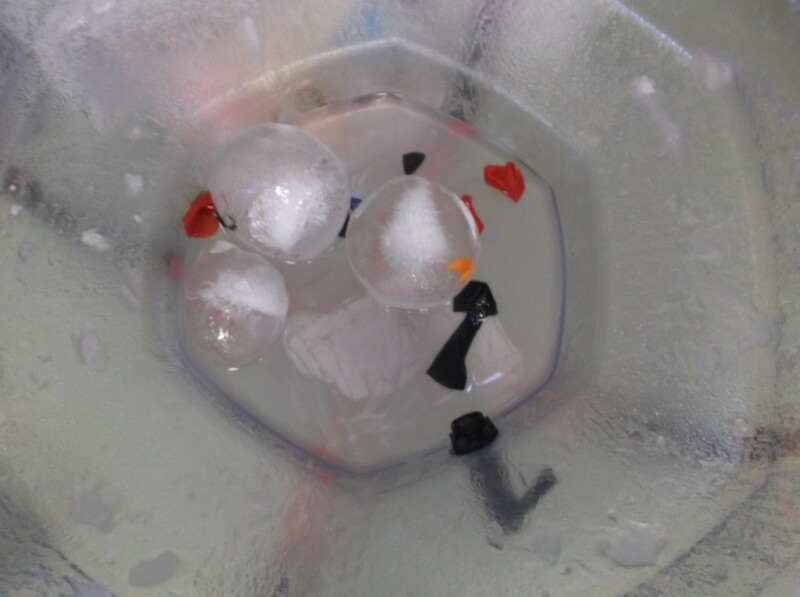 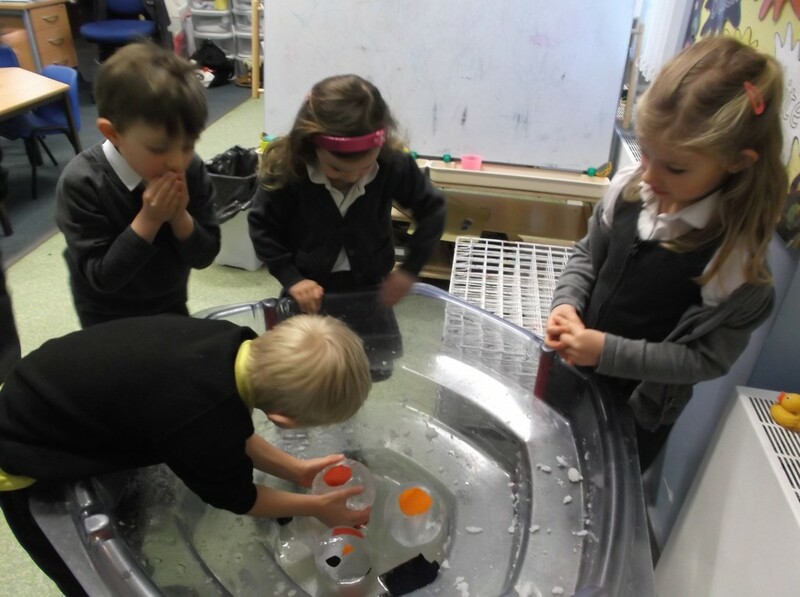 We had a visit from a snowman on Wednesday, he took up residence in our water tray. 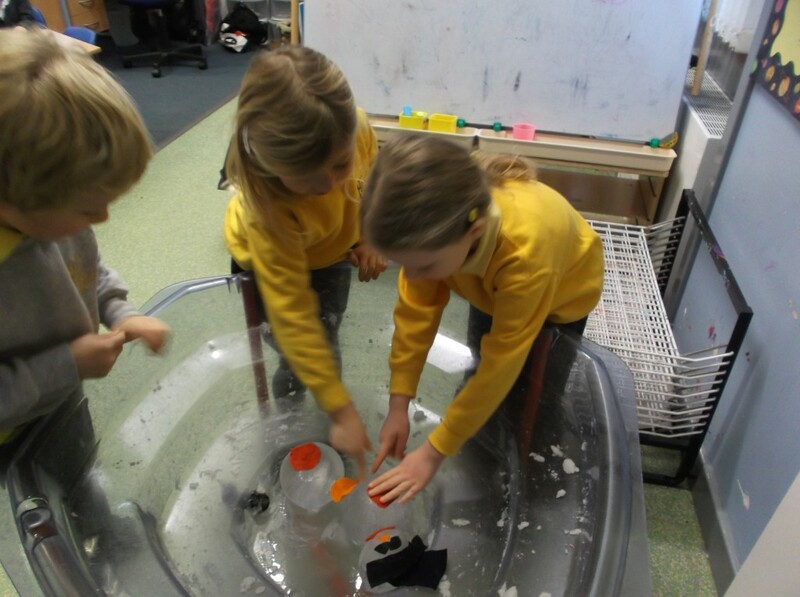 We spent the day observing him and watching the changes take place before our eyes, he went from a solid to a liquid and then we boiled what was left of him in the kettle to see the steam too!! 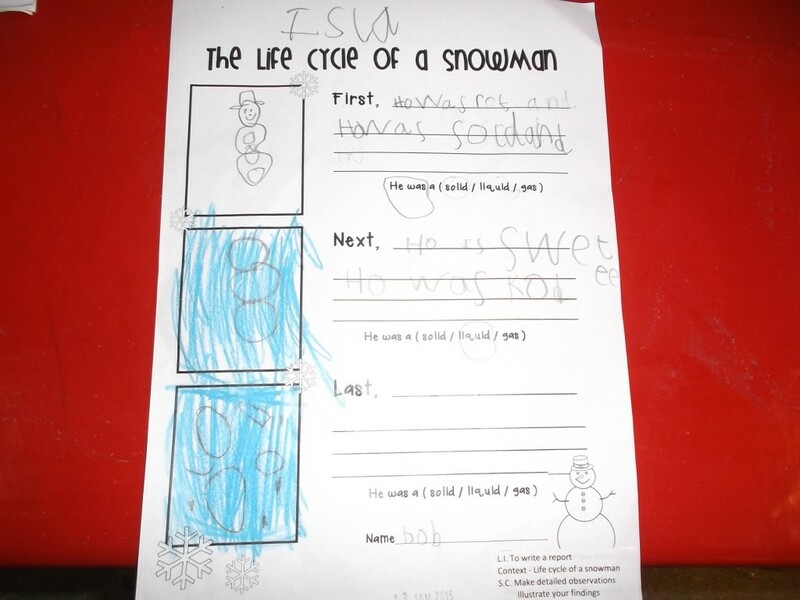 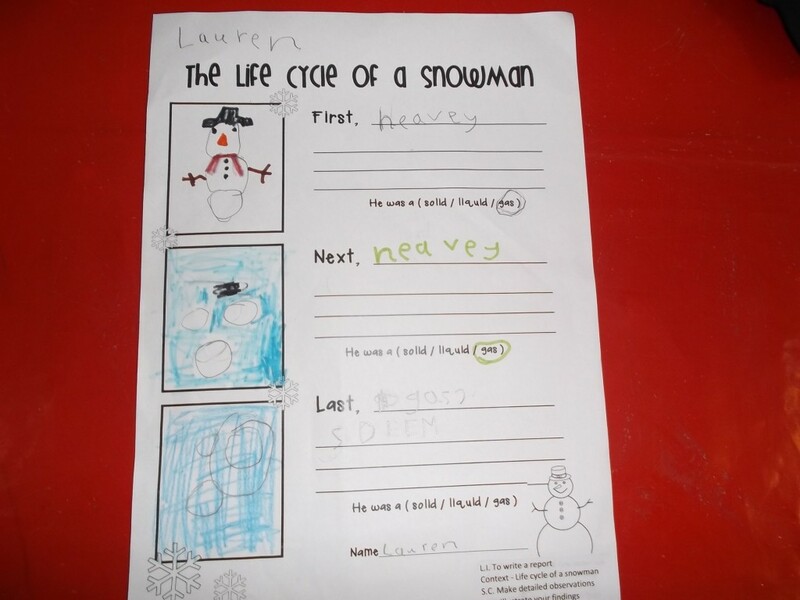 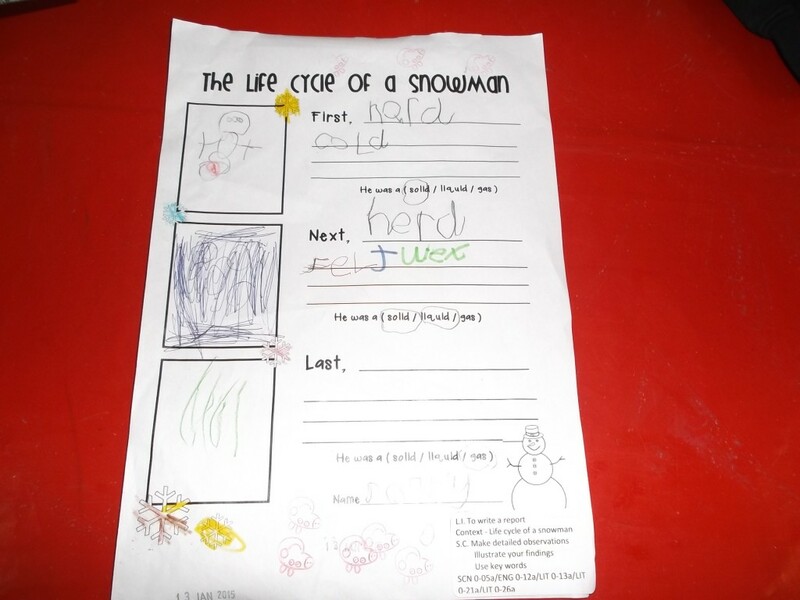 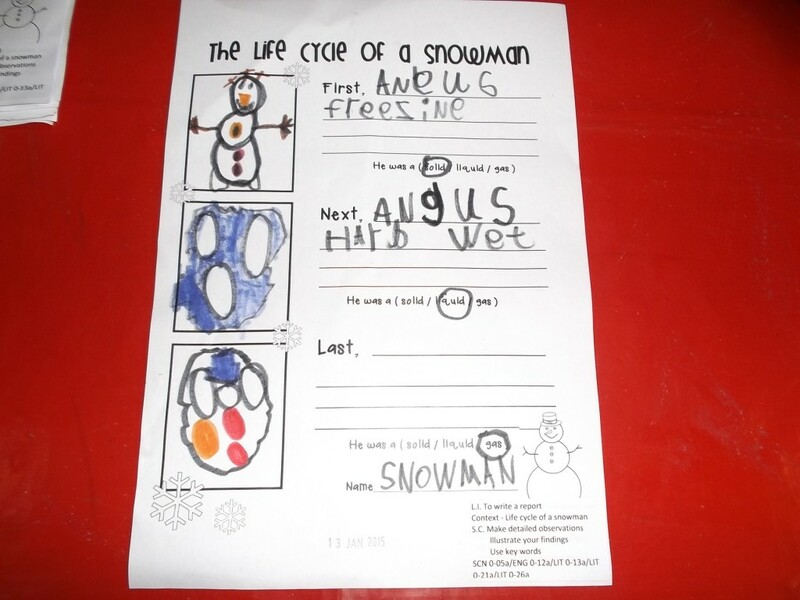 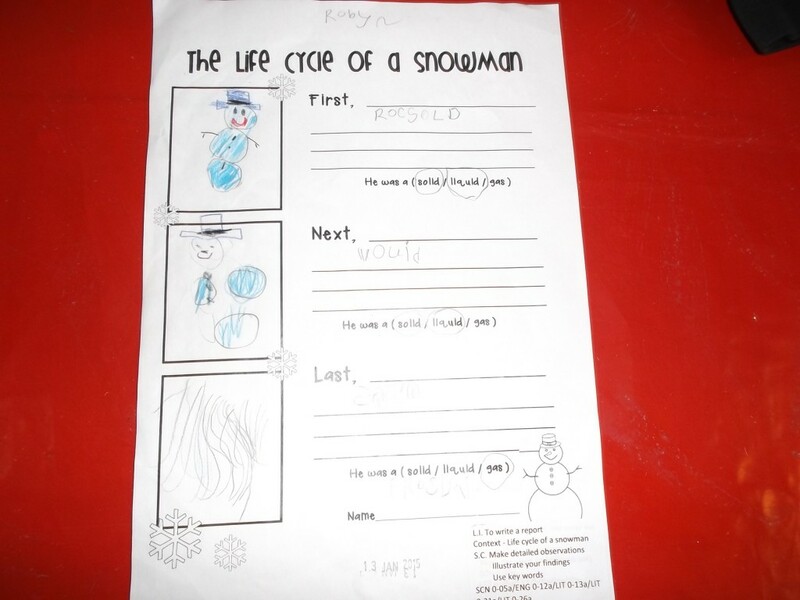 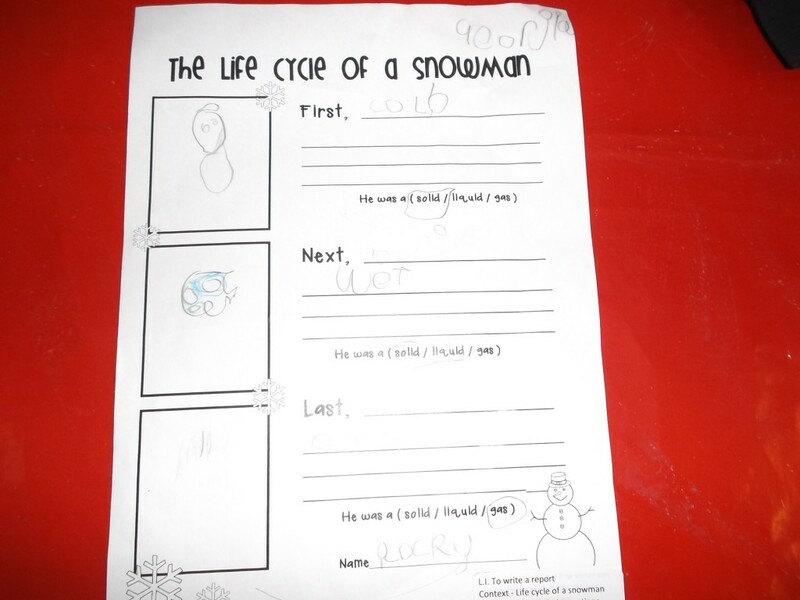 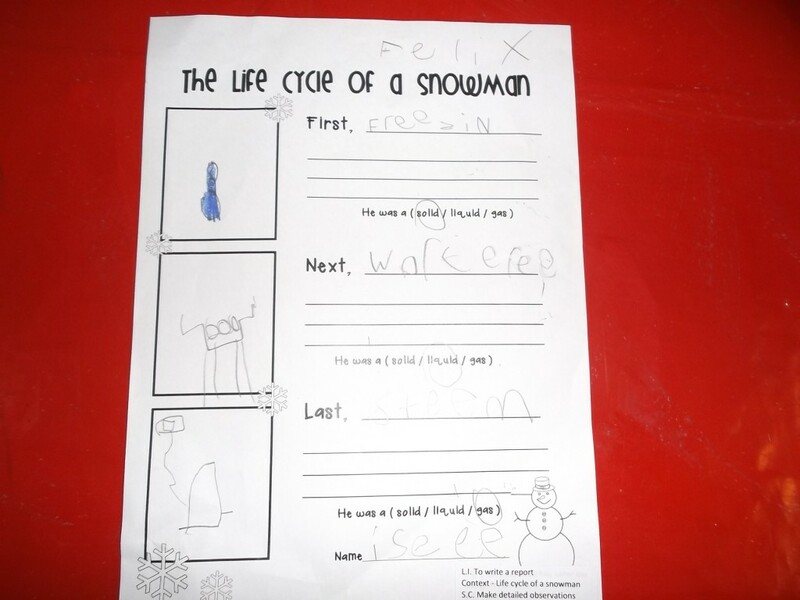 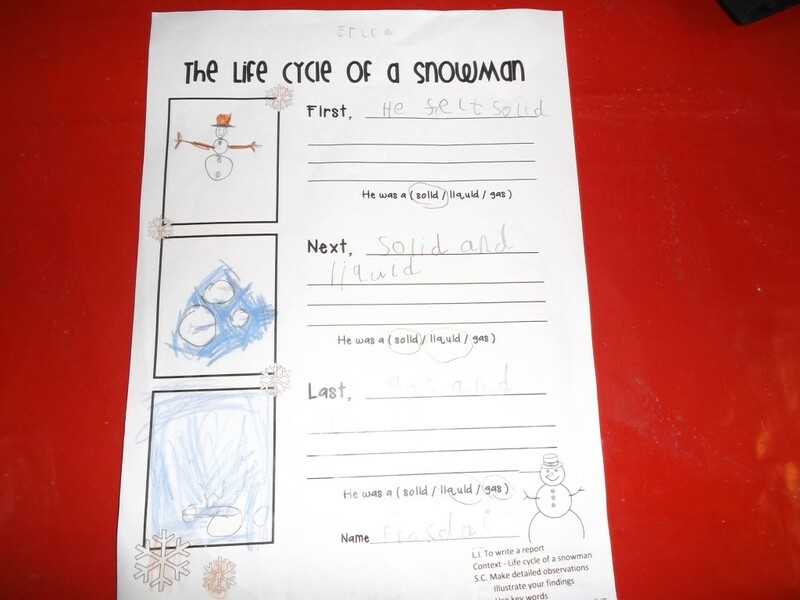 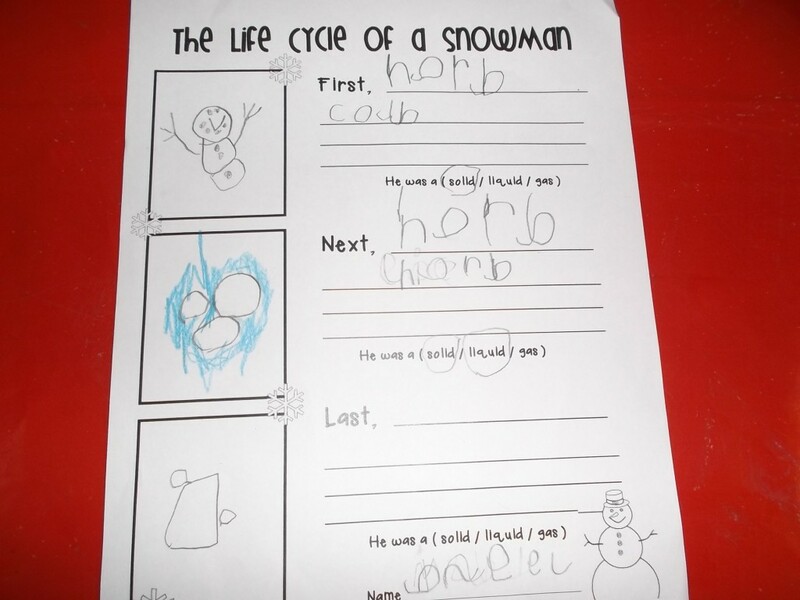 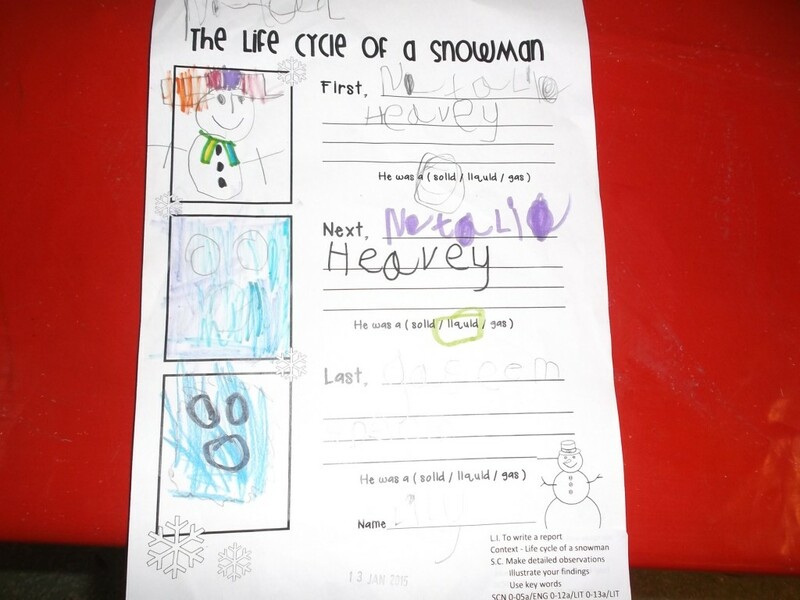 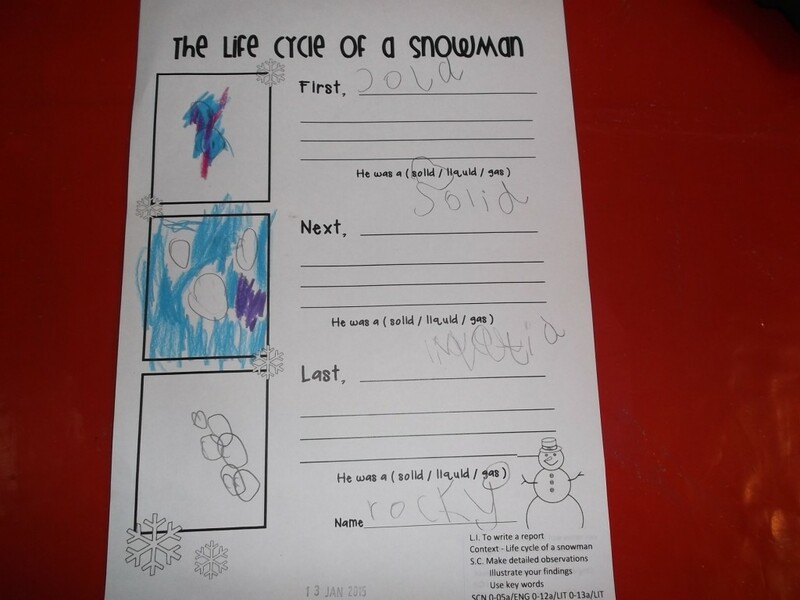 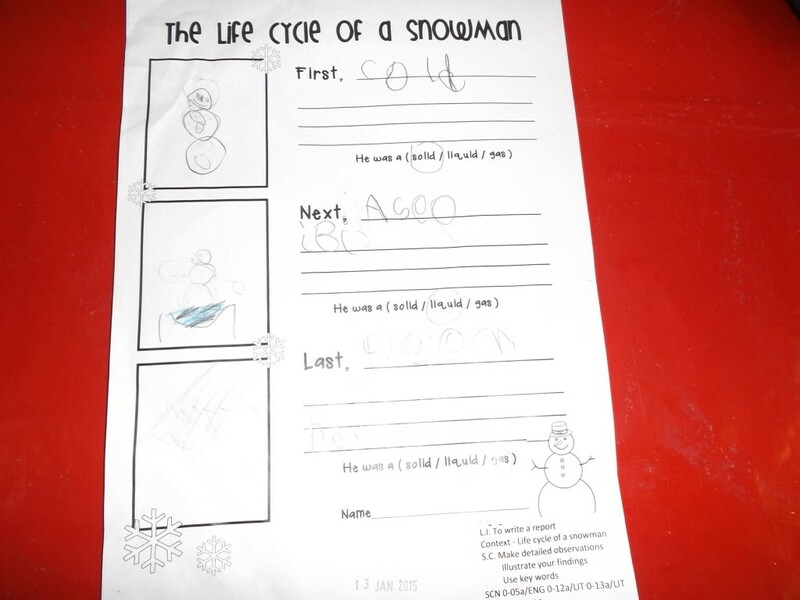 We made illustrations of our observations and used some key words to write our science reports on the life cycle of a snowman. 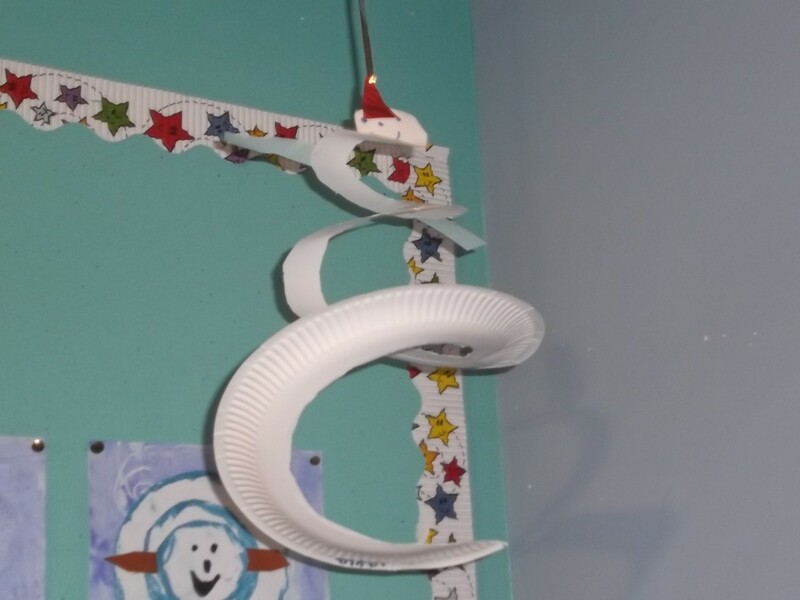 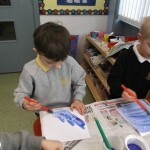 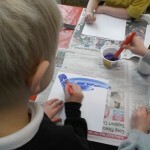 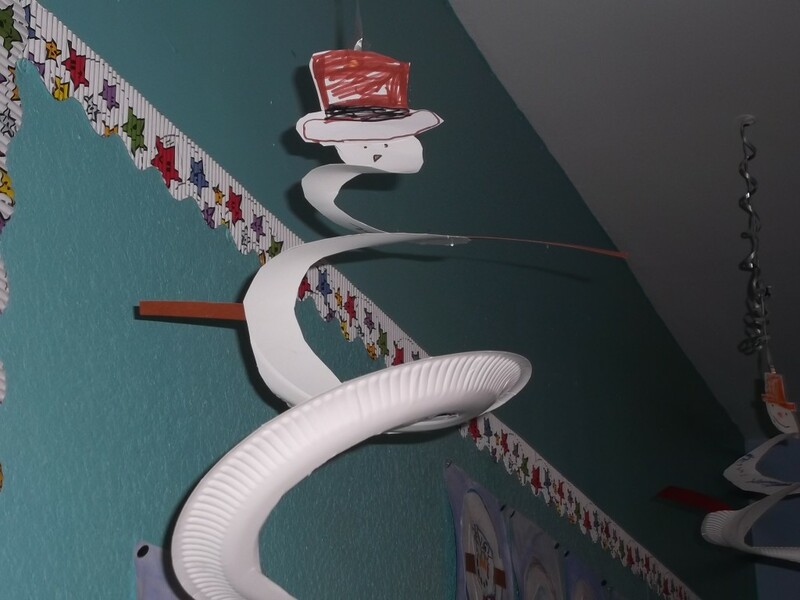 Brrrrrrrilliant work P1! 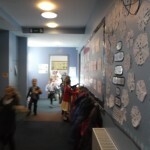 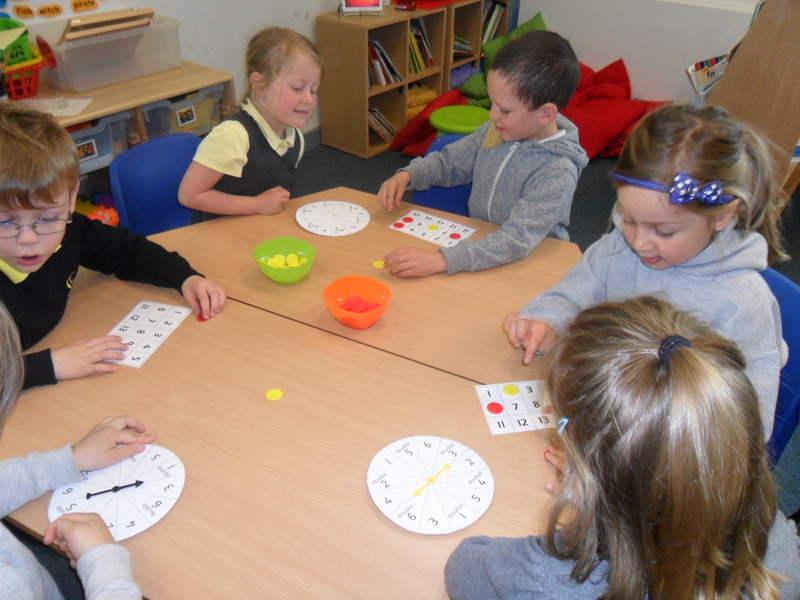 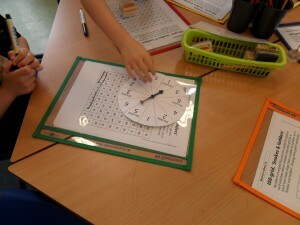 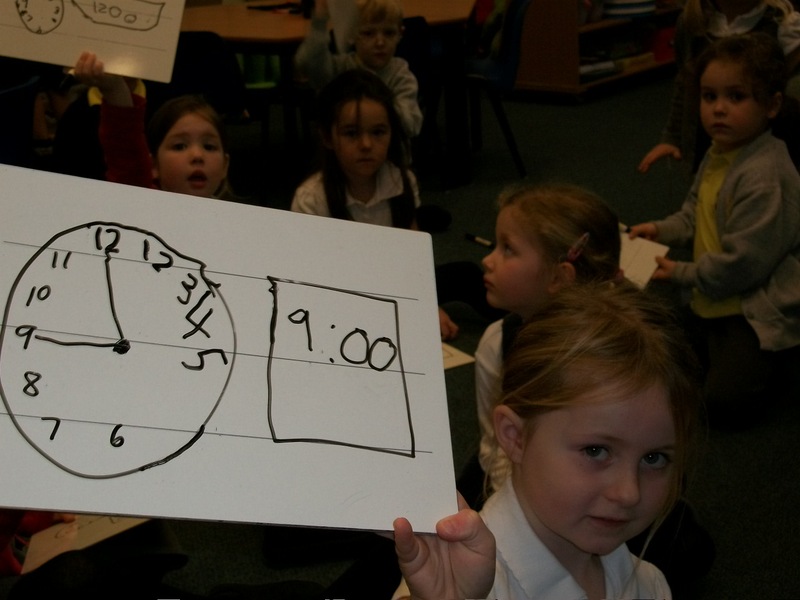 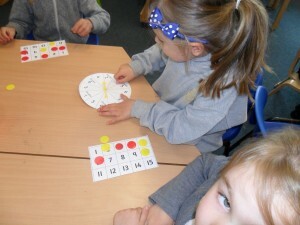 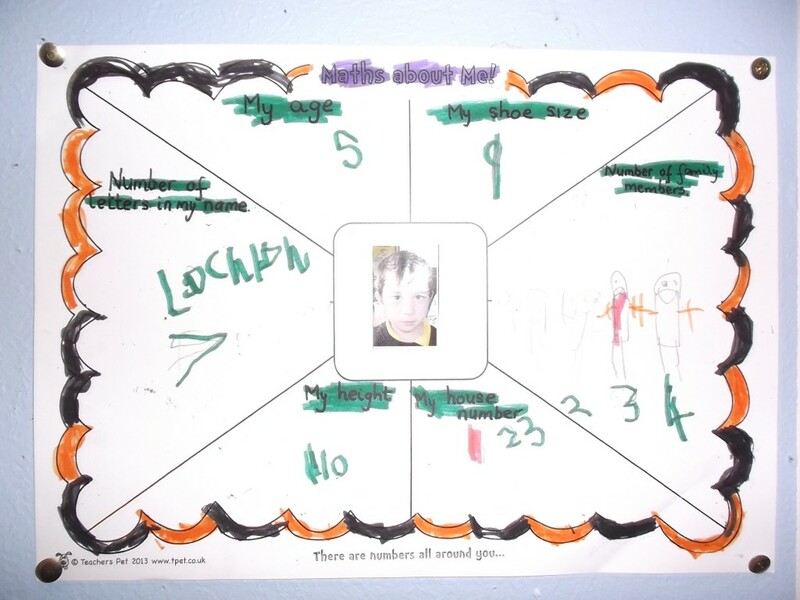 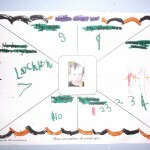 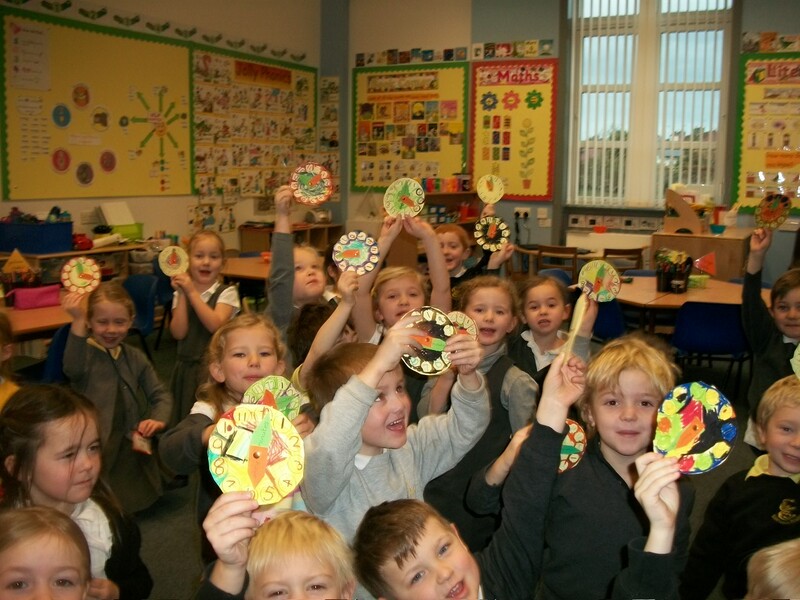 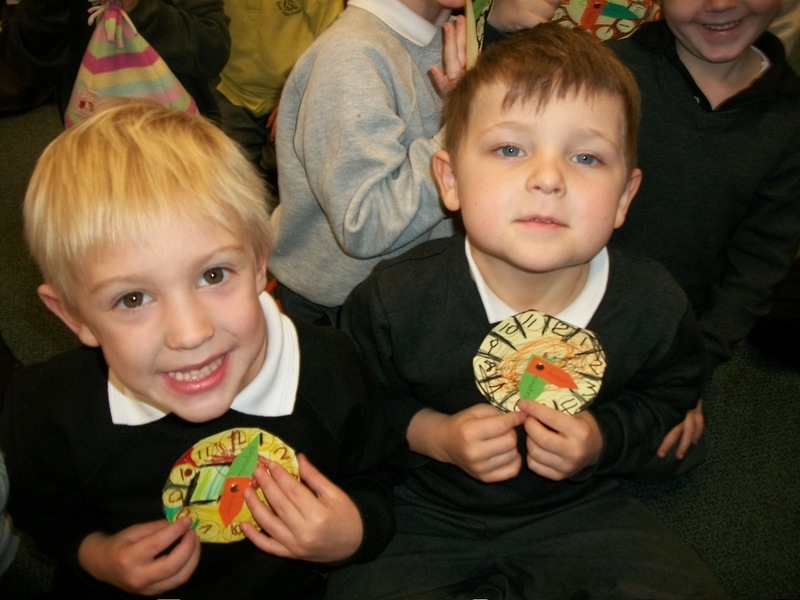 P1 have been learning about clocks and time this week. We read the story What’s the time, Mr Wolf? 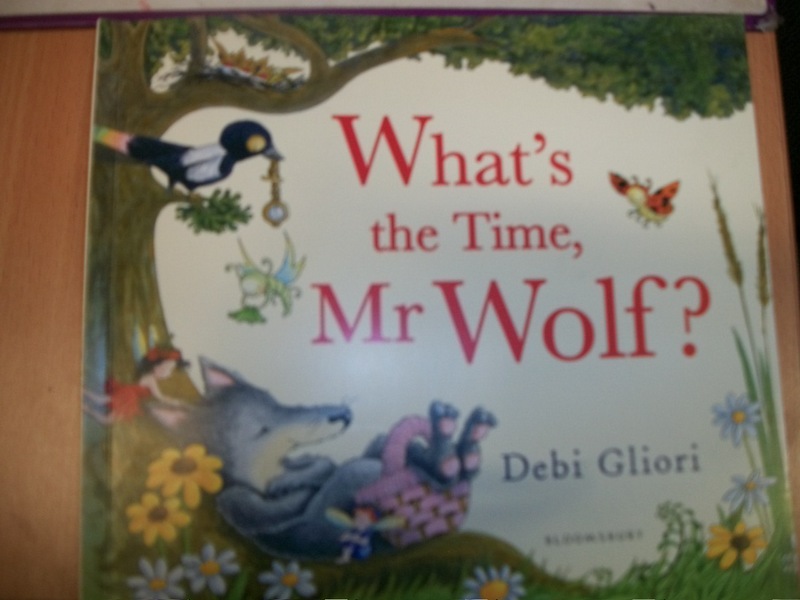 which is all about Mr Wolf’s busy day from 7 o’clock in the morning till bedtime. It is Mr Wolf’s birthday but he thinks everyone has forgotten about it but at the end of the story his friends throw him a surprise party. 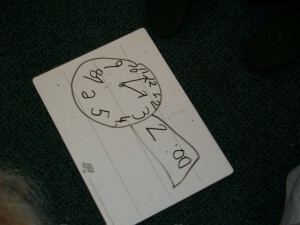 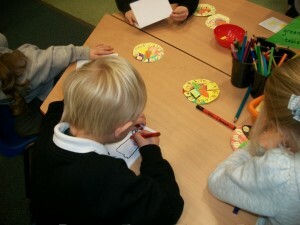 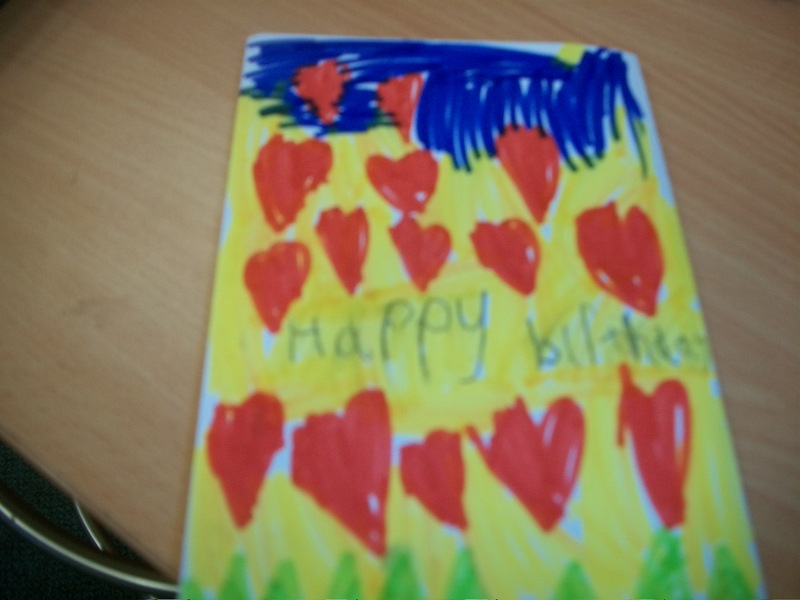 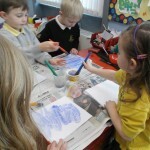 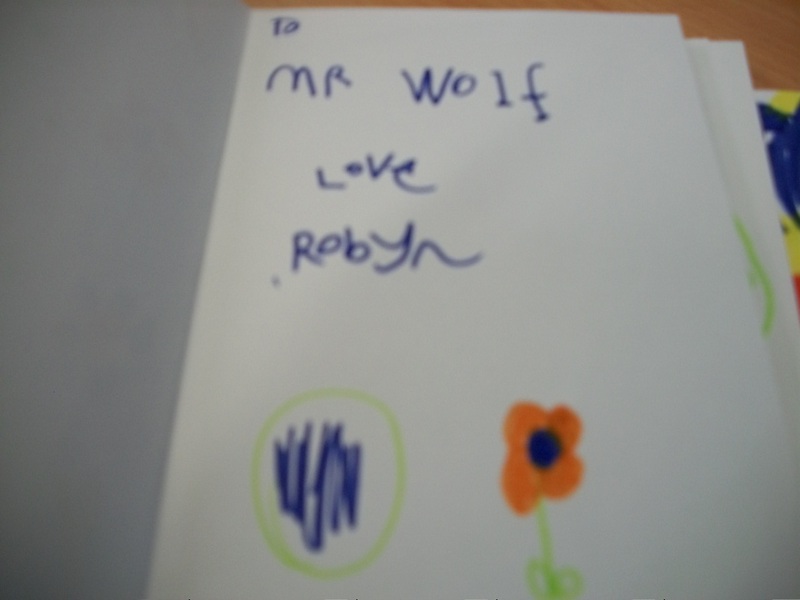 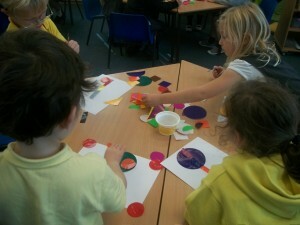 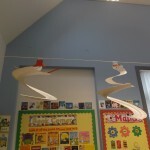 We made our own clocks and used them to show the times in the book and then we made Mr Wolf some lovely birthday cards. 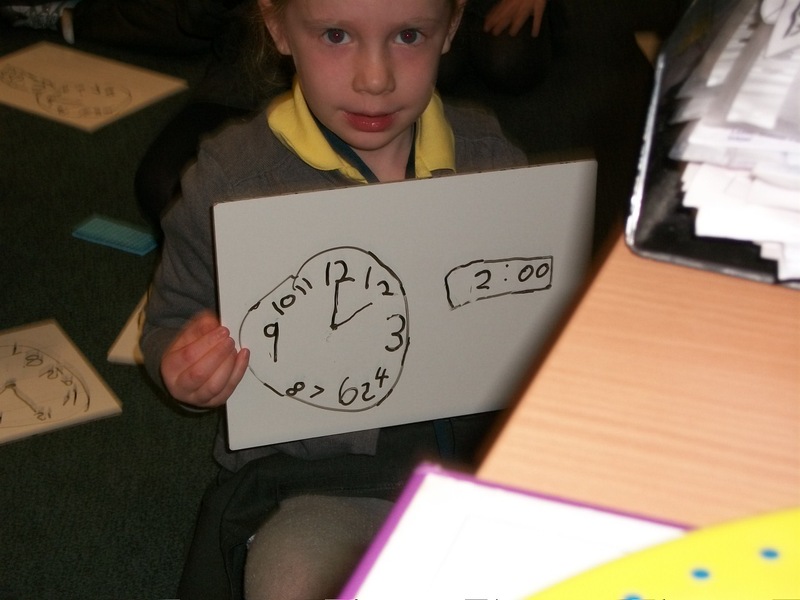 We have also been learning about analogue and digital clocks and learning how to show the time in both formats. 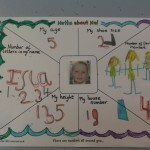 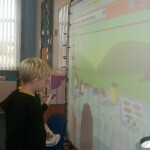 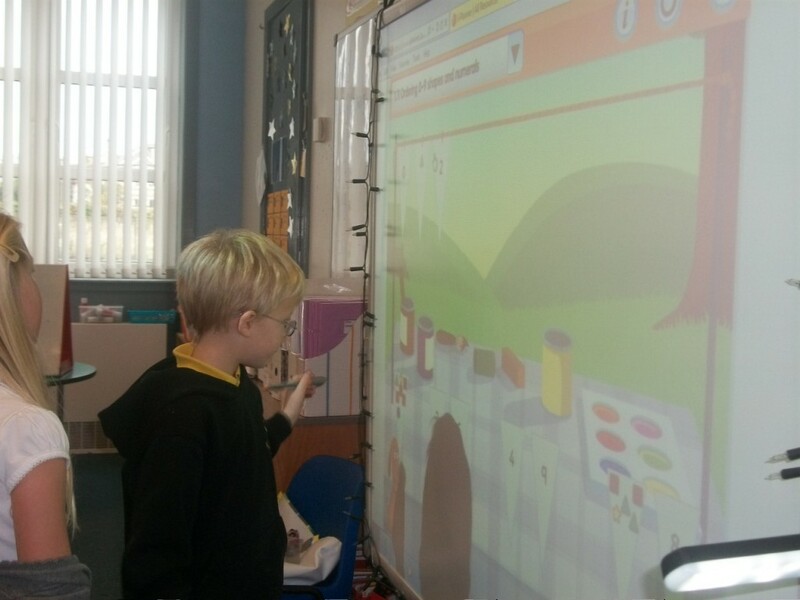 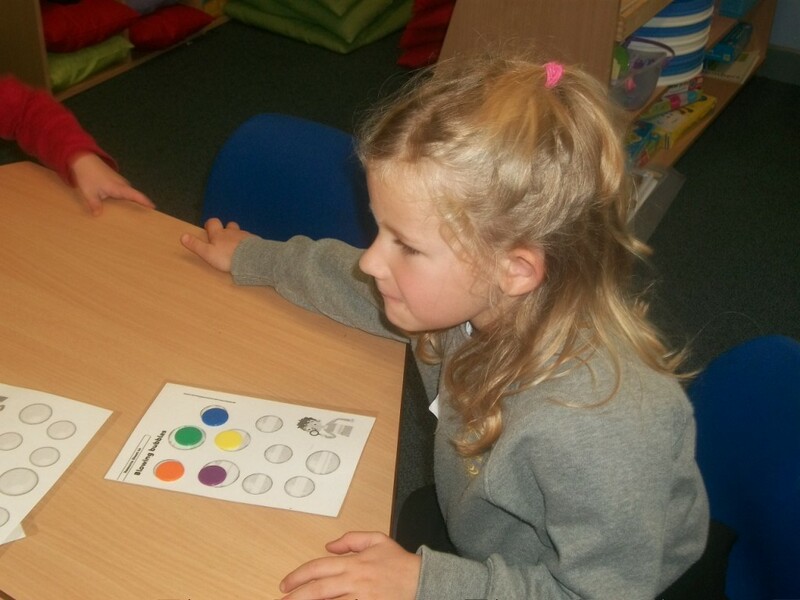 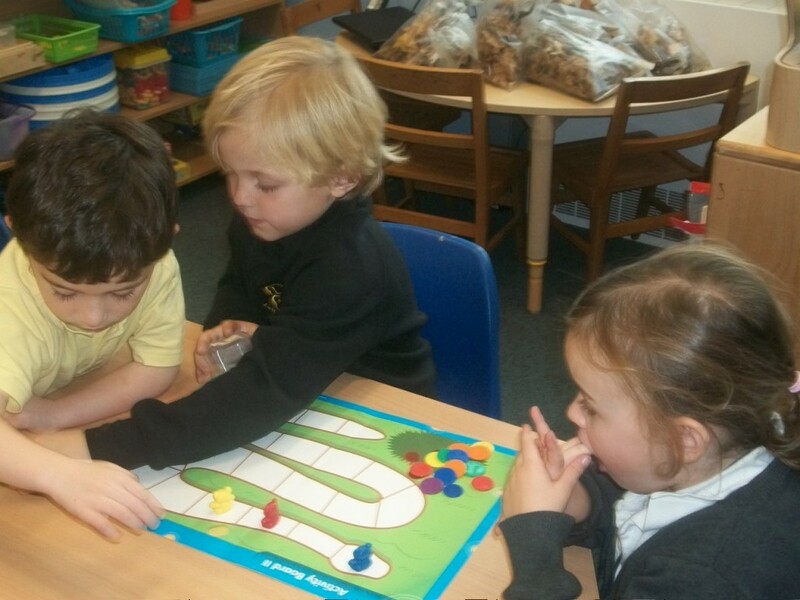 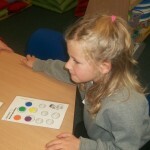 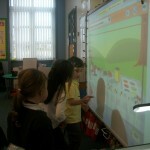 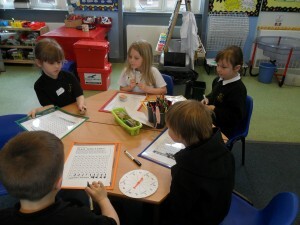 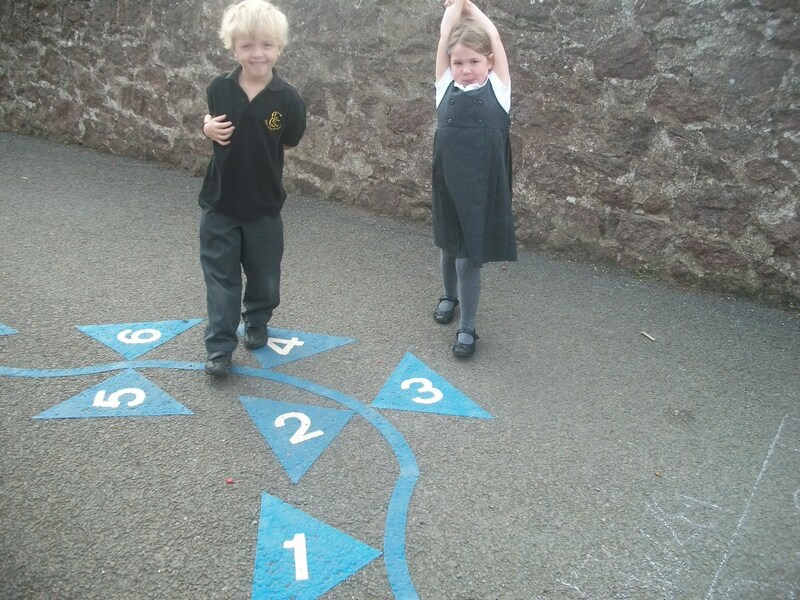 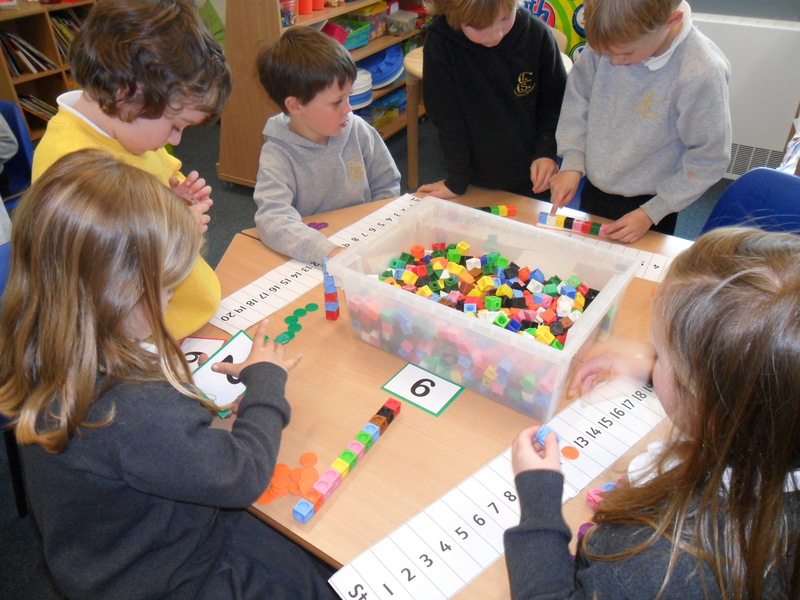 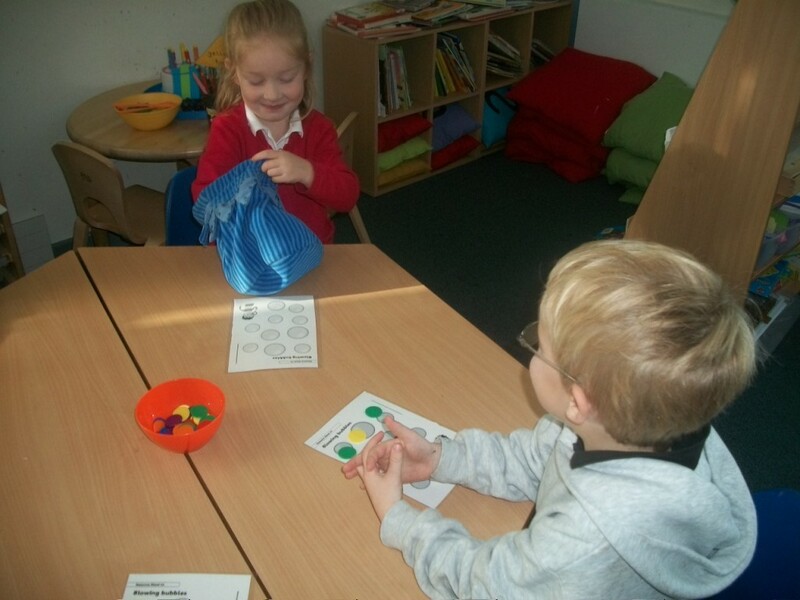 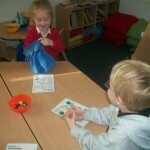 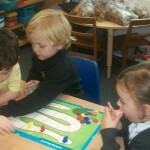 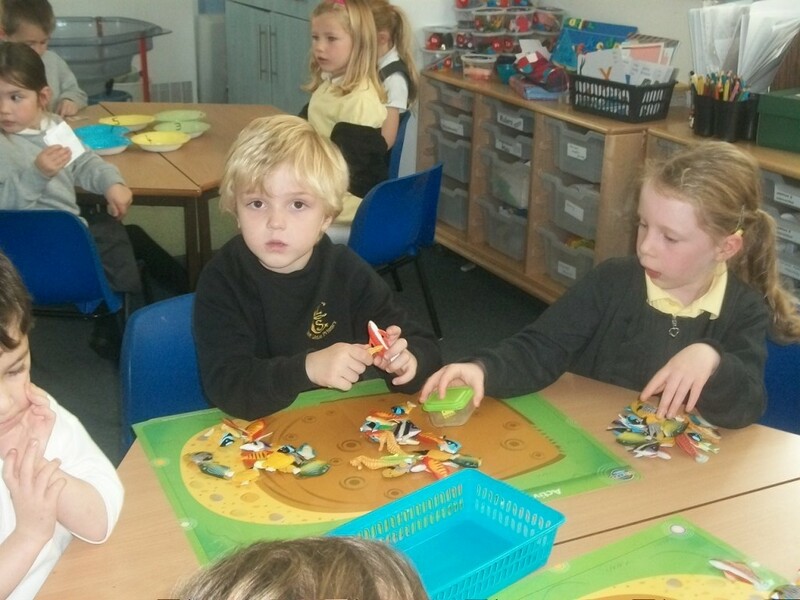 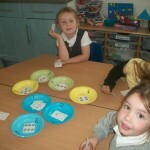 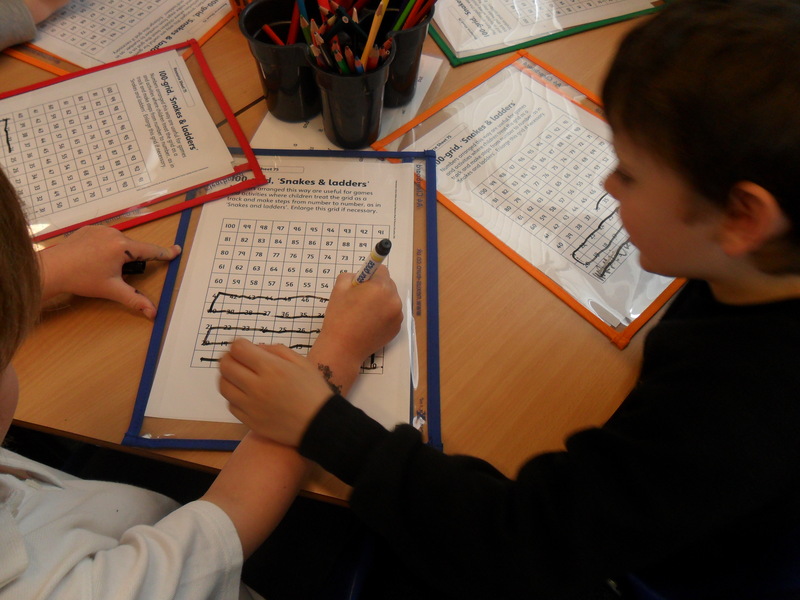 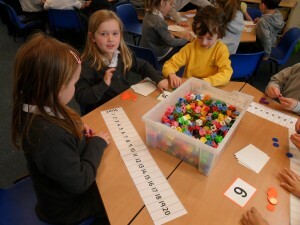 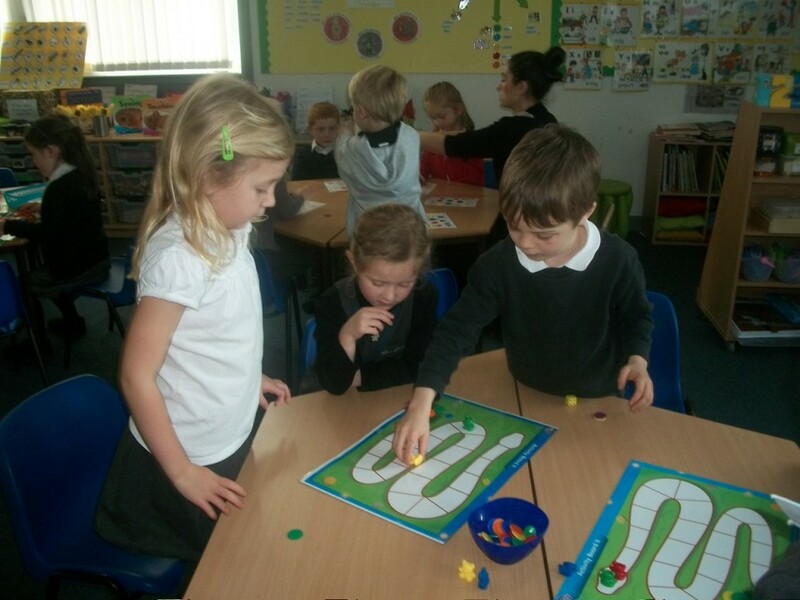 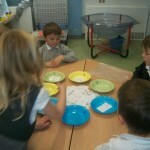 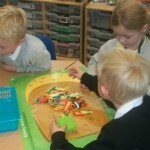 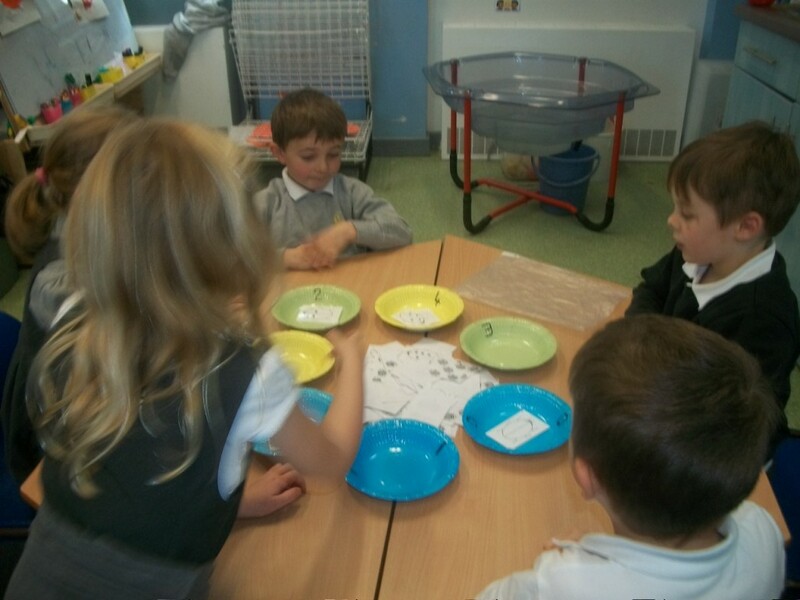 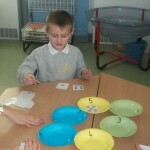 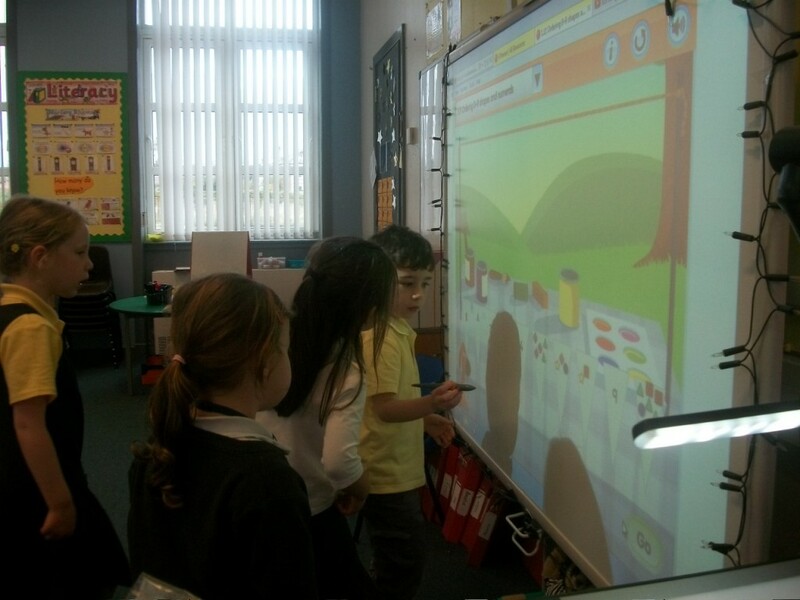 We have been using our number skills in P1 to learn to play lots of new maths games. 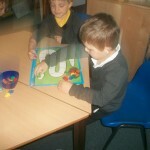 We have also been working on our turn taking and sharing skills. 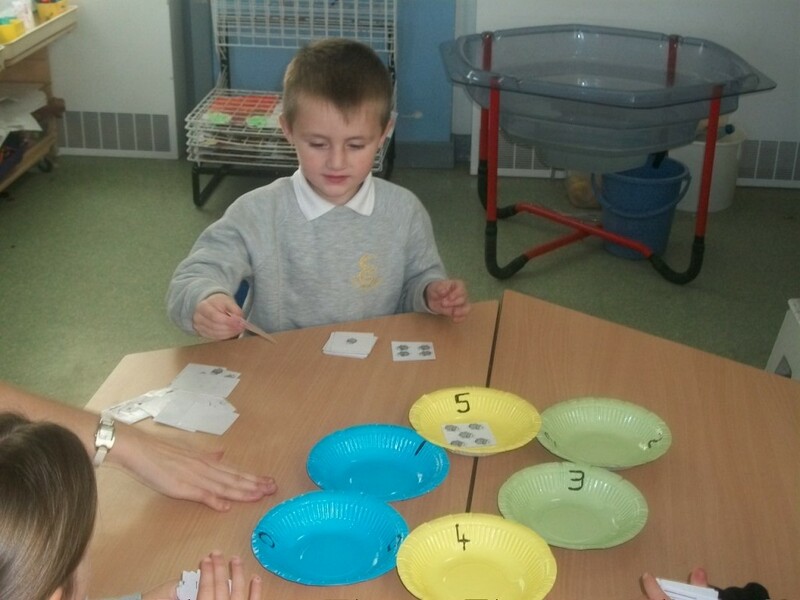 We have been playing these maths games to help us with counting accurately, sorting and ordering numbers and counting on and back and having good fun too!! 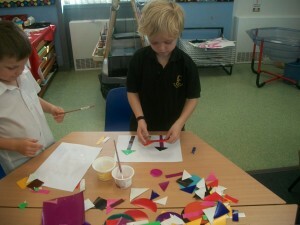 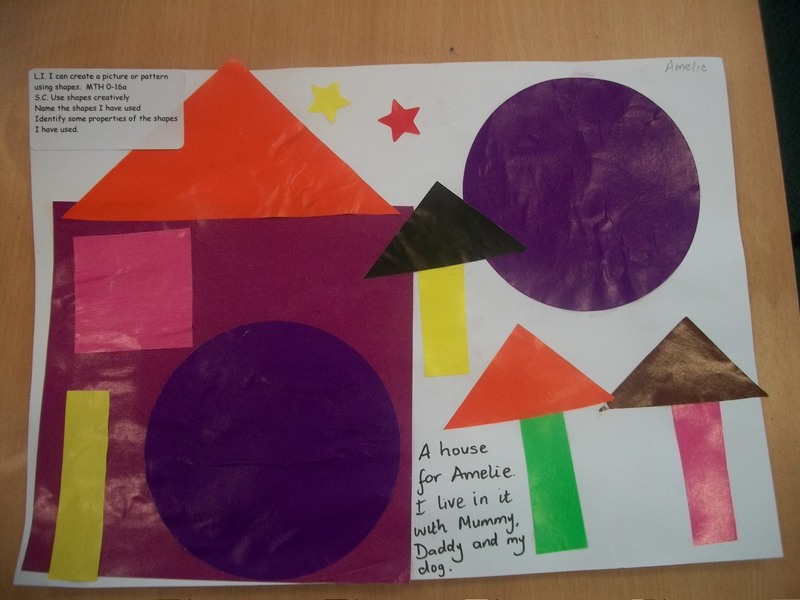 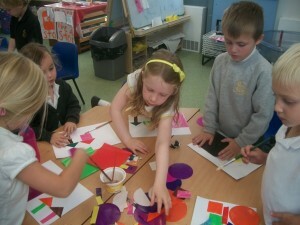 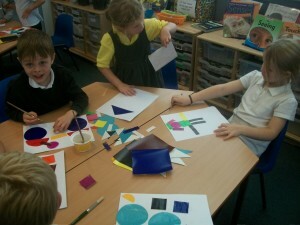 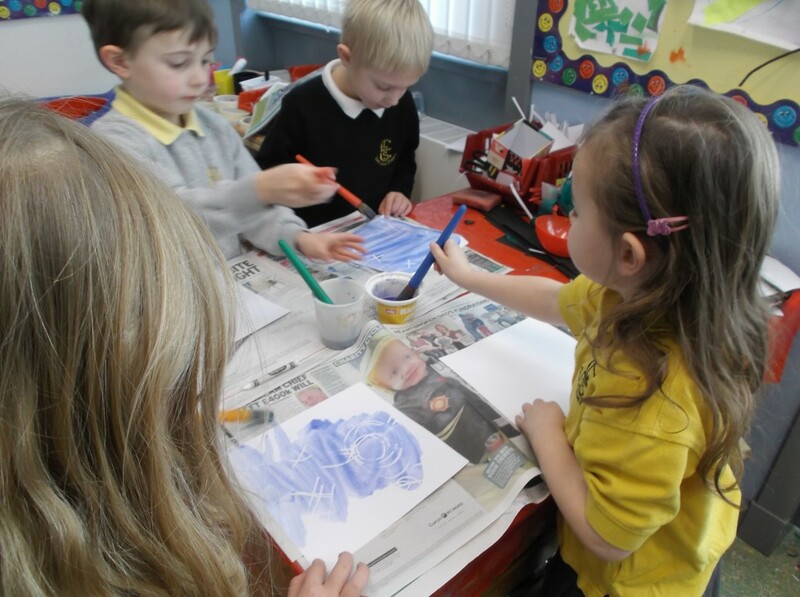 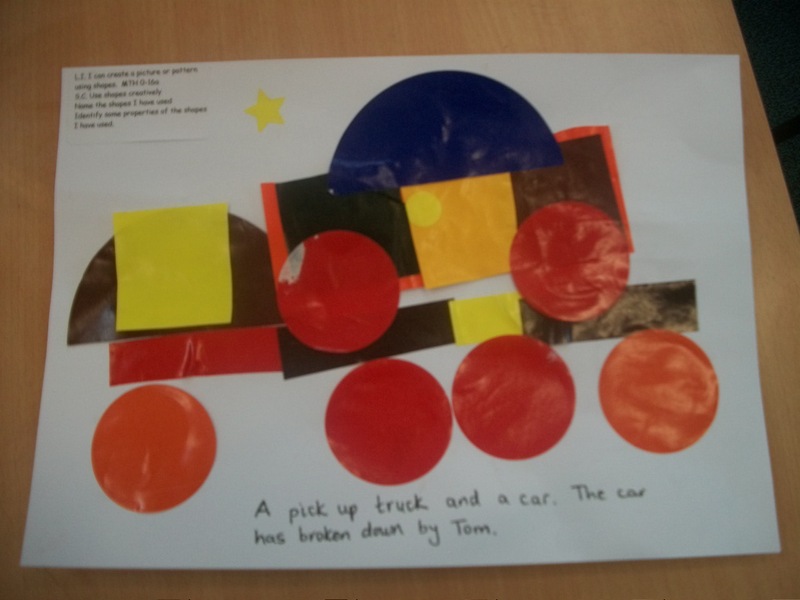 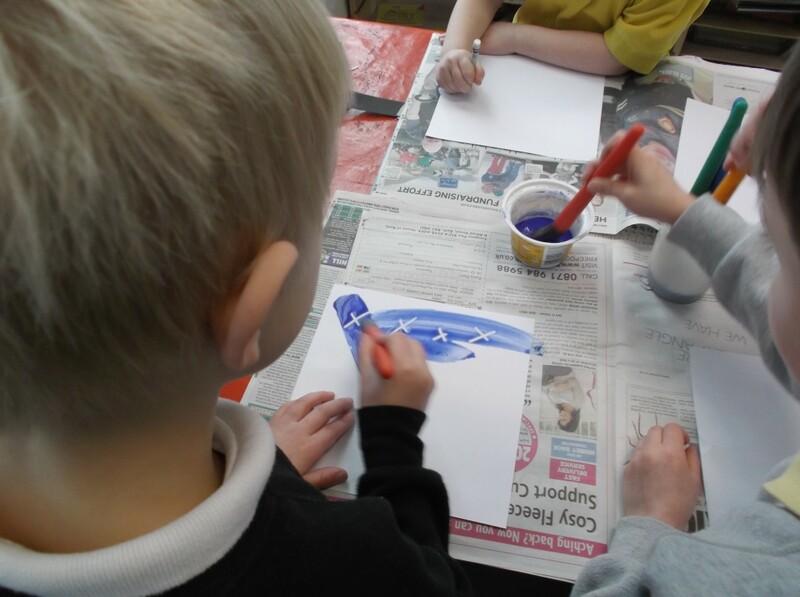 P1 have had a busy afternoon learning about 2D shapes. 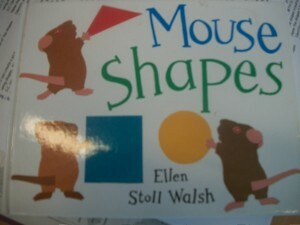 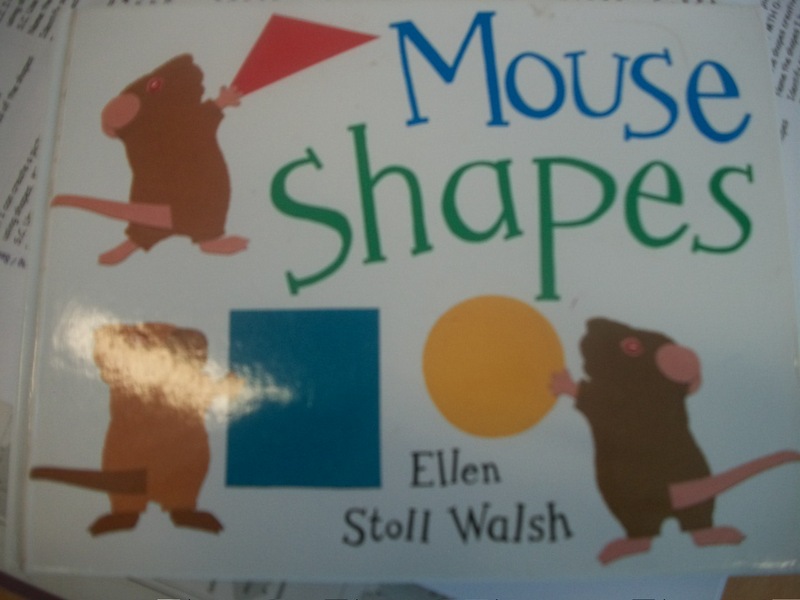 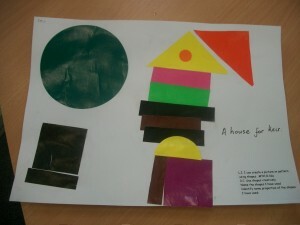 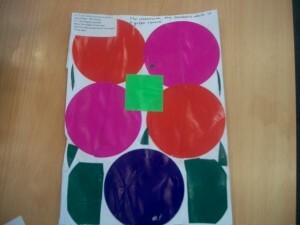 We read the story “Mouse Shapes” which gave us some inspiration to make our own shape pictures. 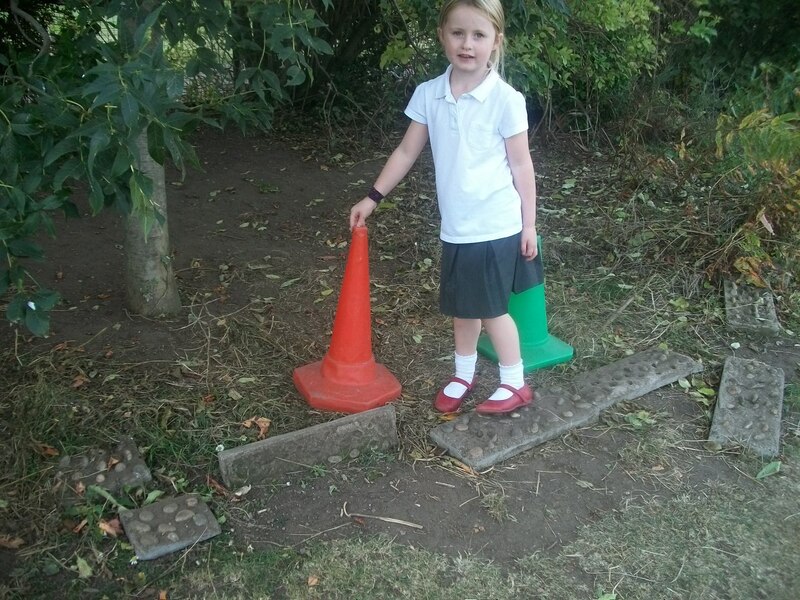 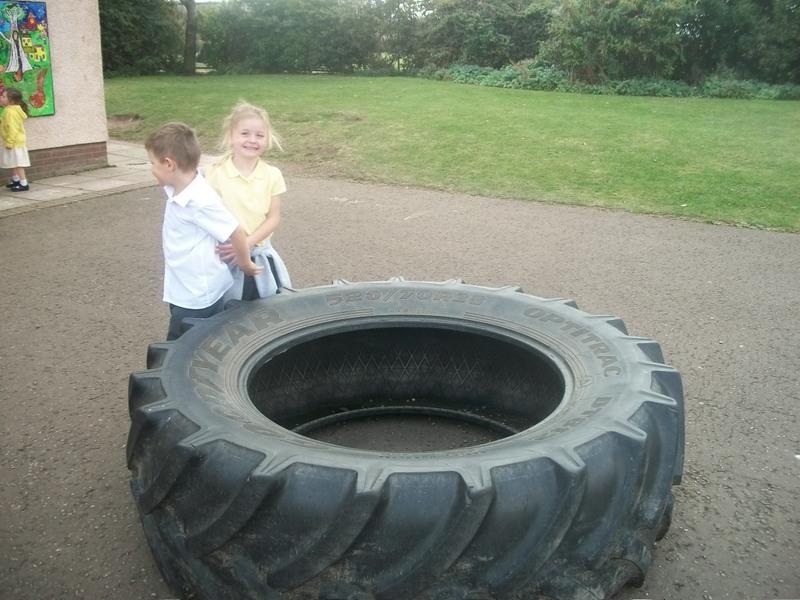 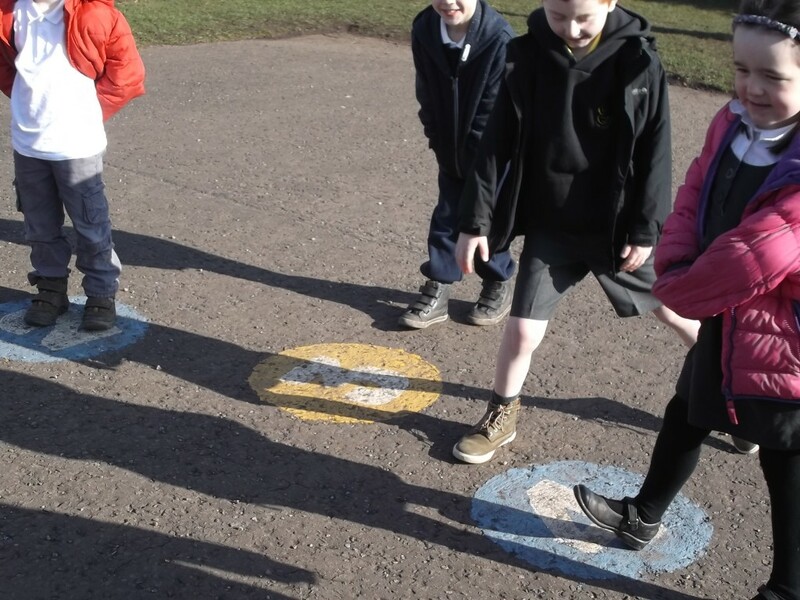 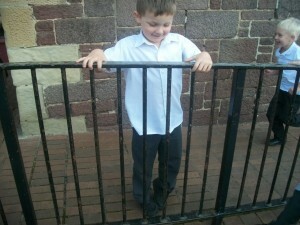 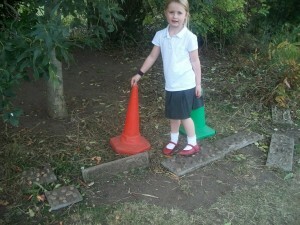 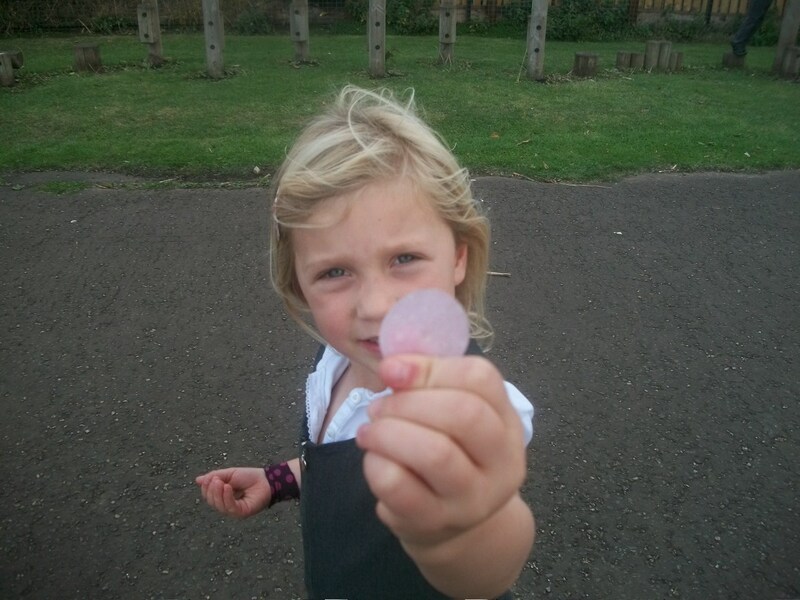 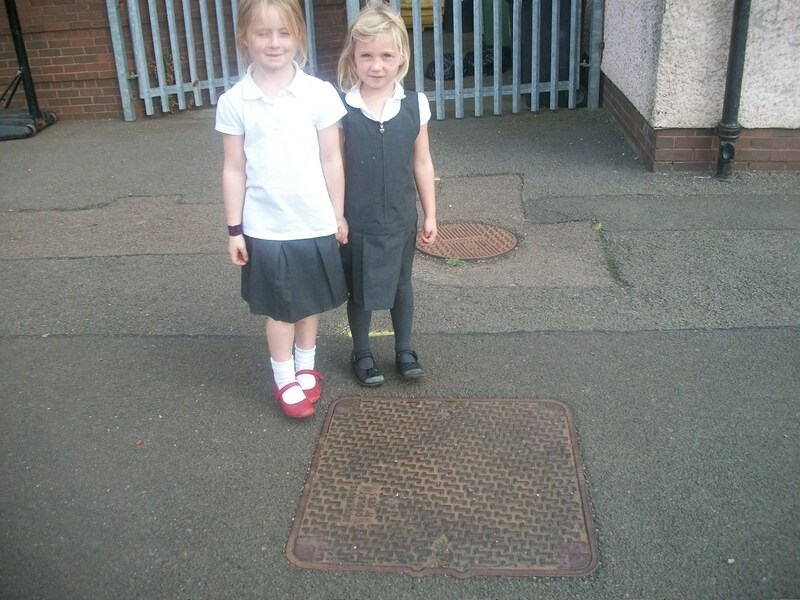 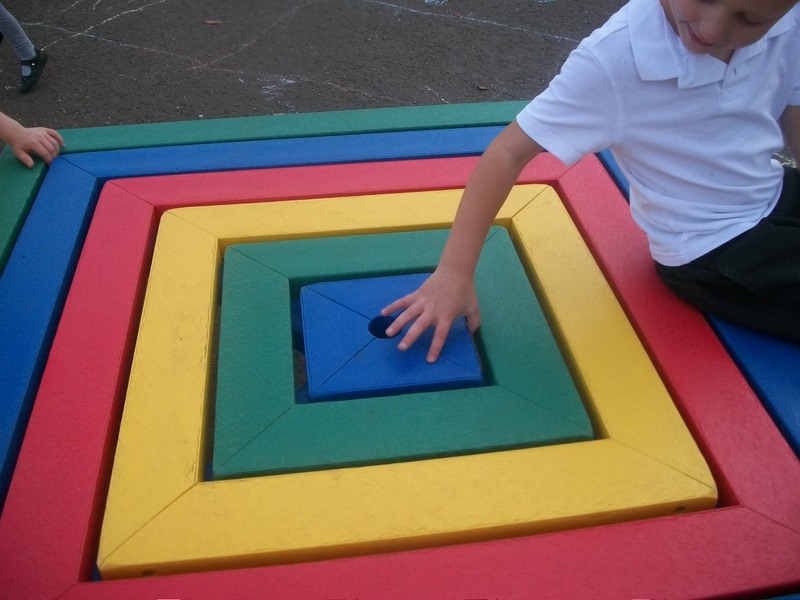 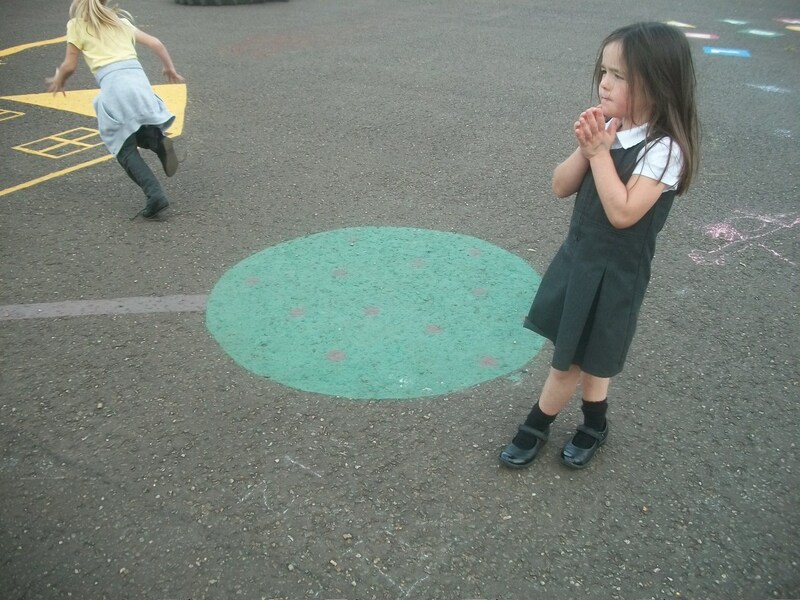 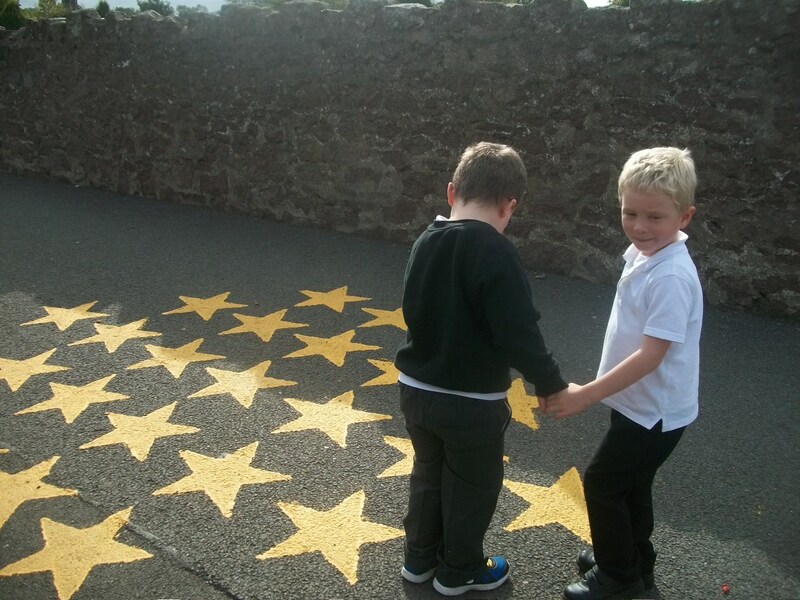 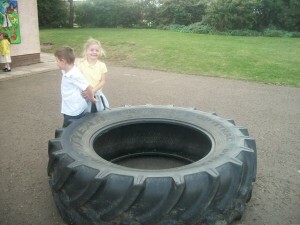 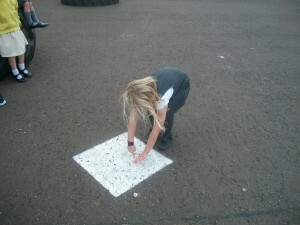 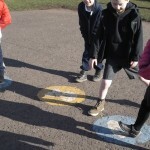 We also went on a shape hunt and found lots of very interesting shapes in the playground. 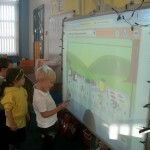 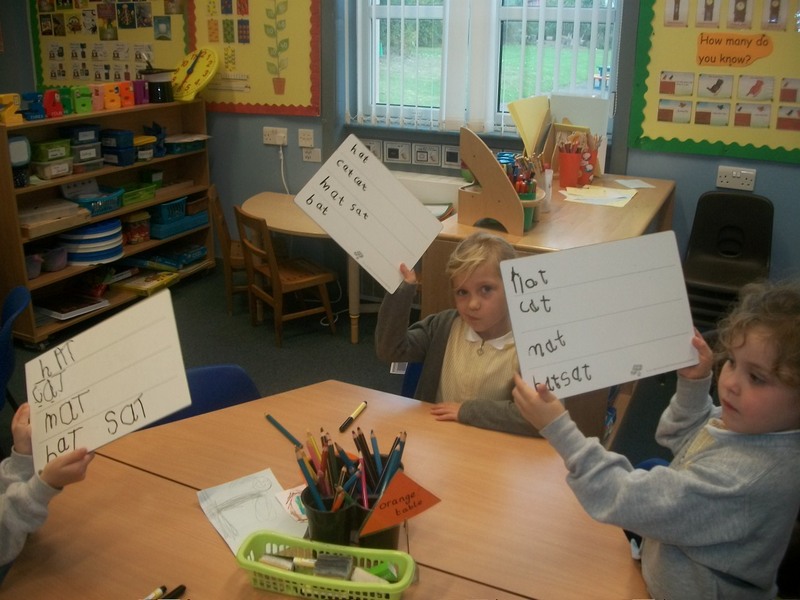 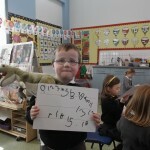 We have had a busy start to P1, learning sounds and numbers everyday. 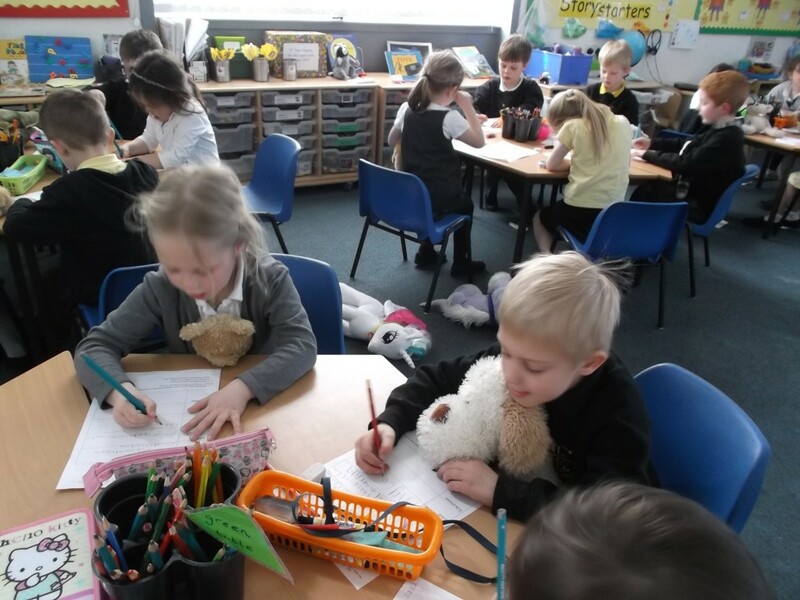 So for the last few days we have had a little bit of a break to make sure we are remembering everything we have learnt so far. We have been practising all the sounds we have been learning, all 18 of them, we have been trying to blend them to make words. 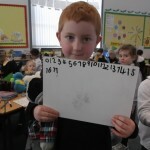 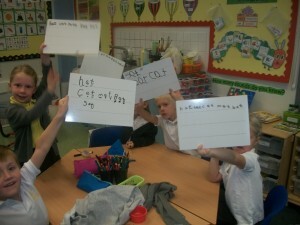 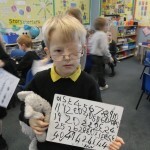 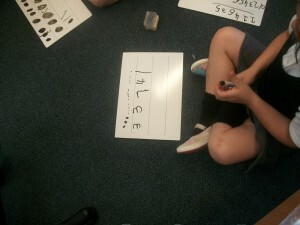 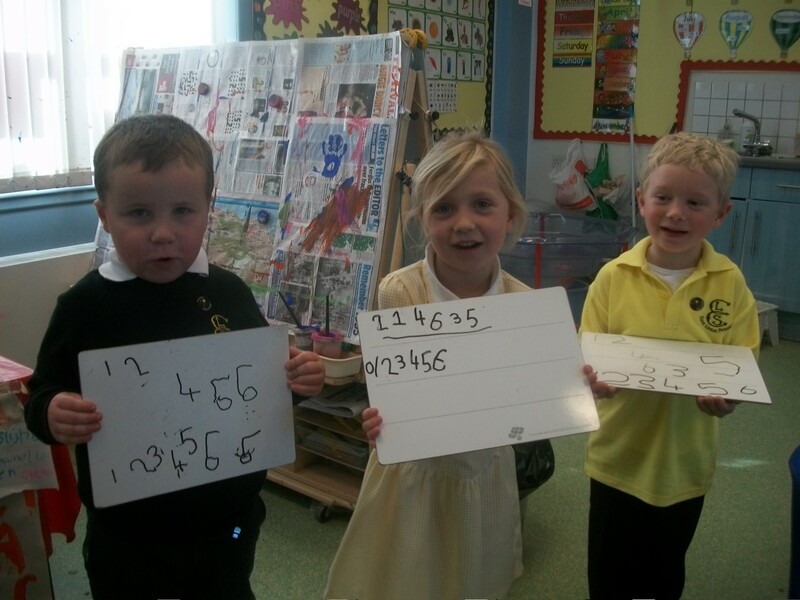 We have also been using our numbers, recording them on our whiteboards and putting them in the correct order. 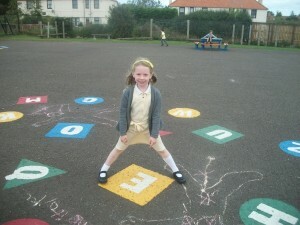 What a great job P1 well done!! 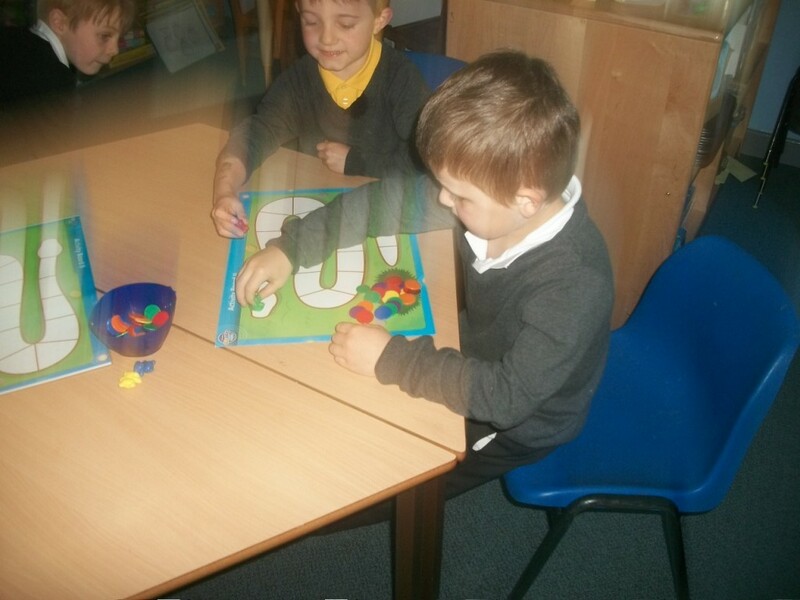 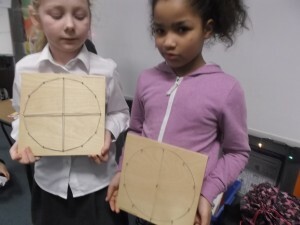 P1 have been learning about doubles in maths. 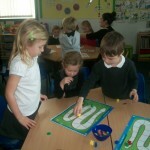 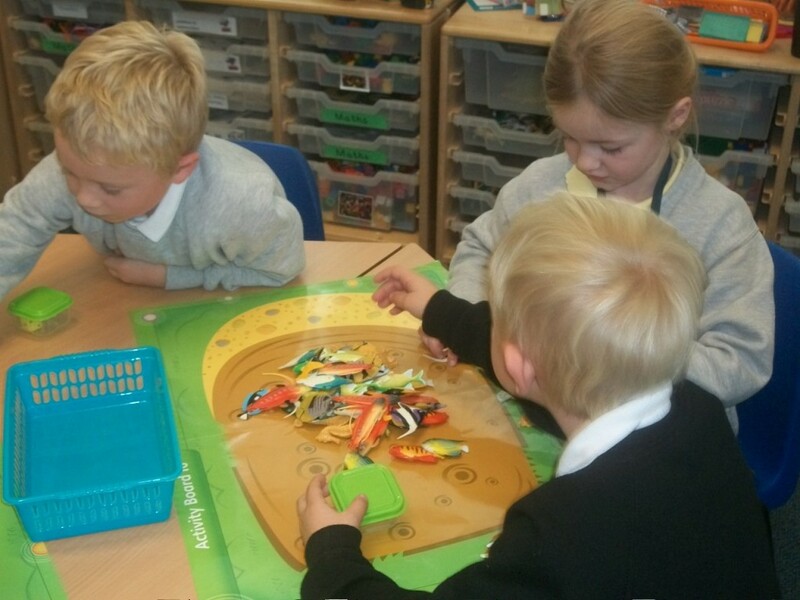 We have been using dominoes, dice, blocks, spinners and lots of games to help us learn our doubles. 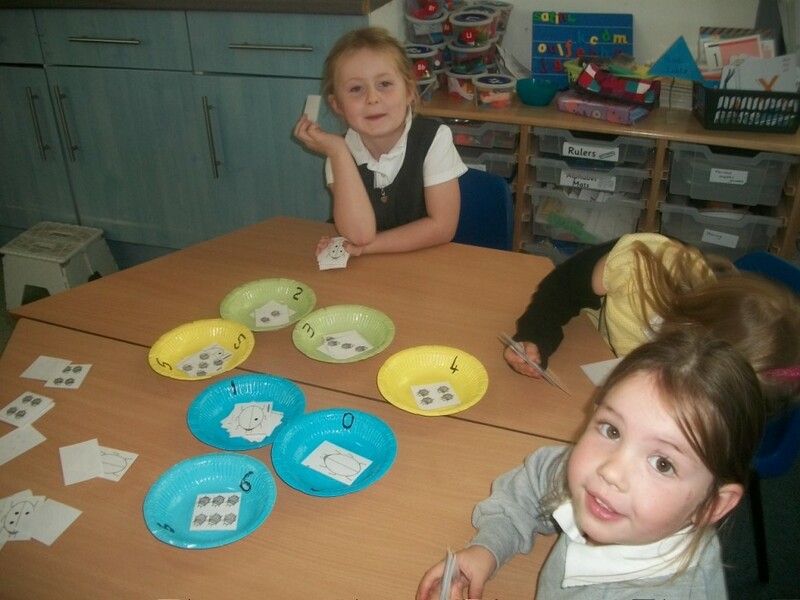 We are getting very good at doubles up to 5 and beyond. 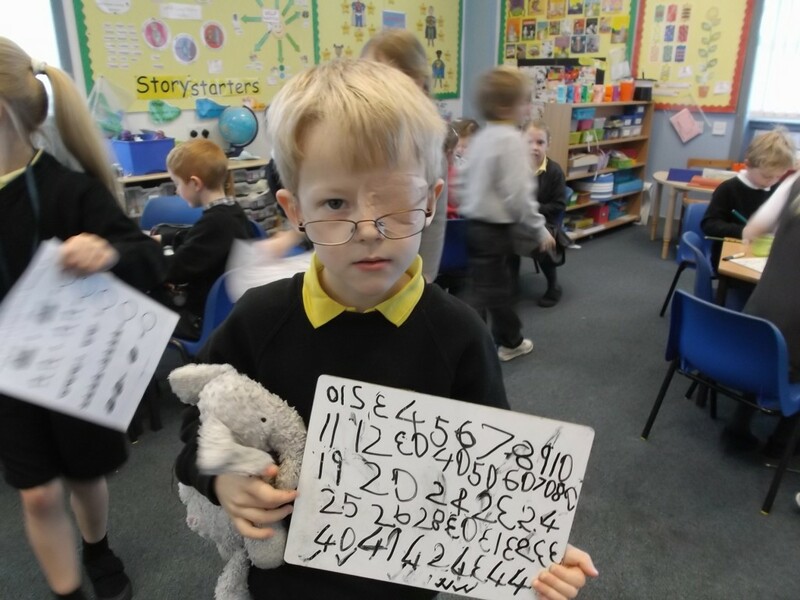 Thanks to all the parents, grandparents and siblings who visited us this morning in P1 to see how we learn maths. 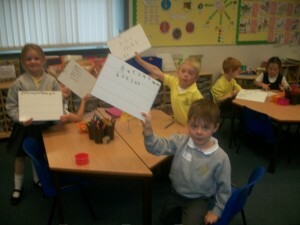 It is official MATHS IS FUN!! Take a look at our photos and see all the smiling faces.